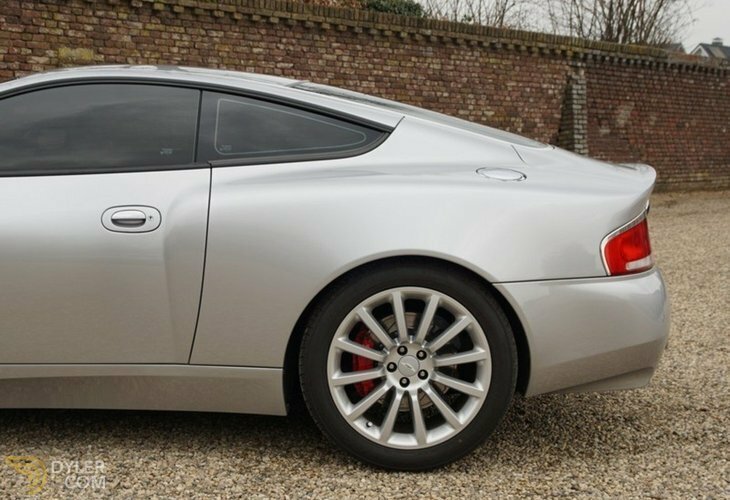 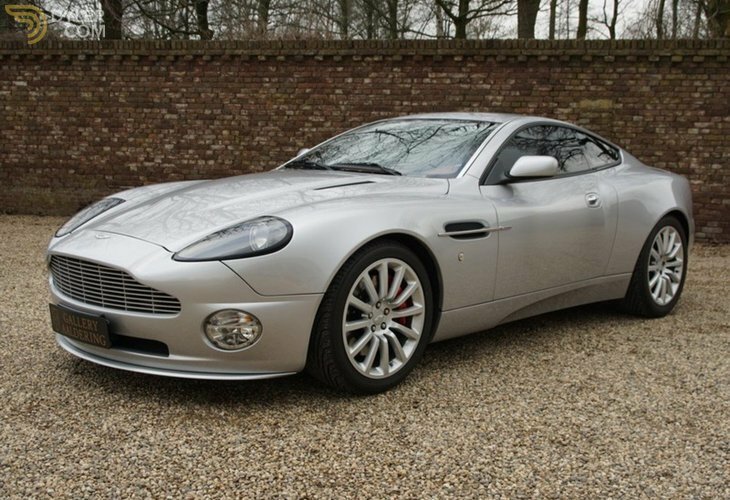 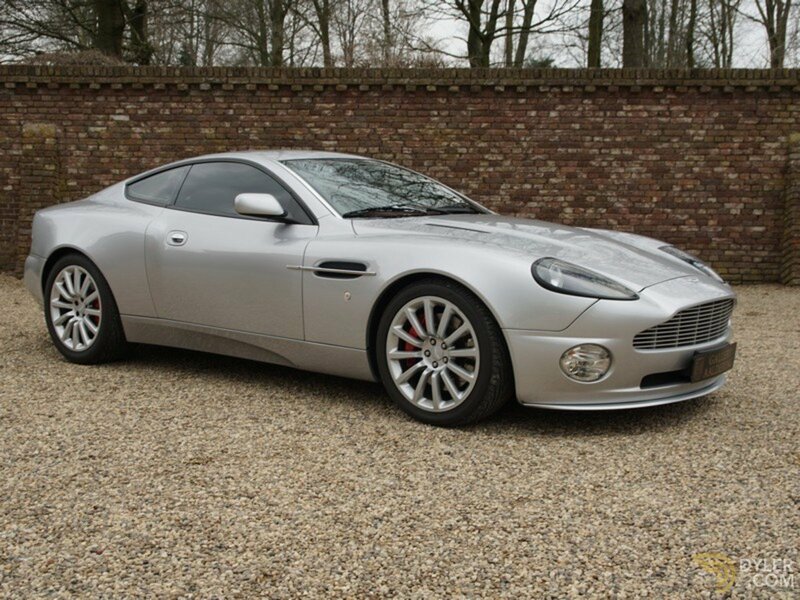 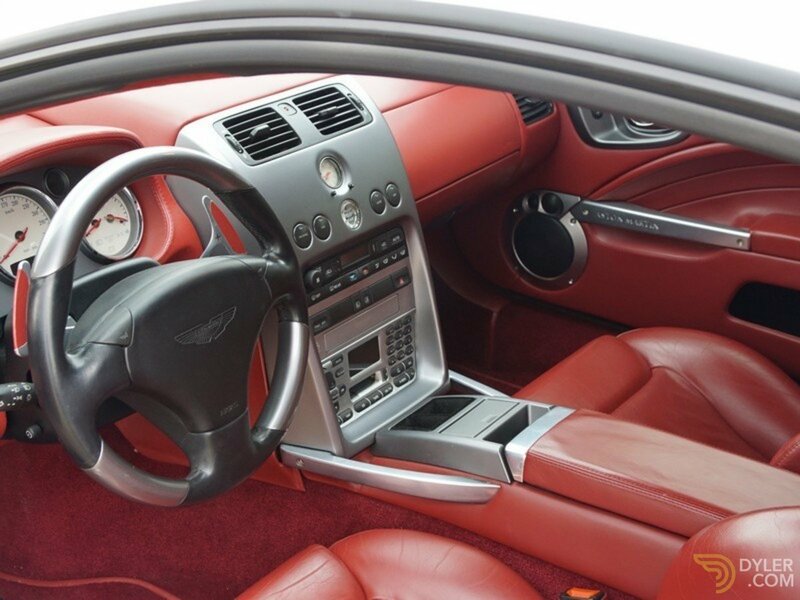 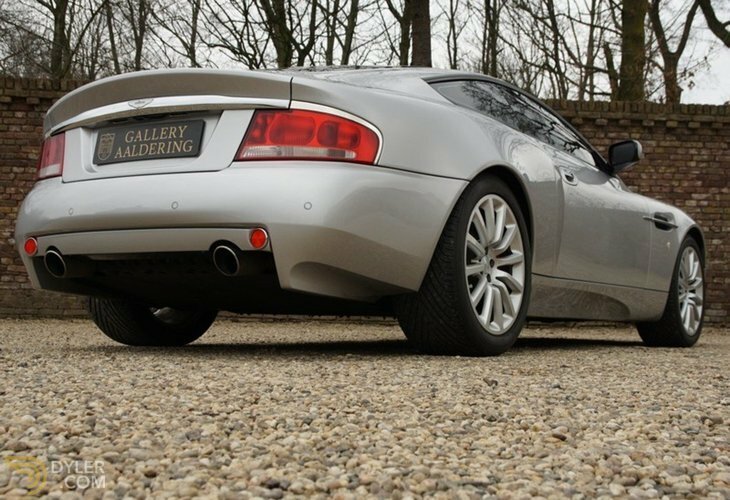 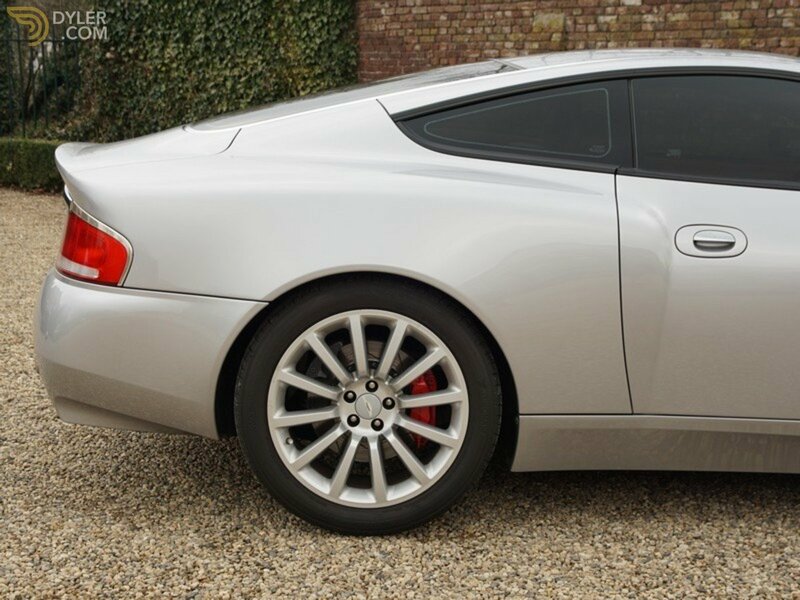 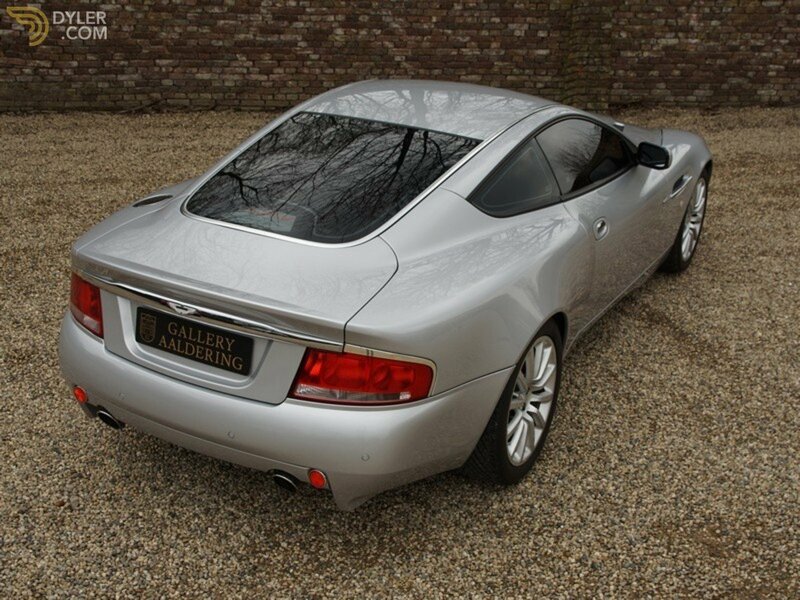 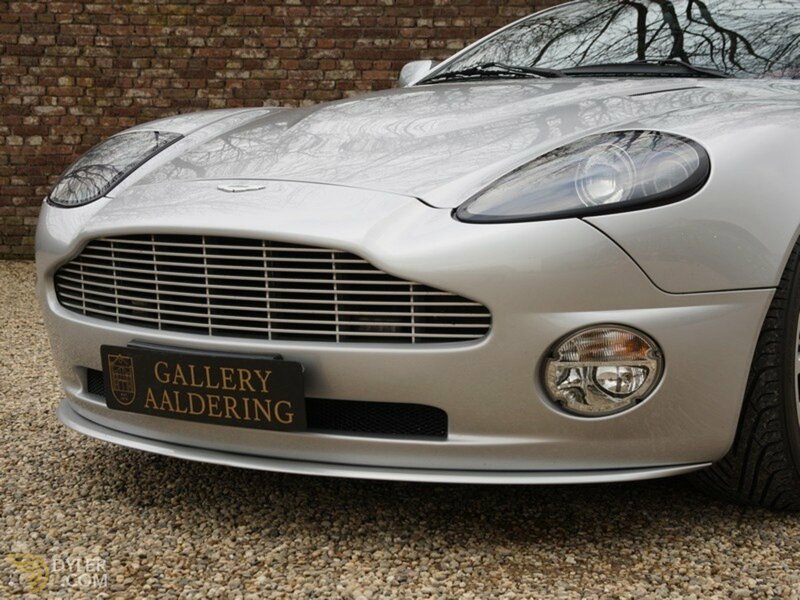 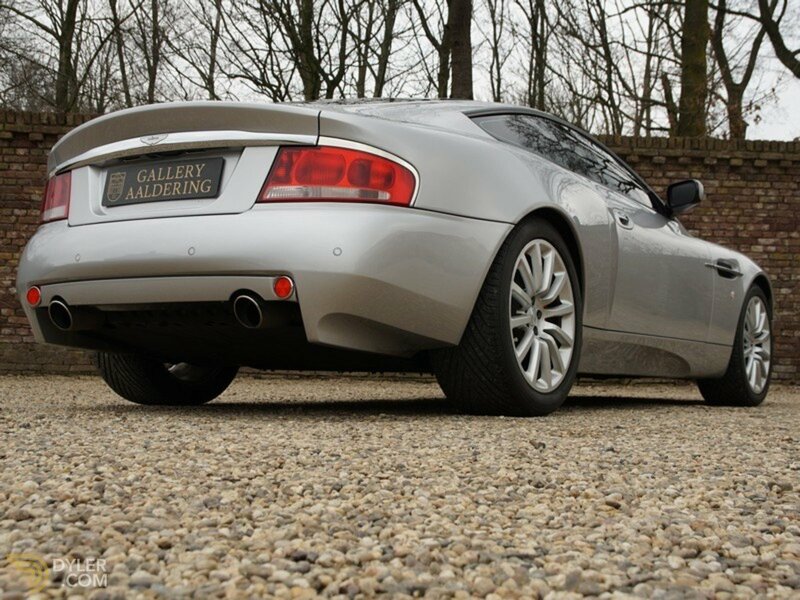 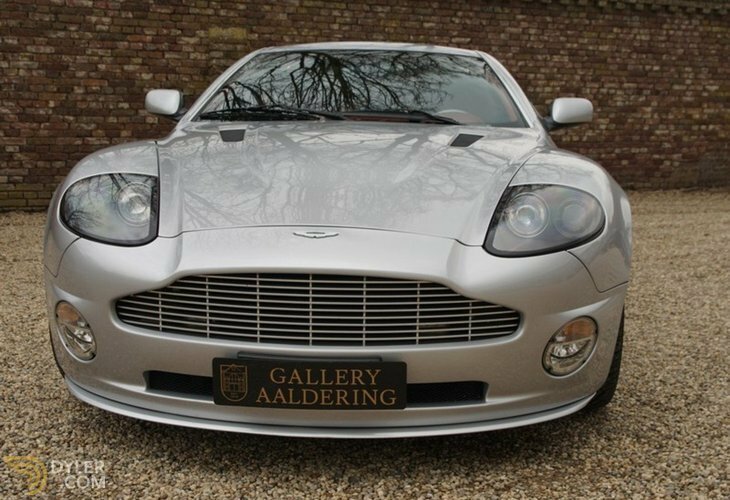 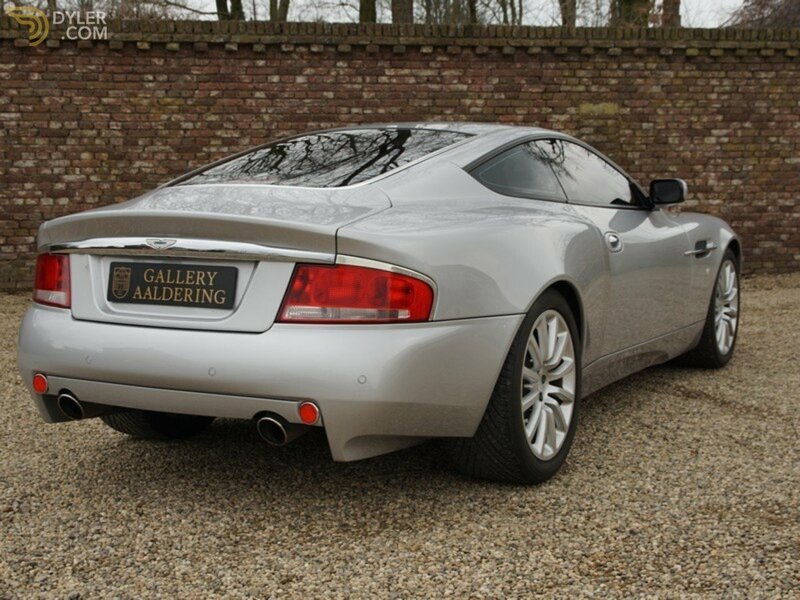 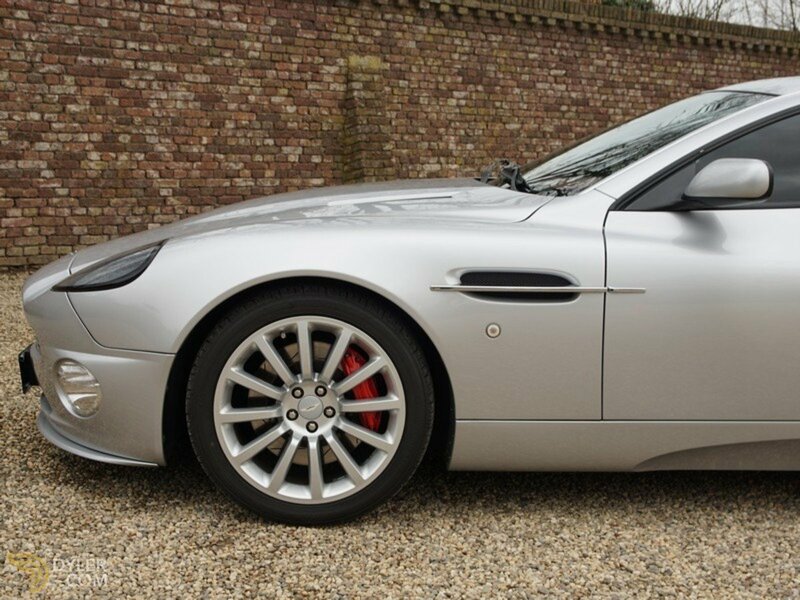 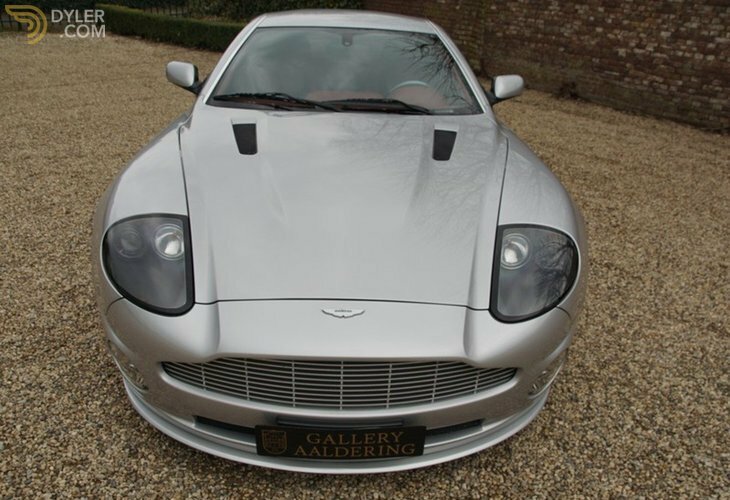 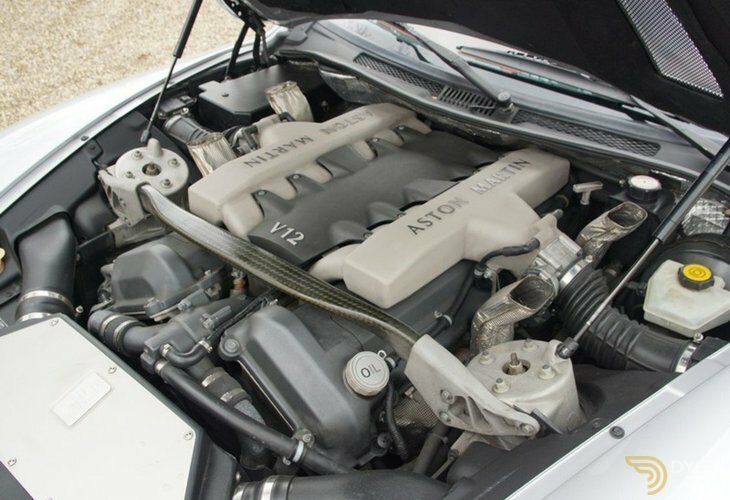 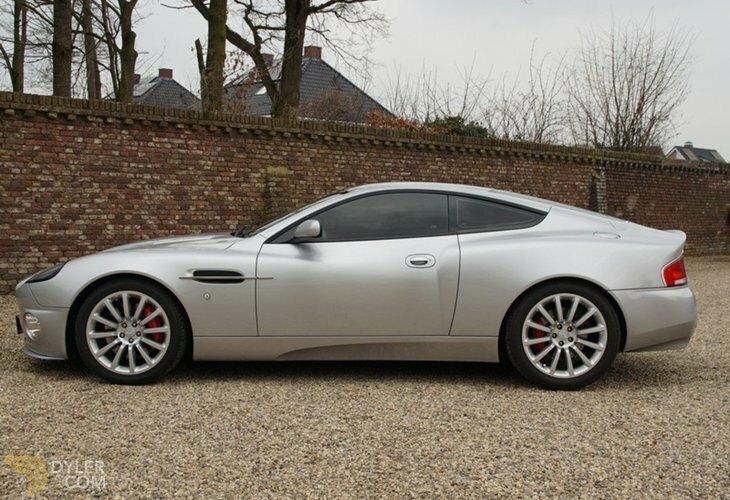 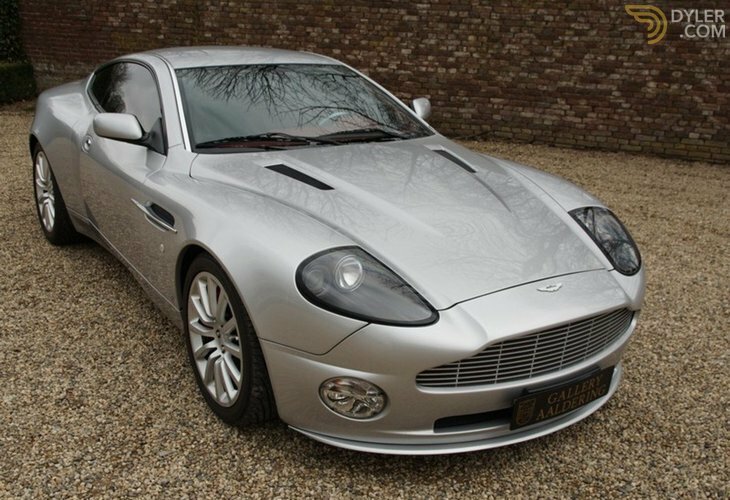 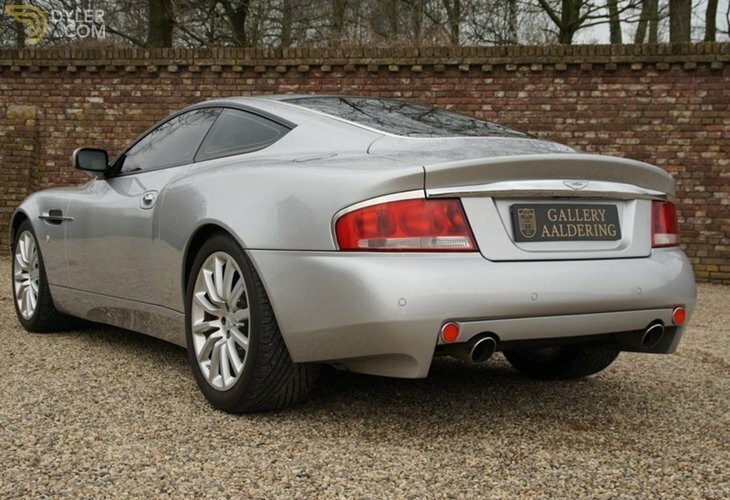 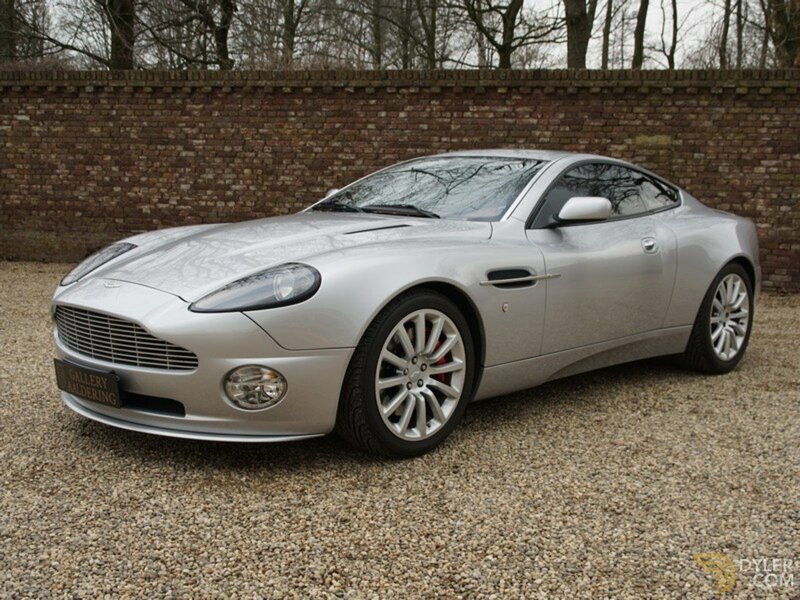 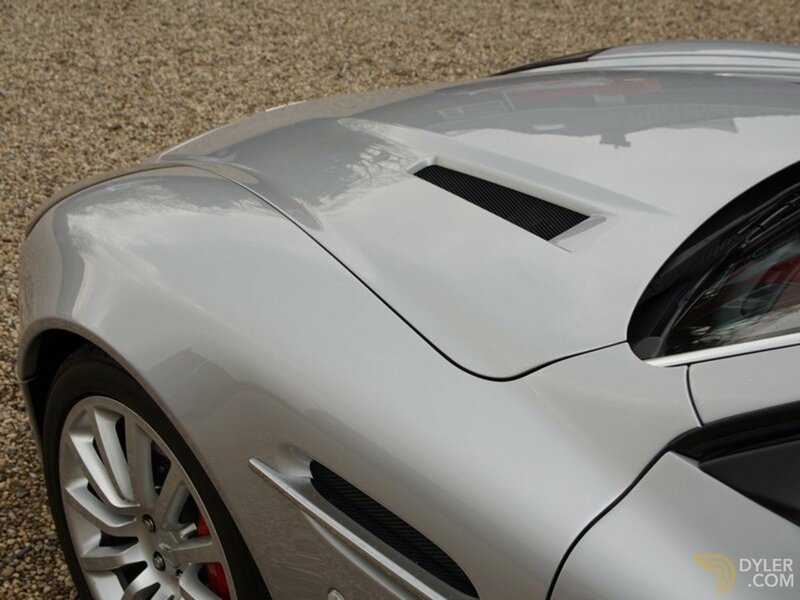 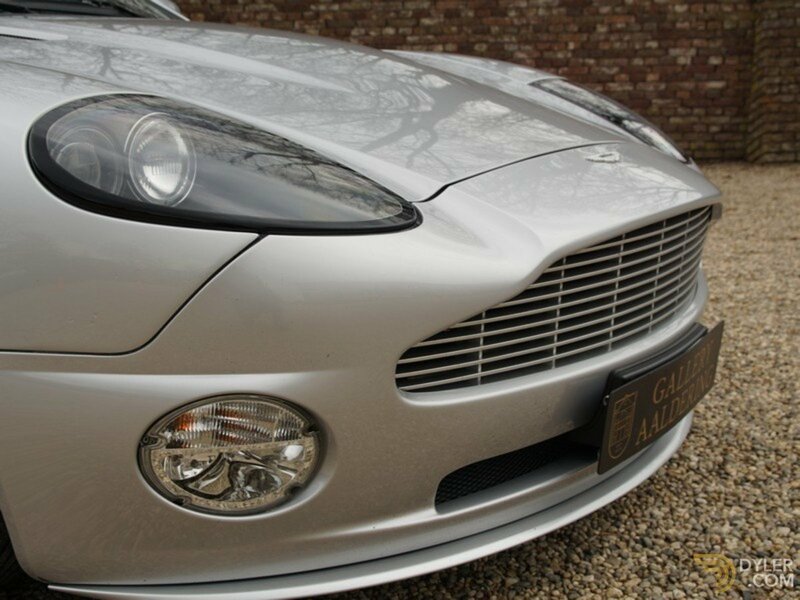 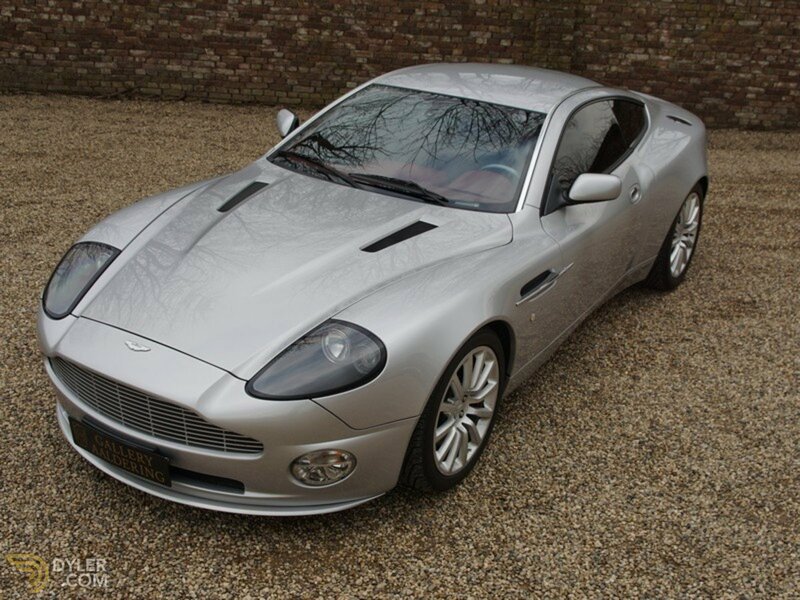 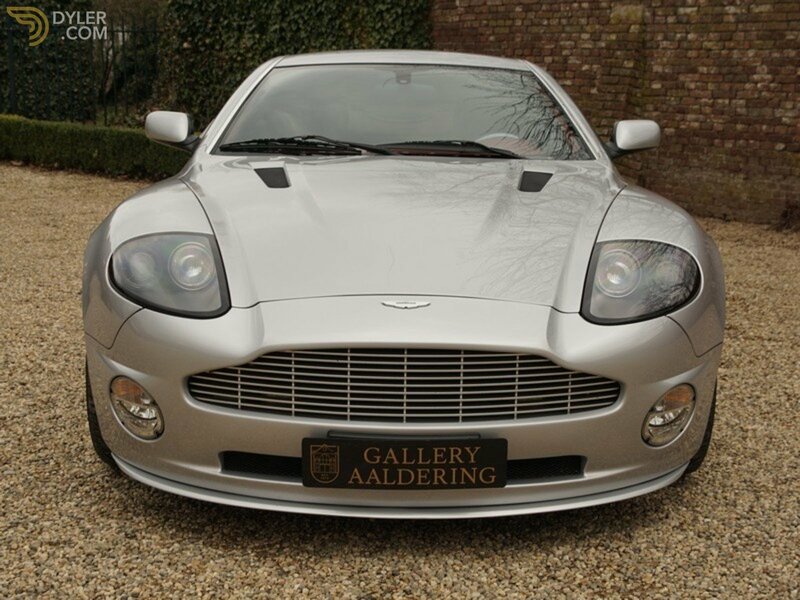 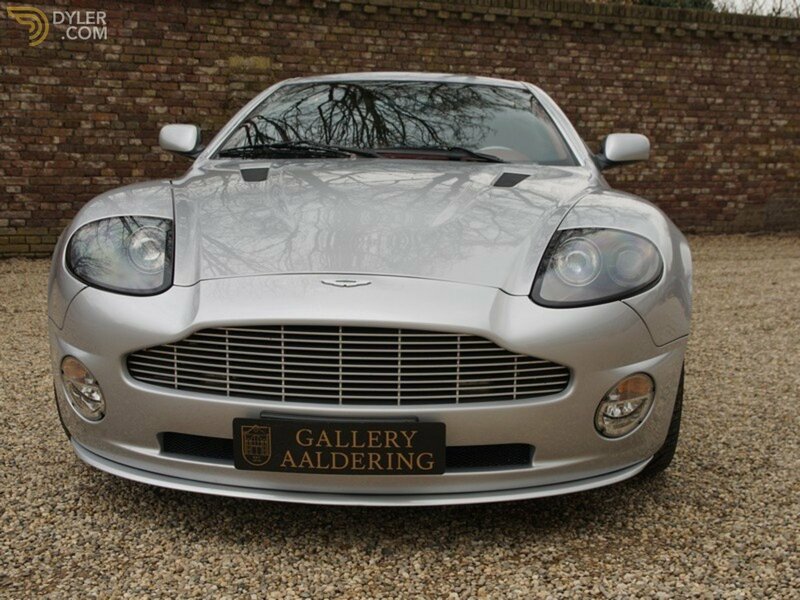 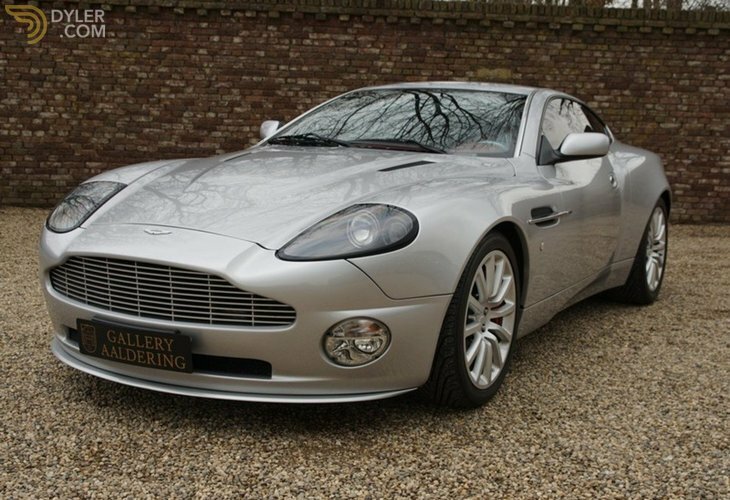 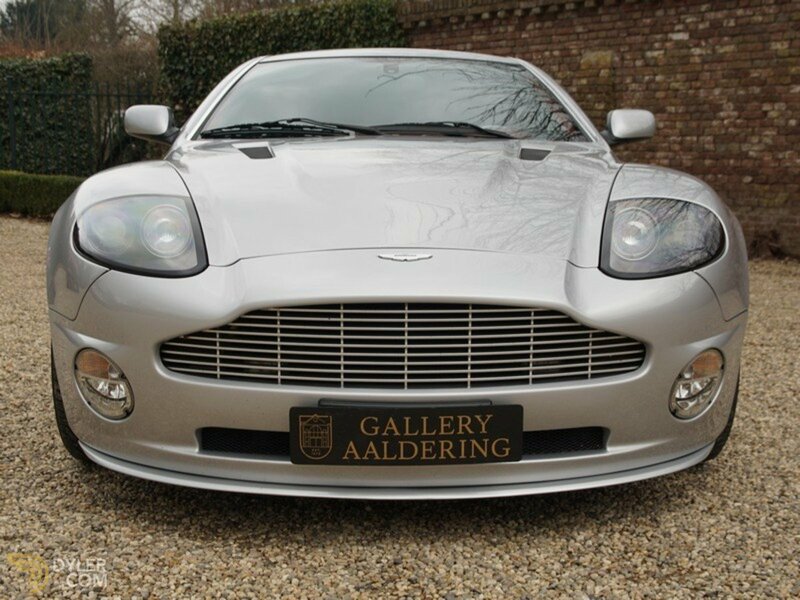 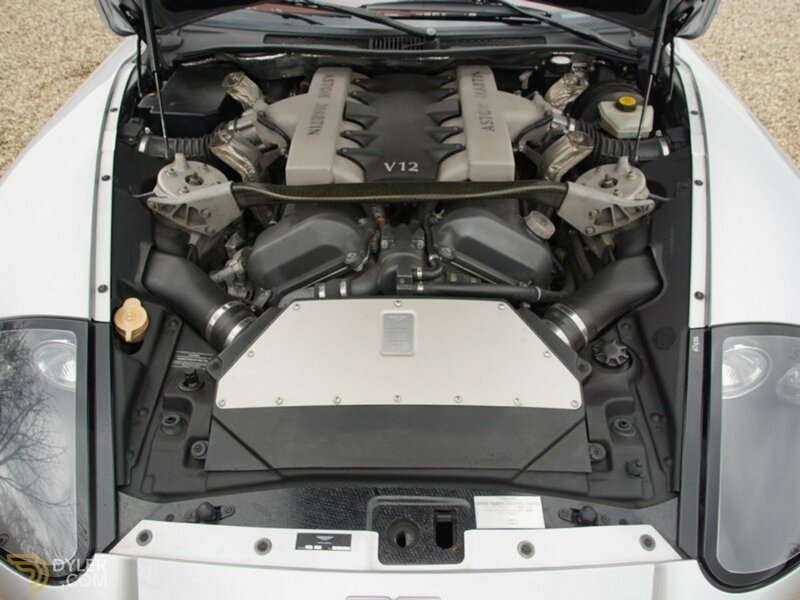 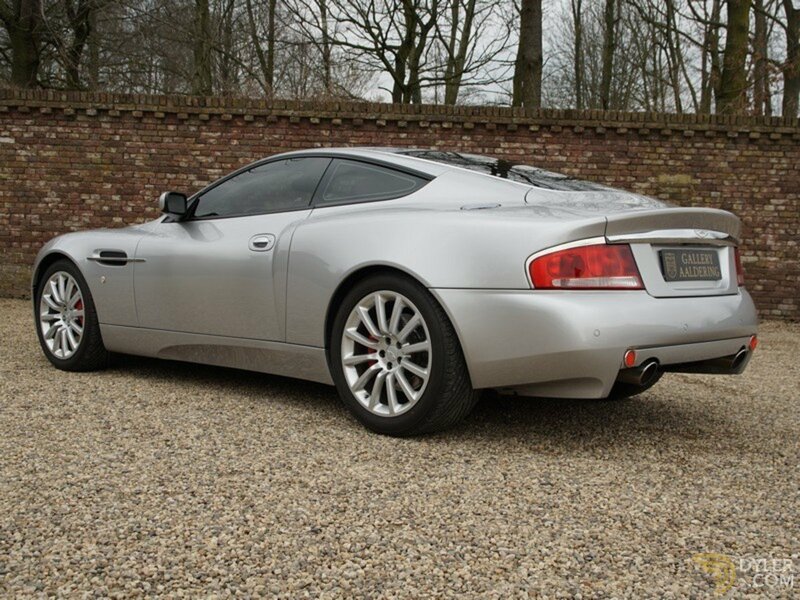 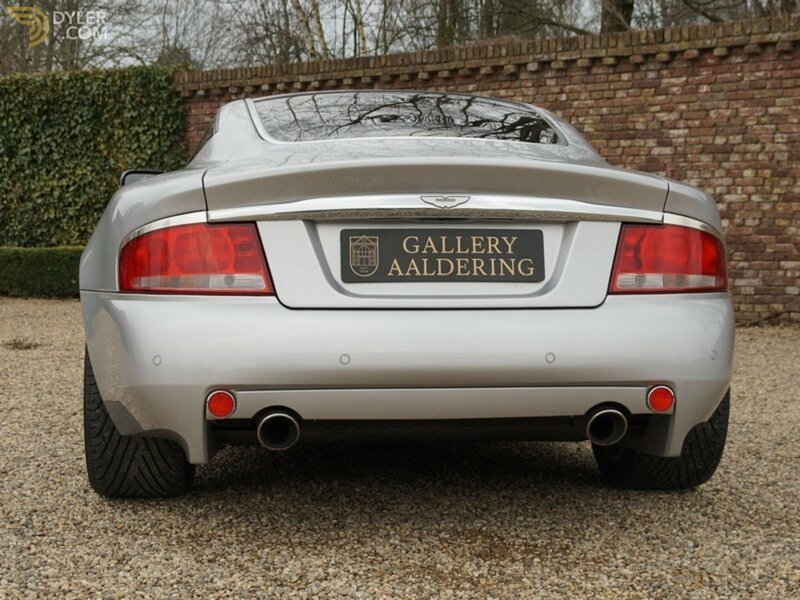 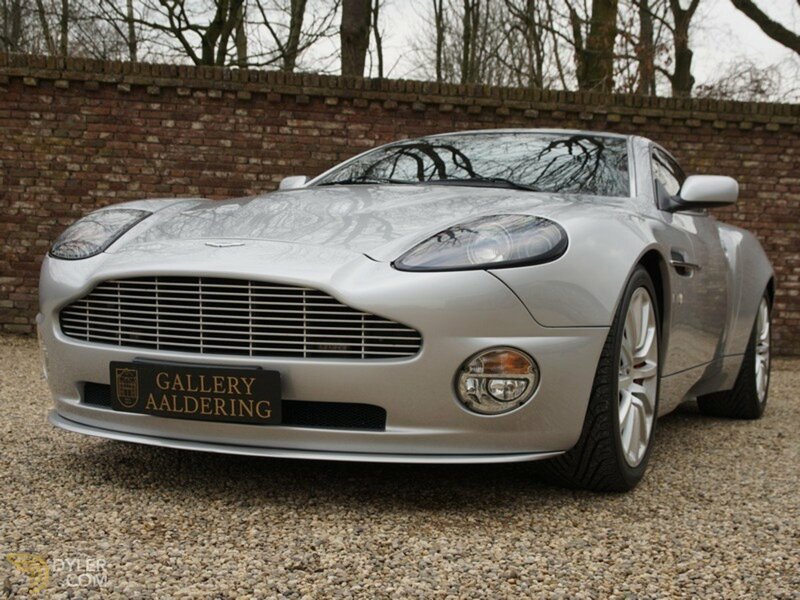 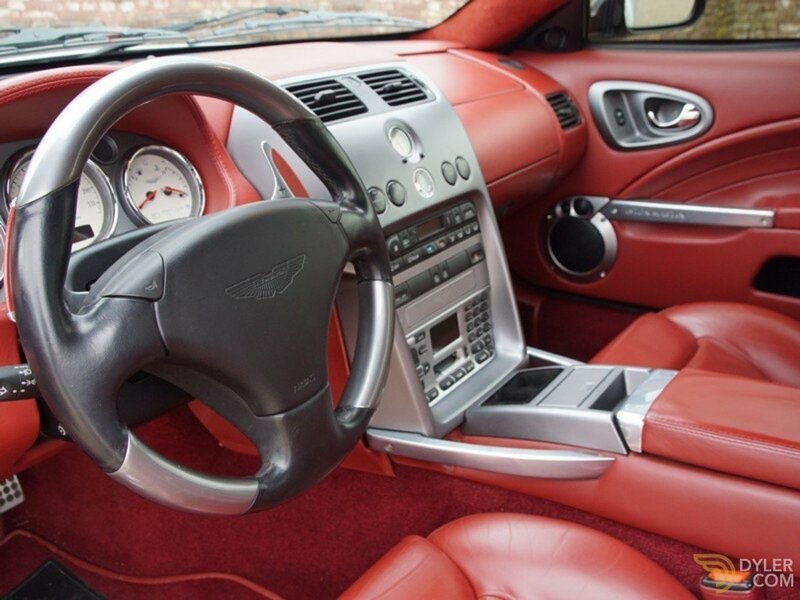 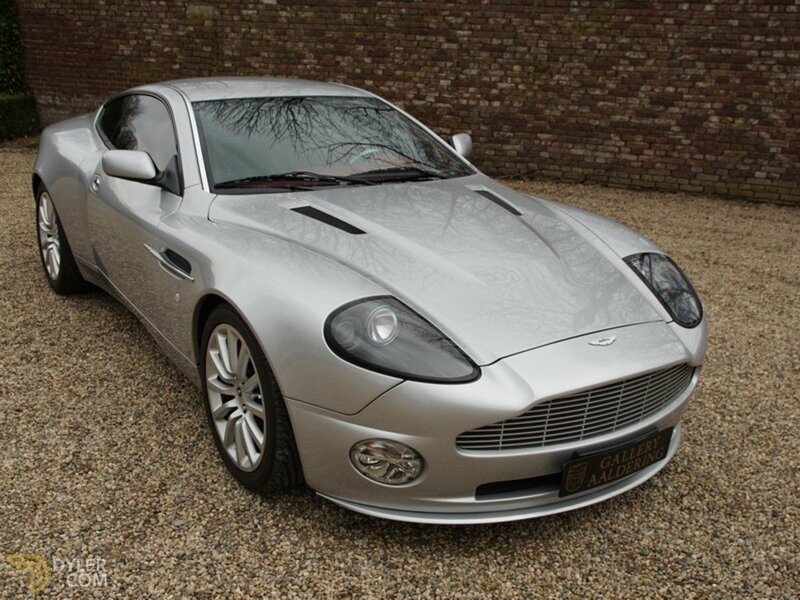 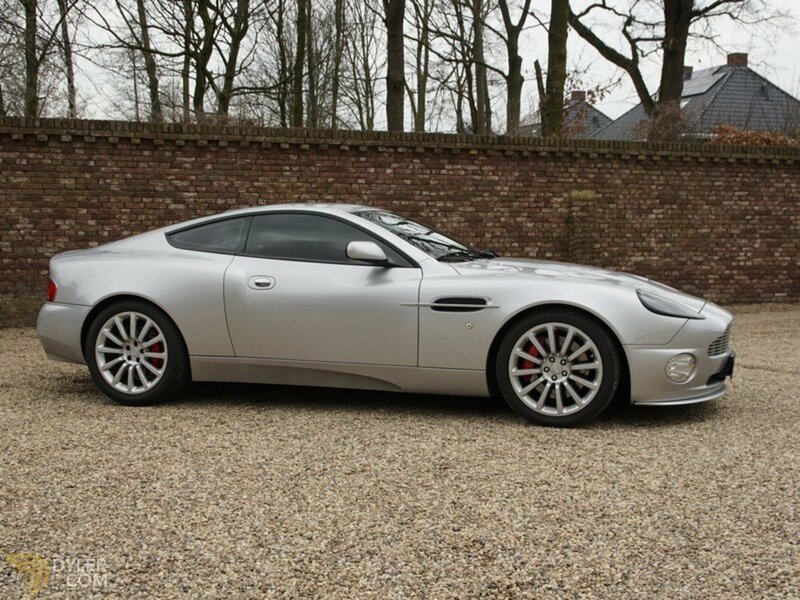 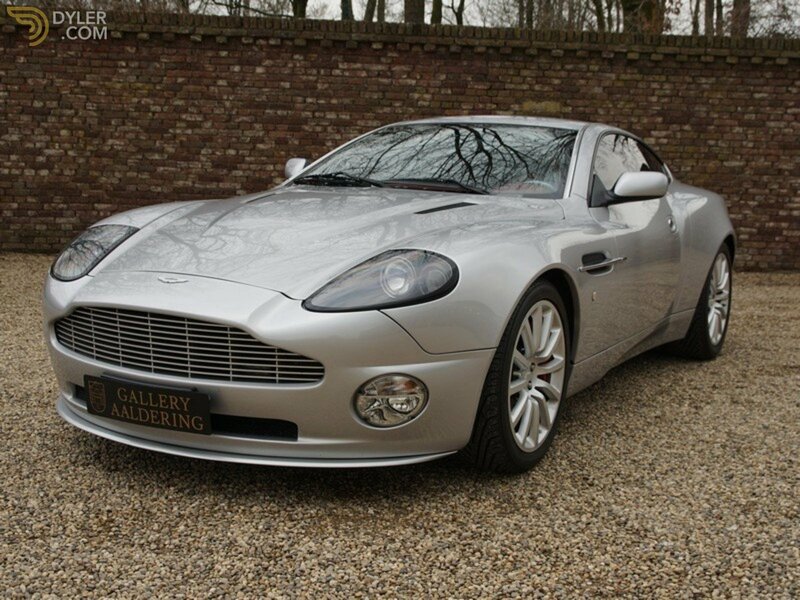 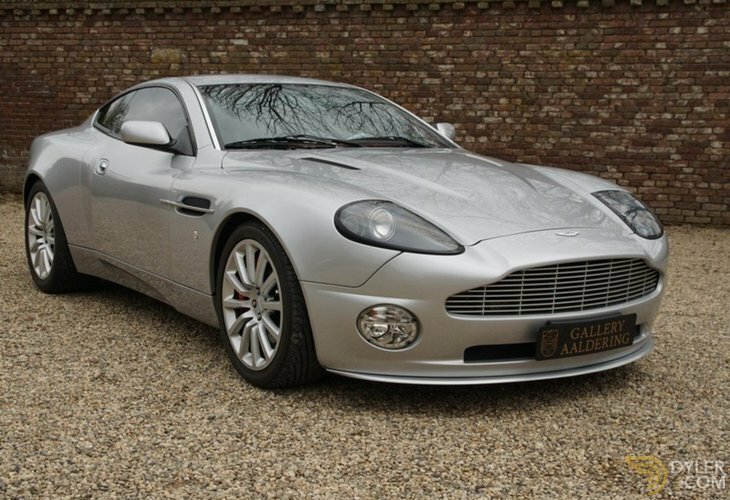 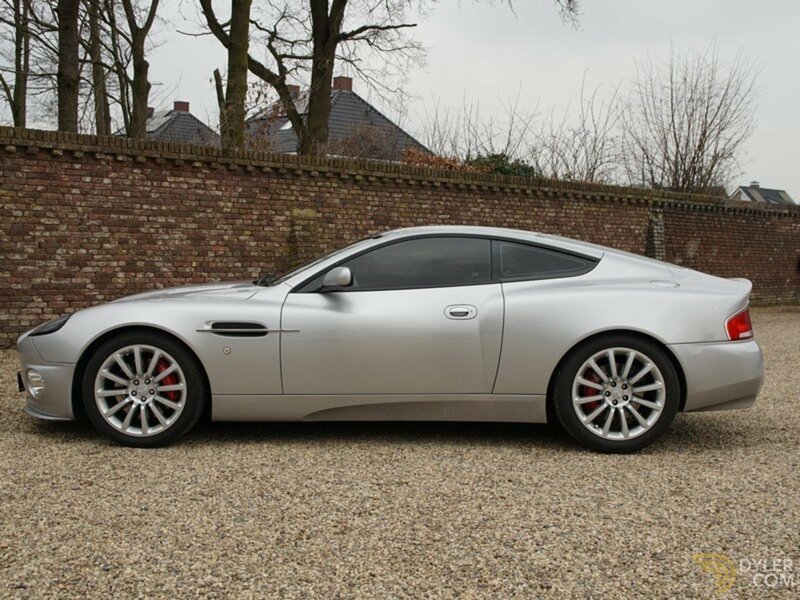 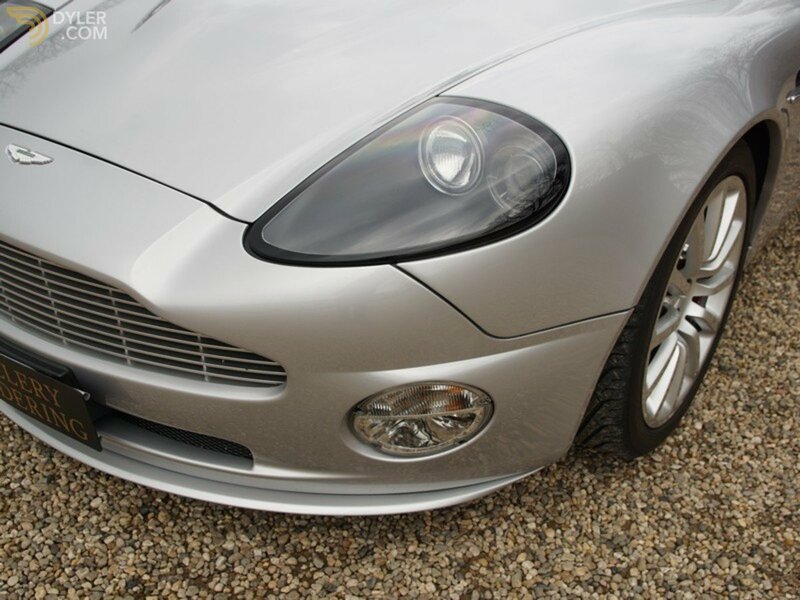 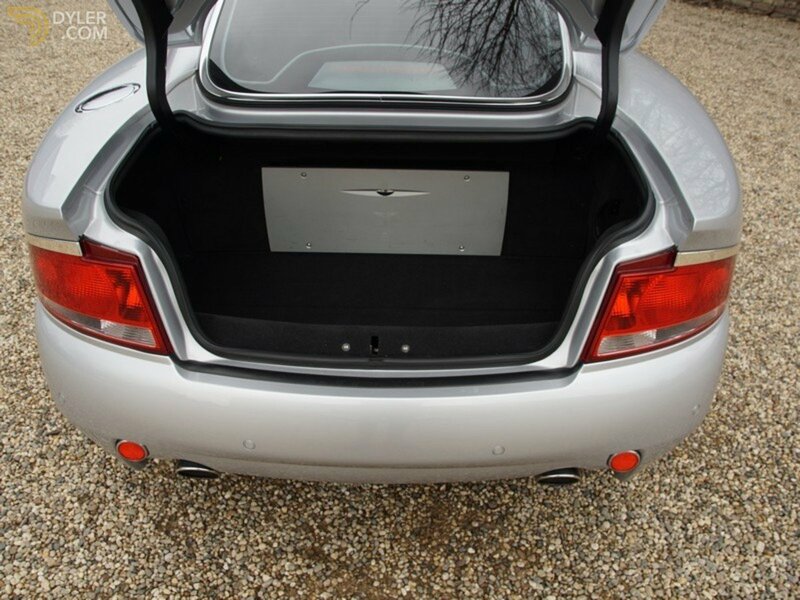 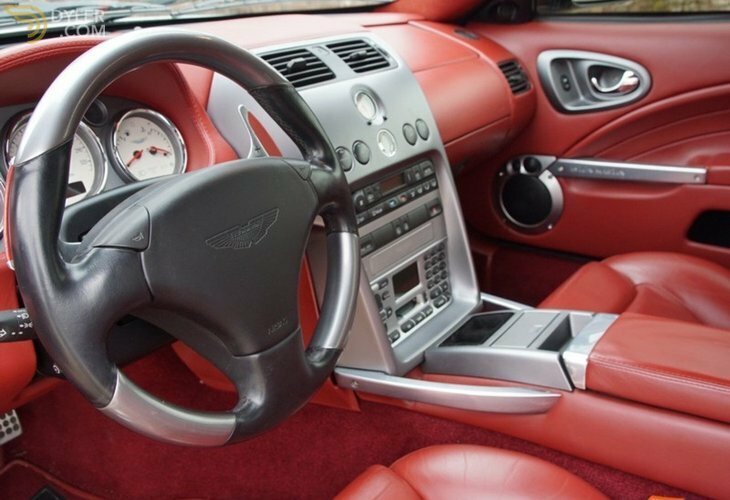 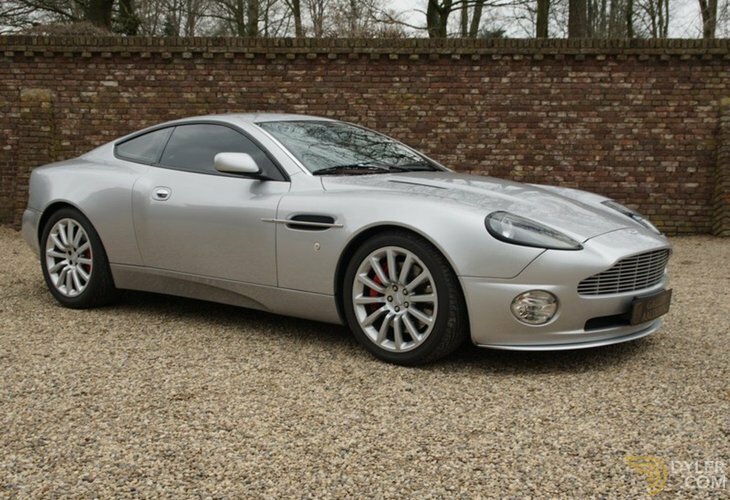 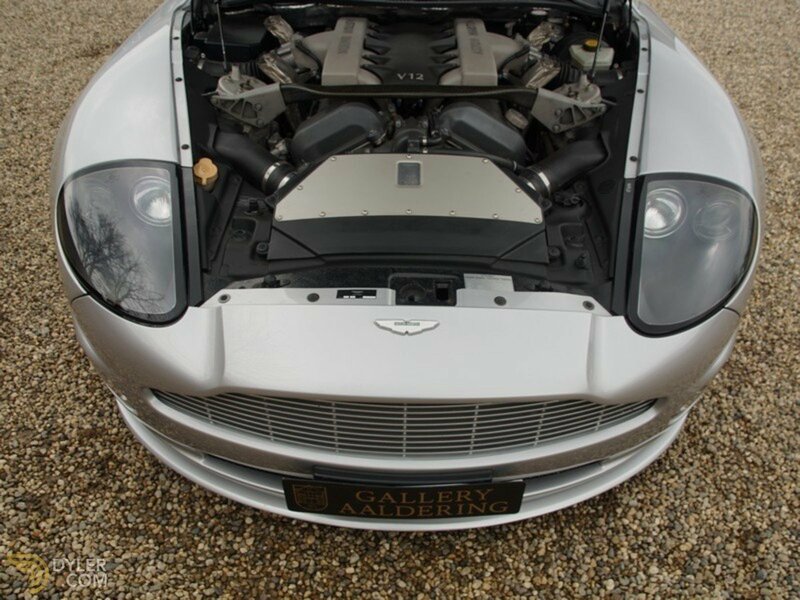 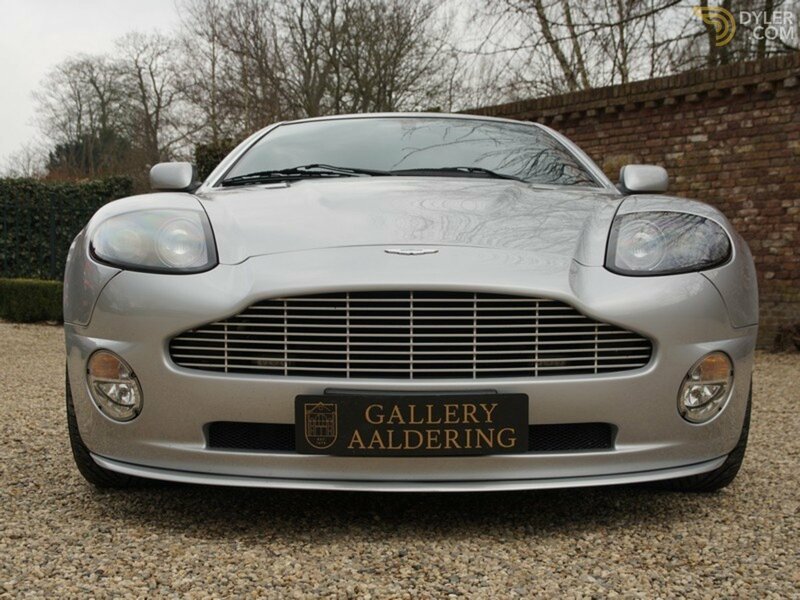 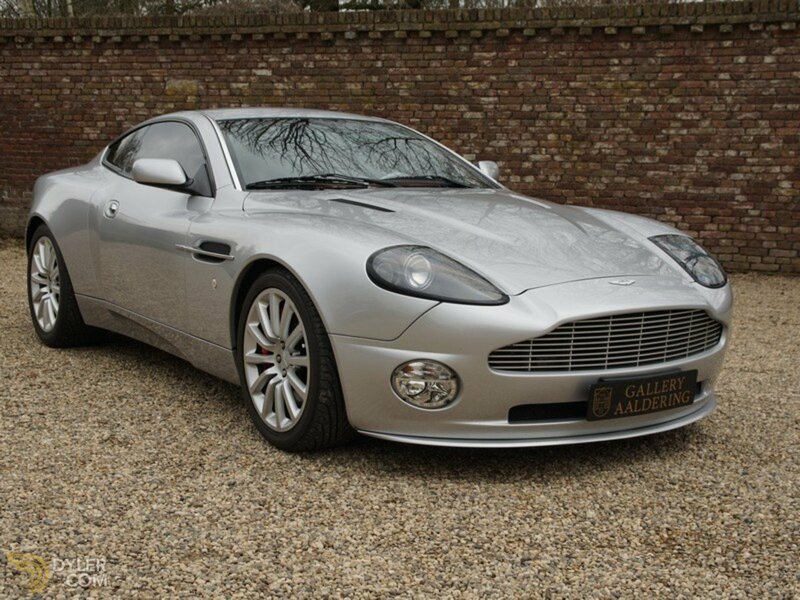 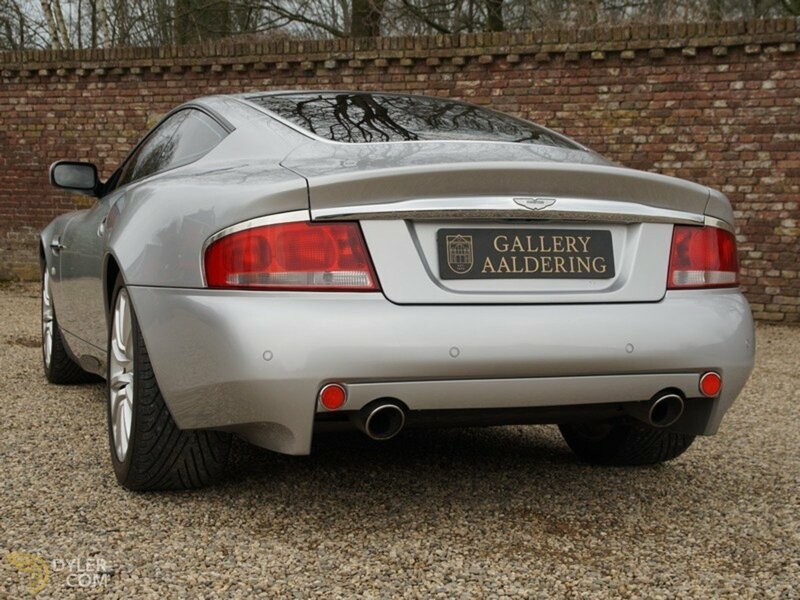 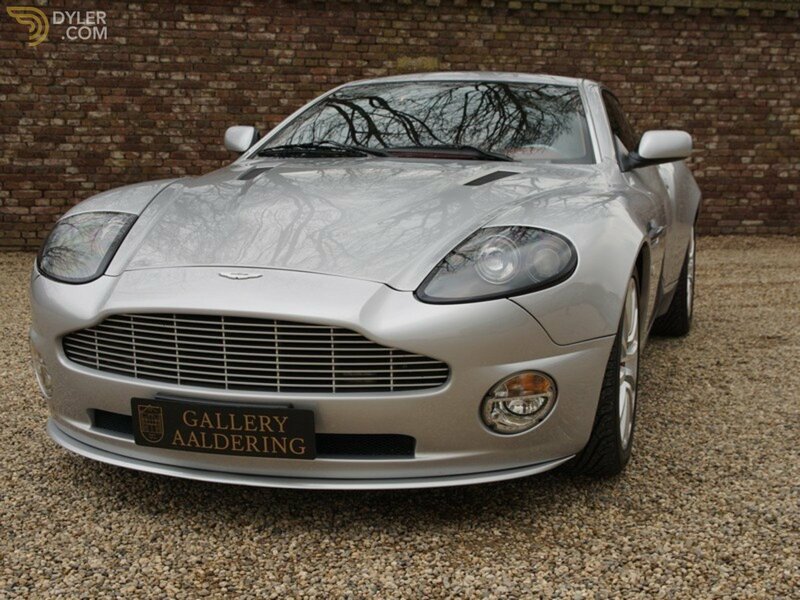 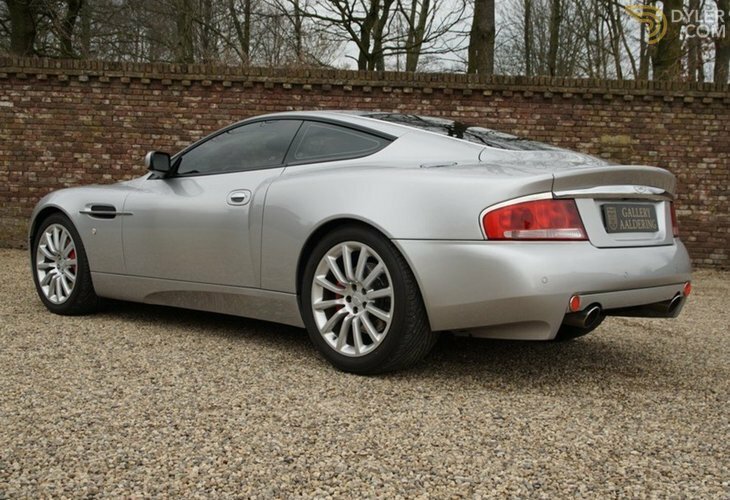 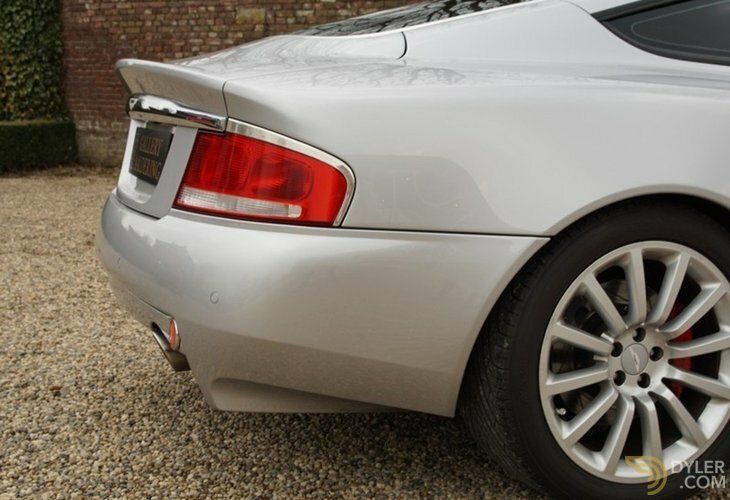 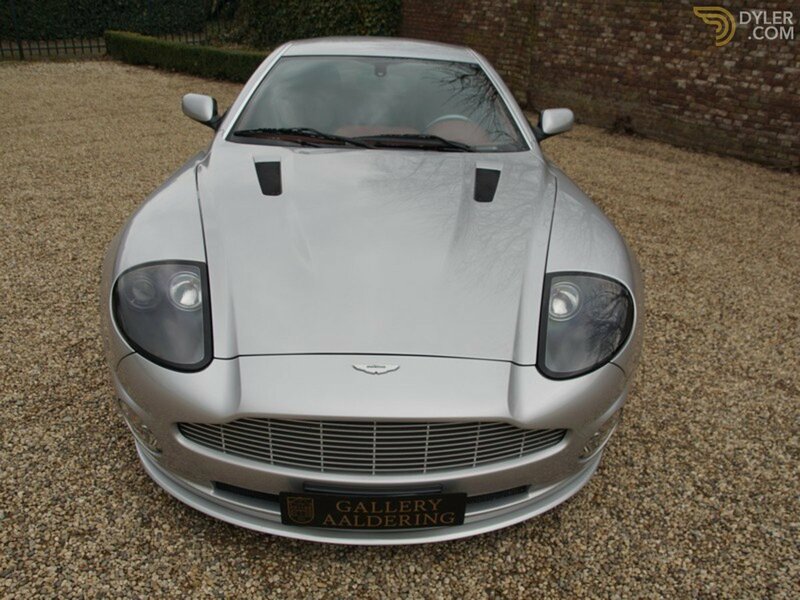 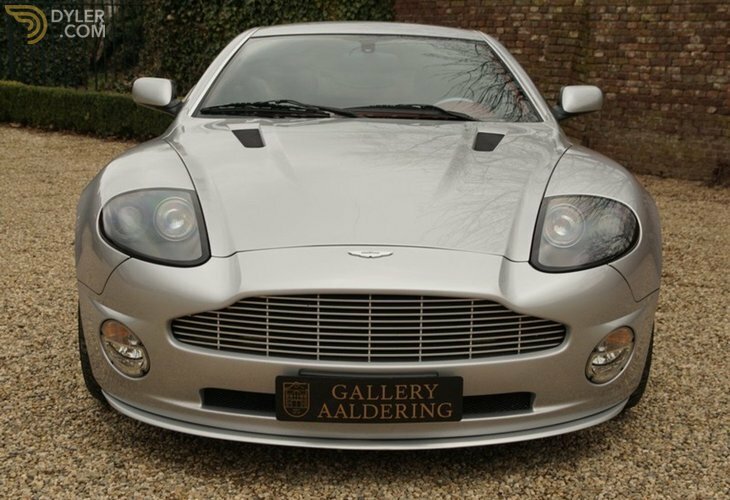 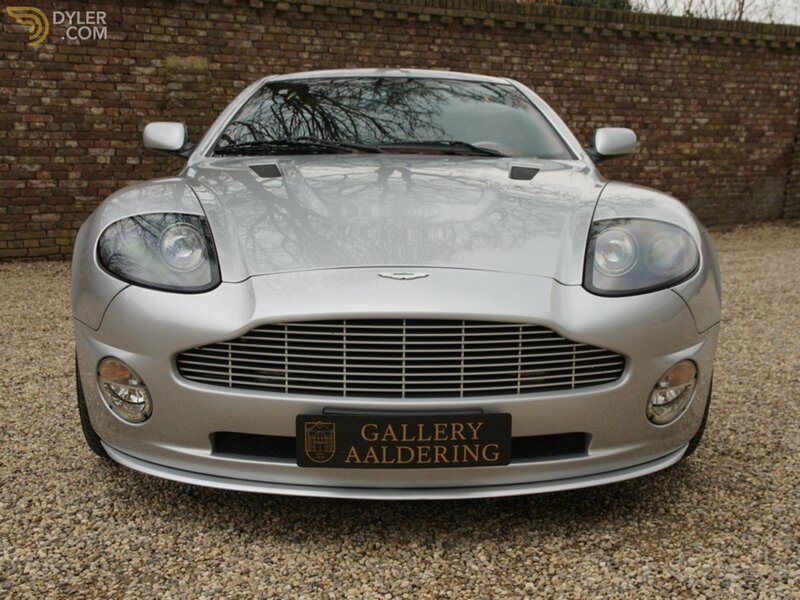 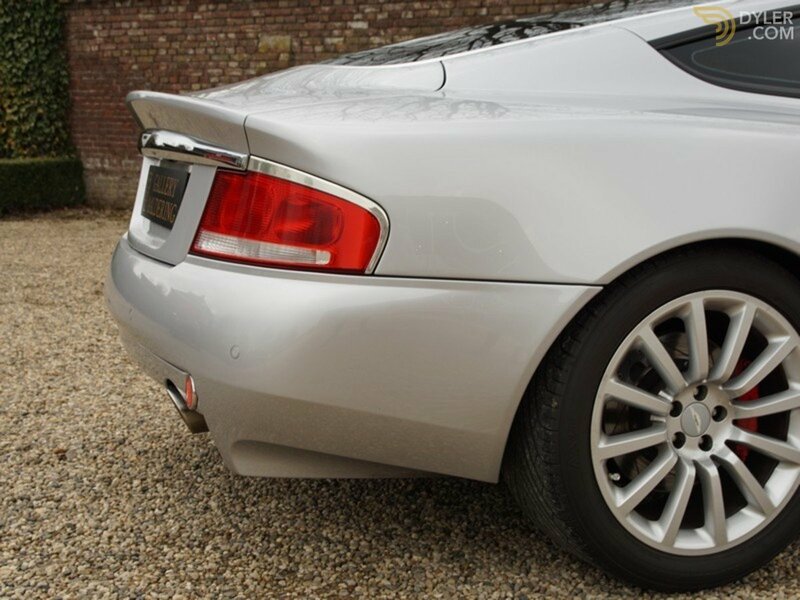 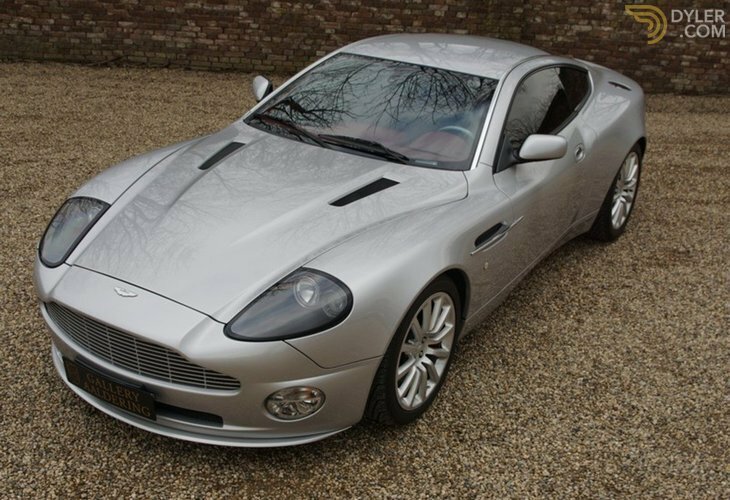 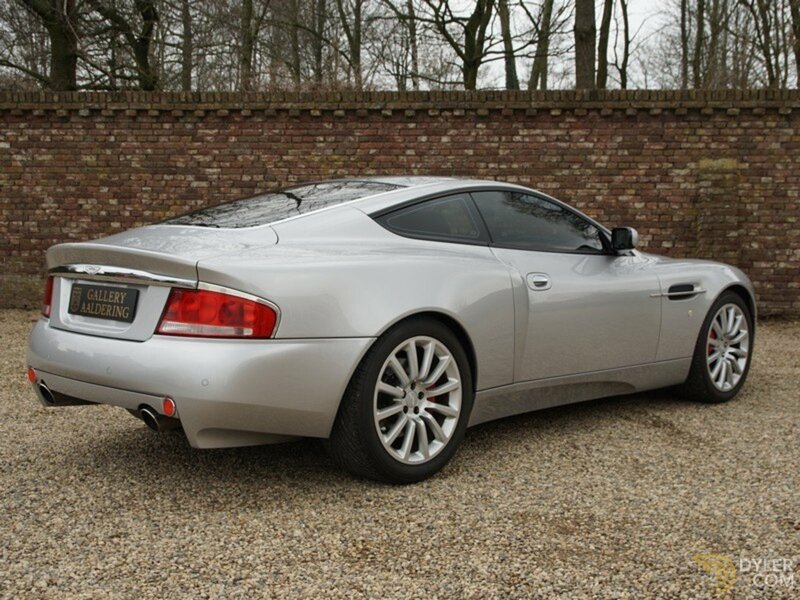 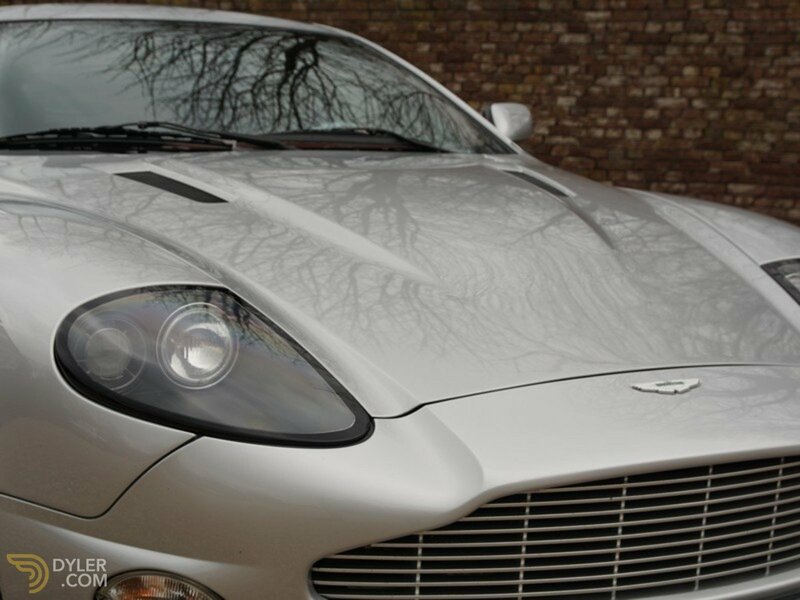 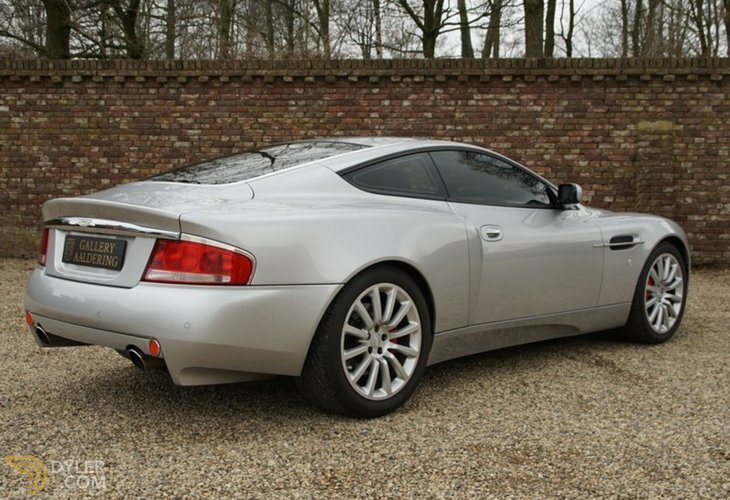 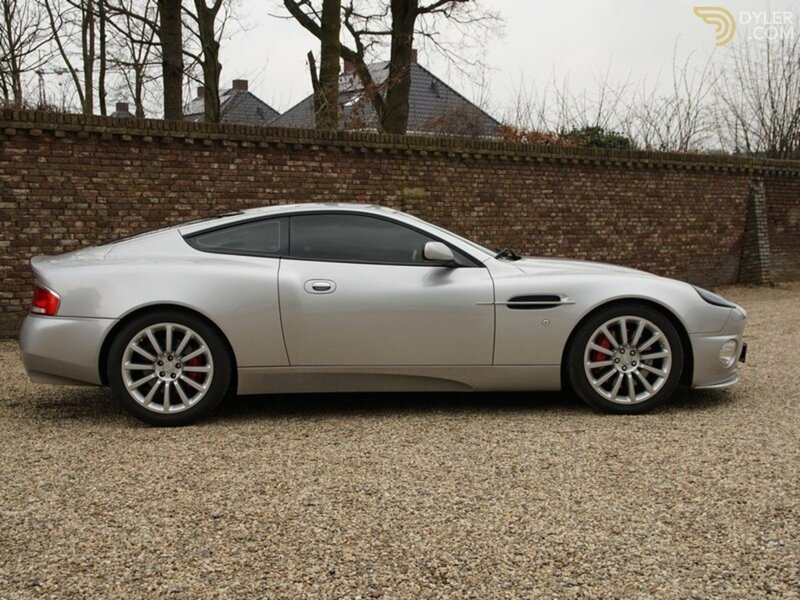 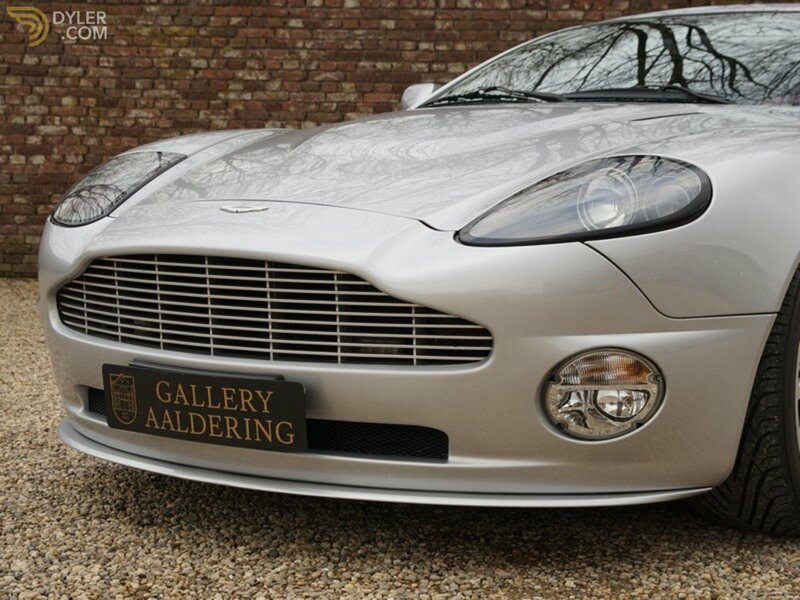 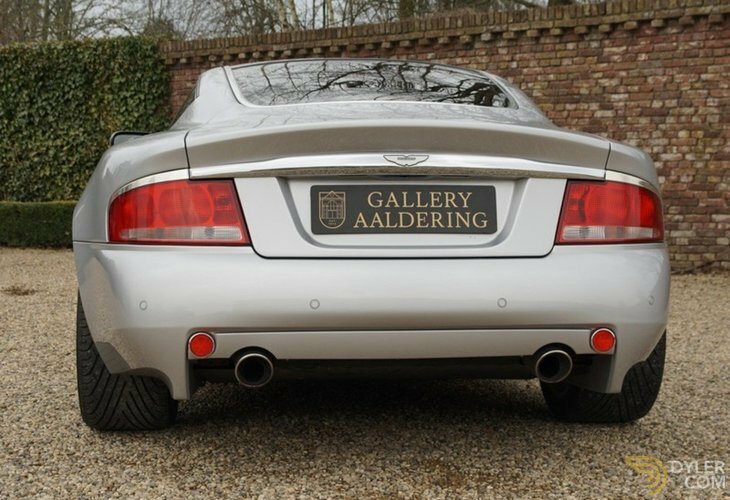 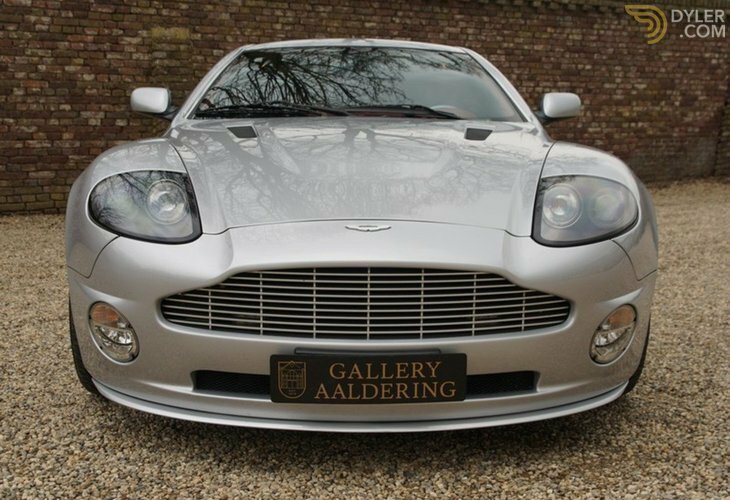 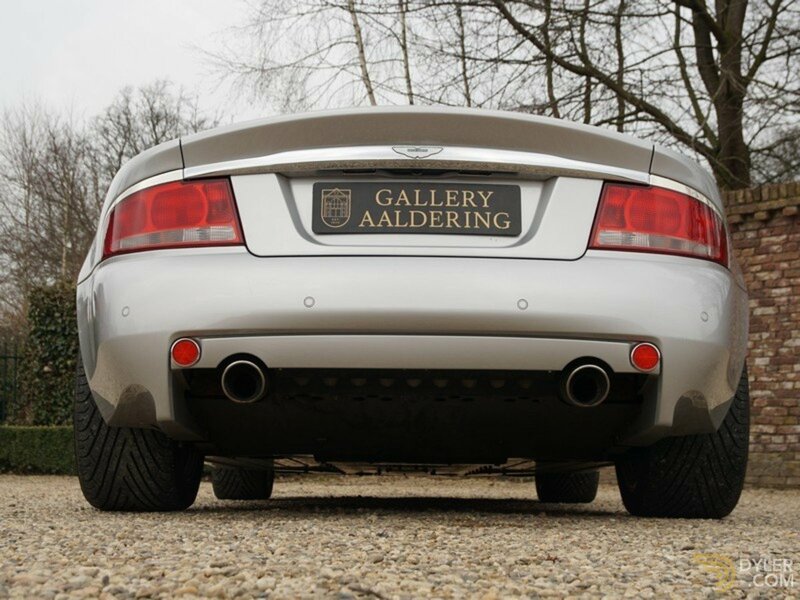 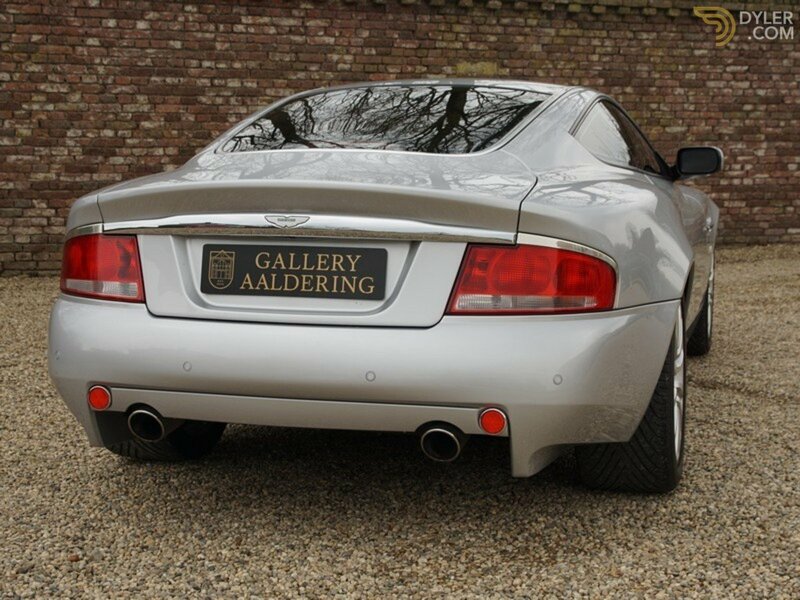 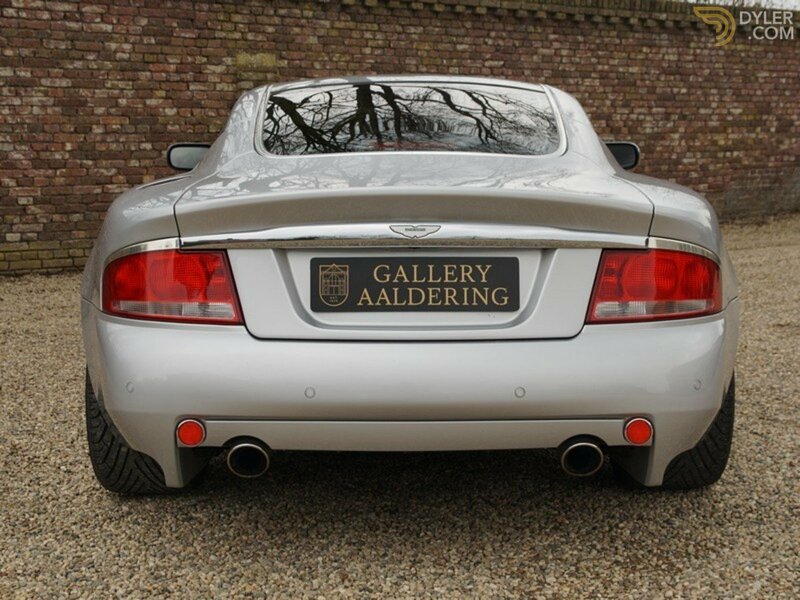 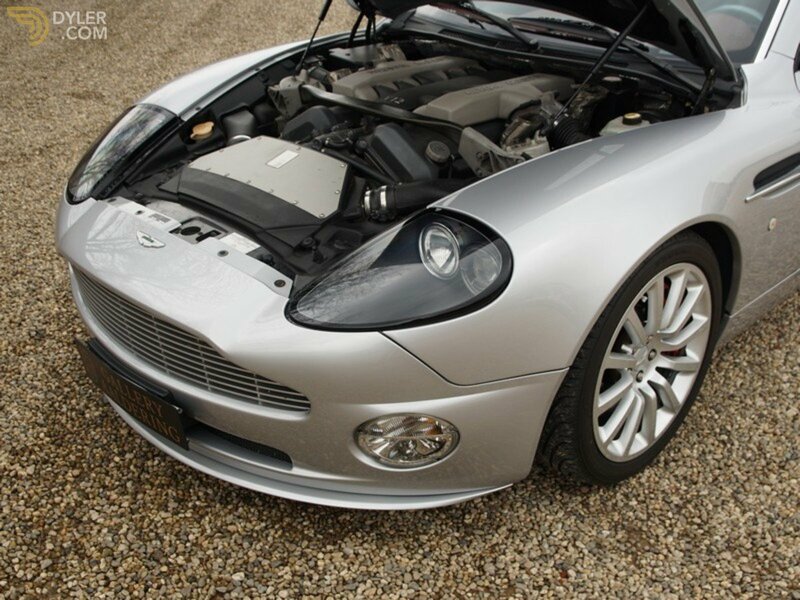 A fantastic 2004 Aston Martin V12 Vanquish. 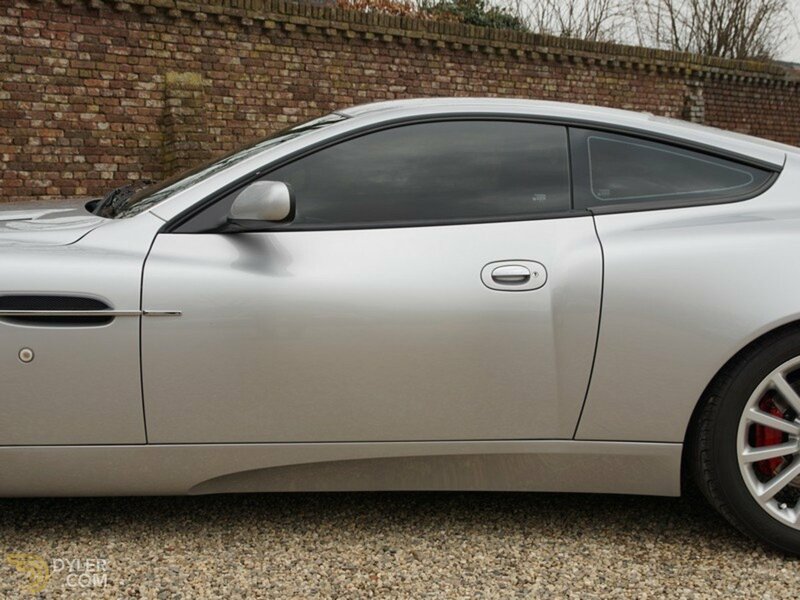 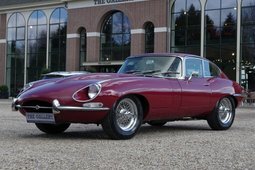 Made famous by James Bond 007 who drove this type in the film ‘Die Another Day’. 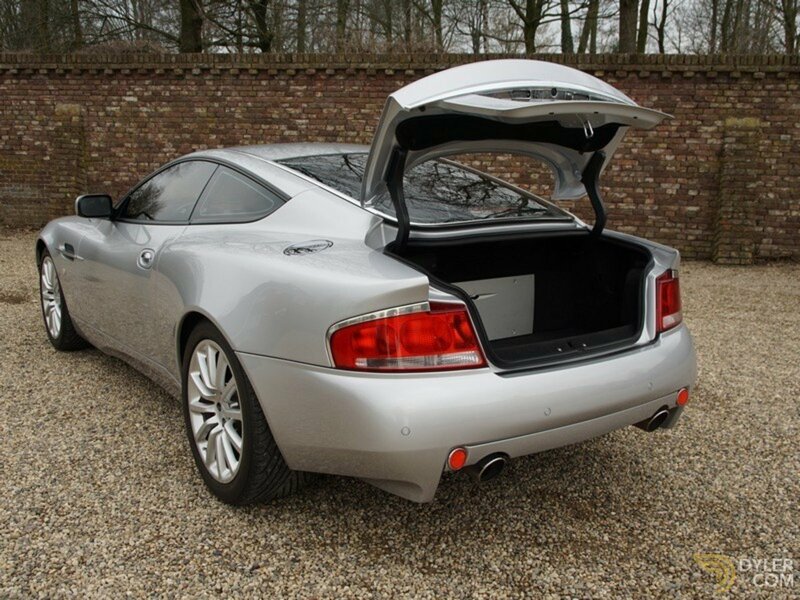 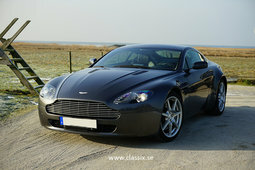 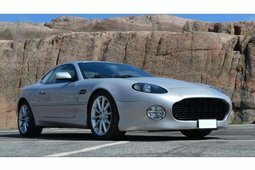 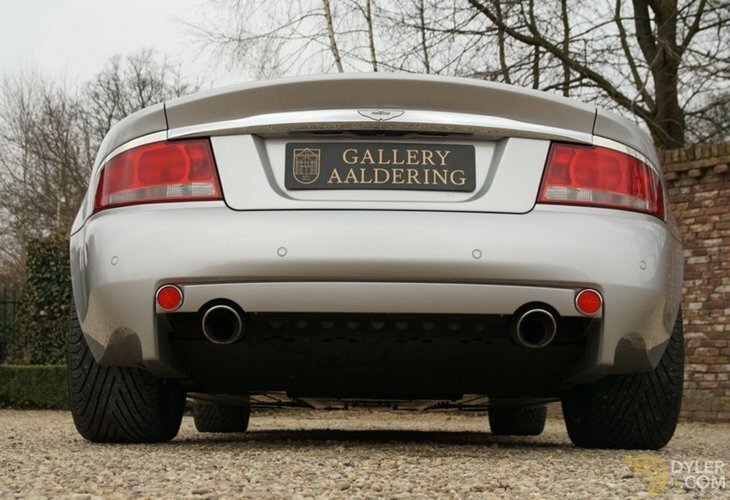 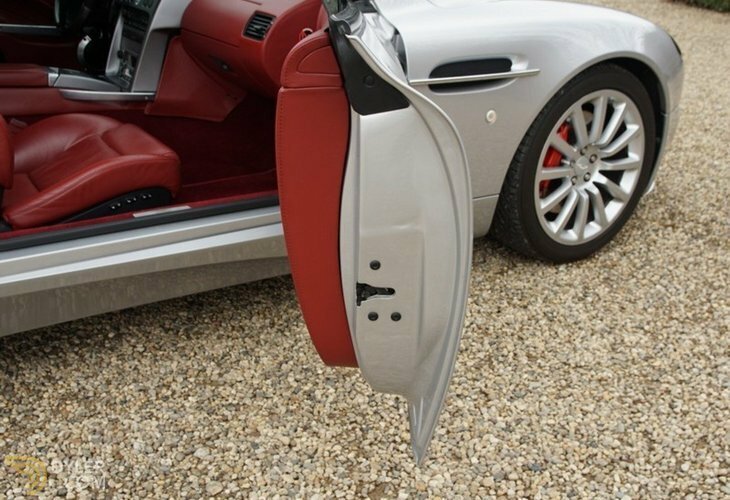 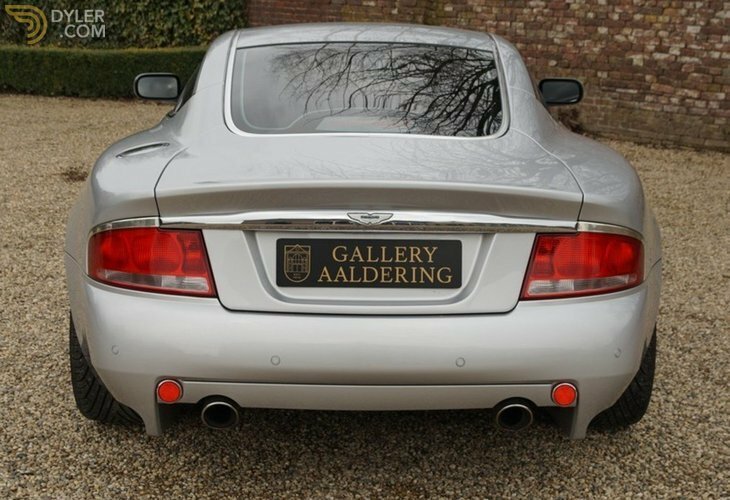 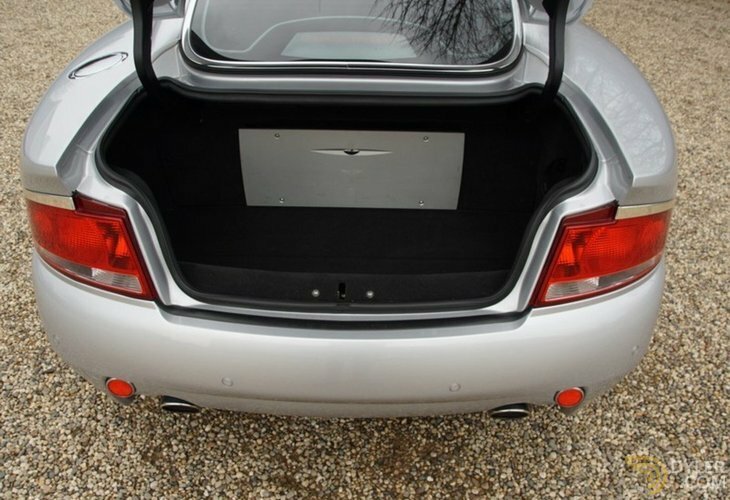 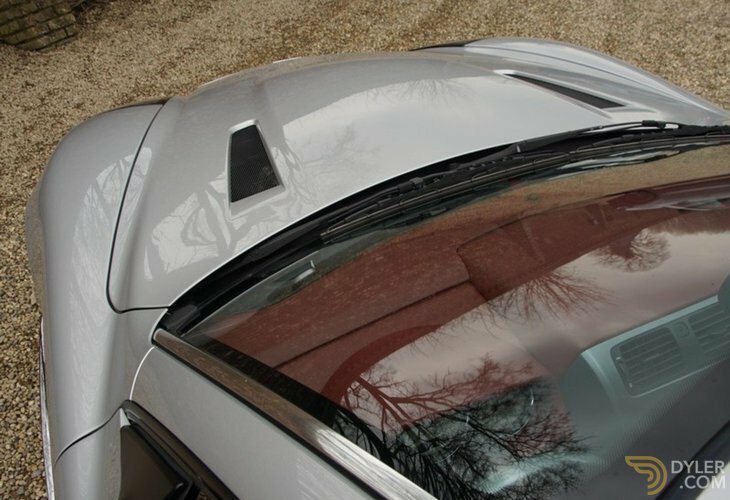 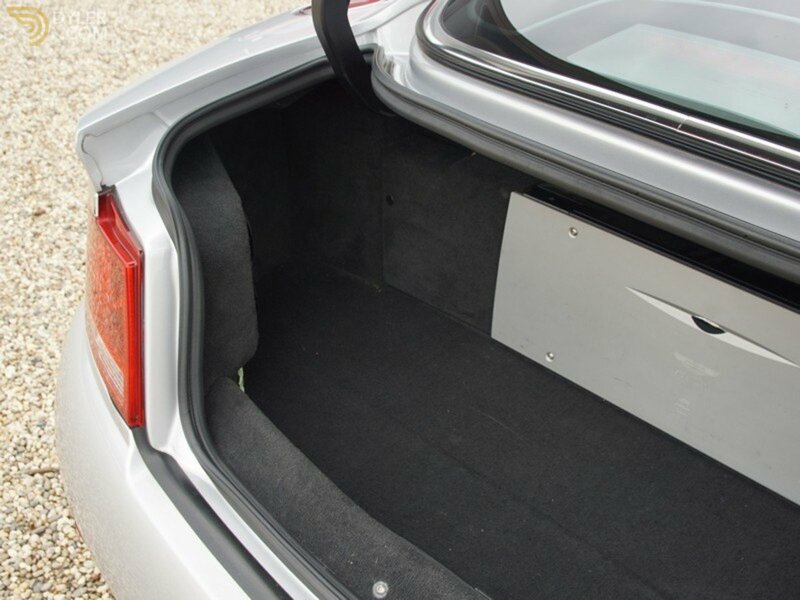 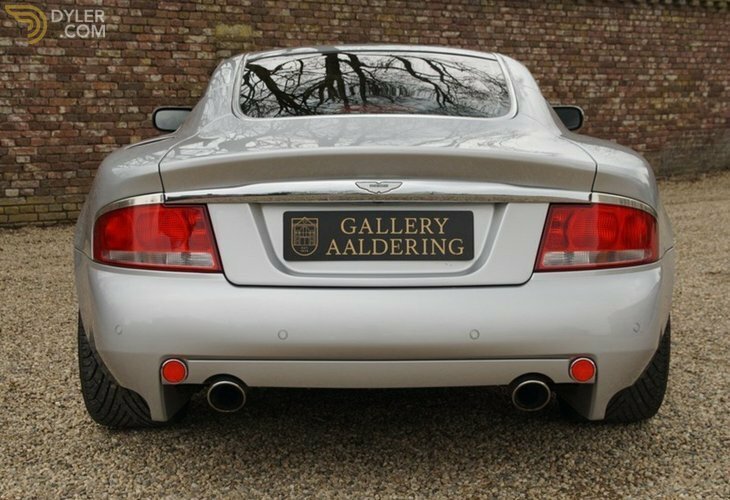 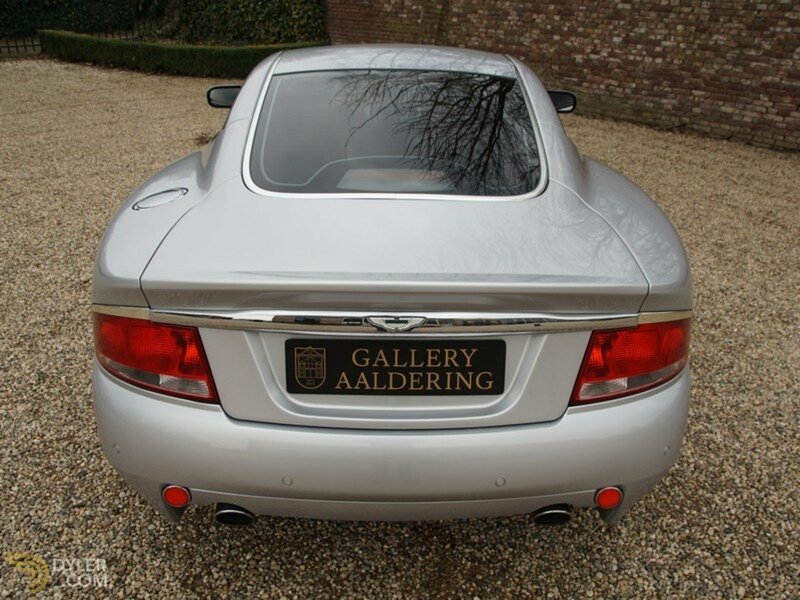 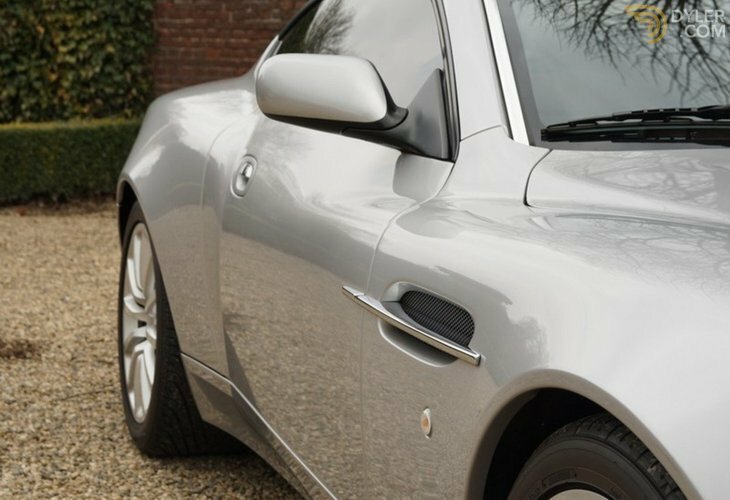 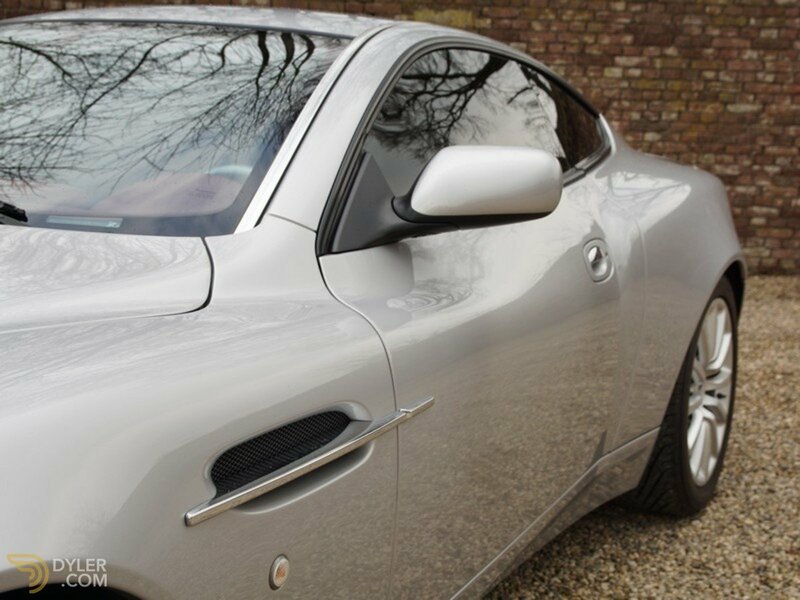 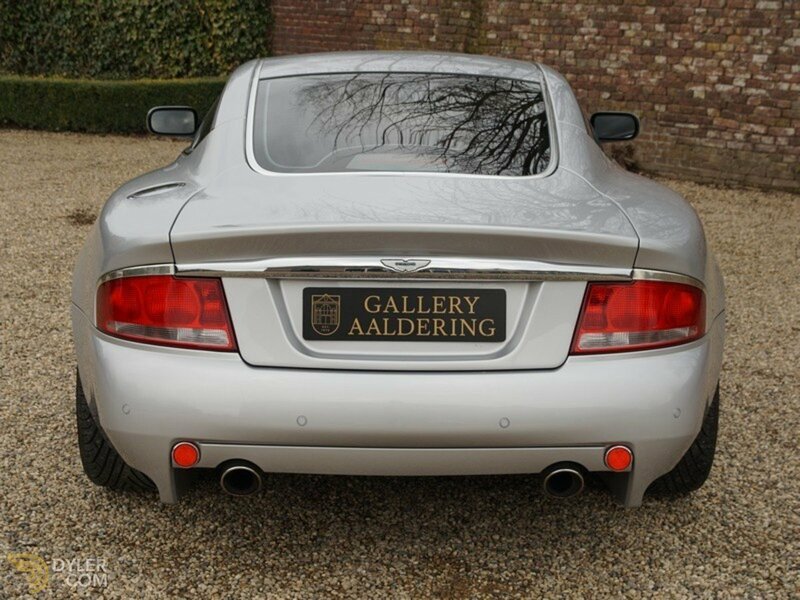 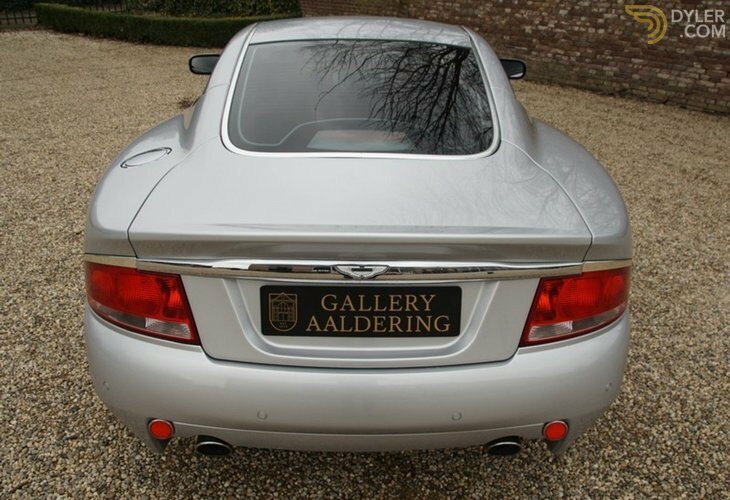 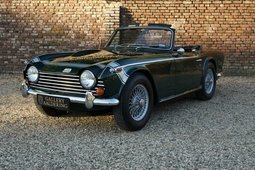 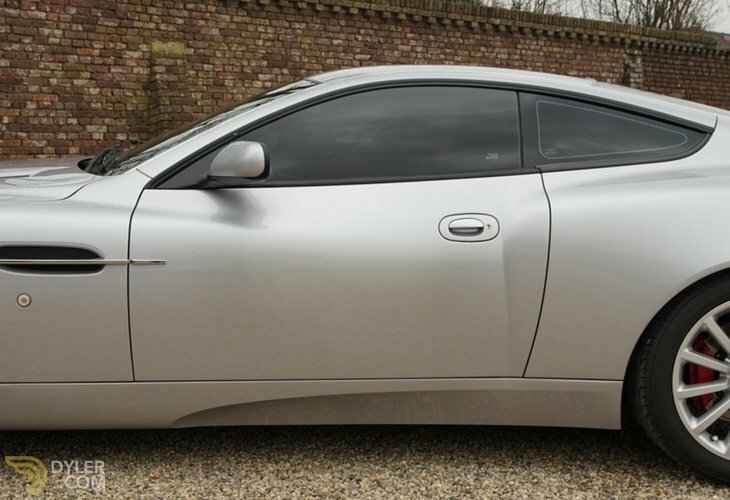 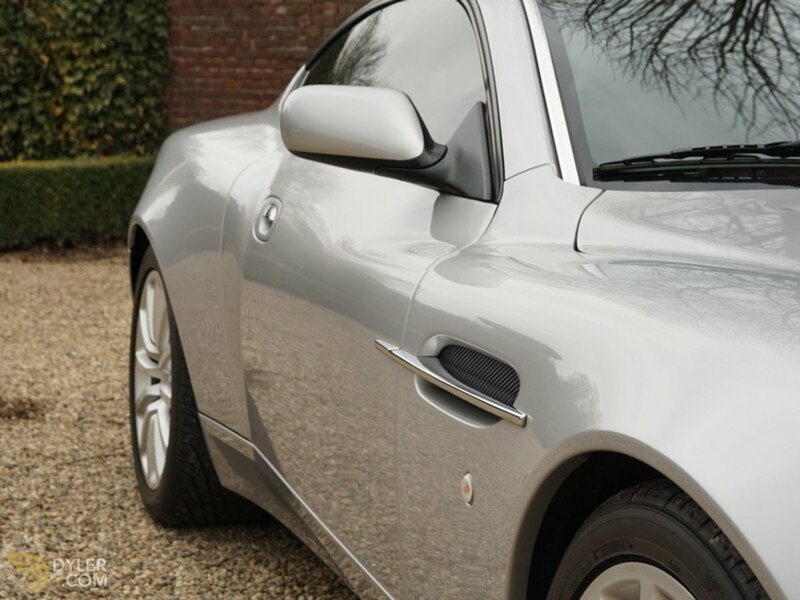 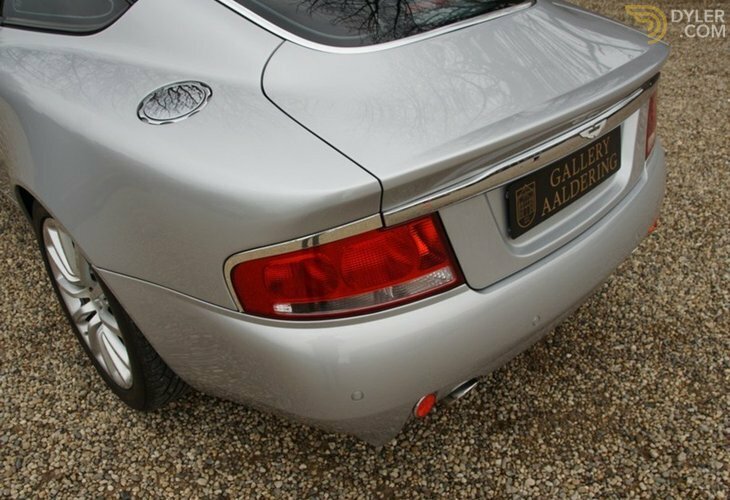 Supplied to its first owner by Aston Martin in Padua, Italy on the 25th September 2004. 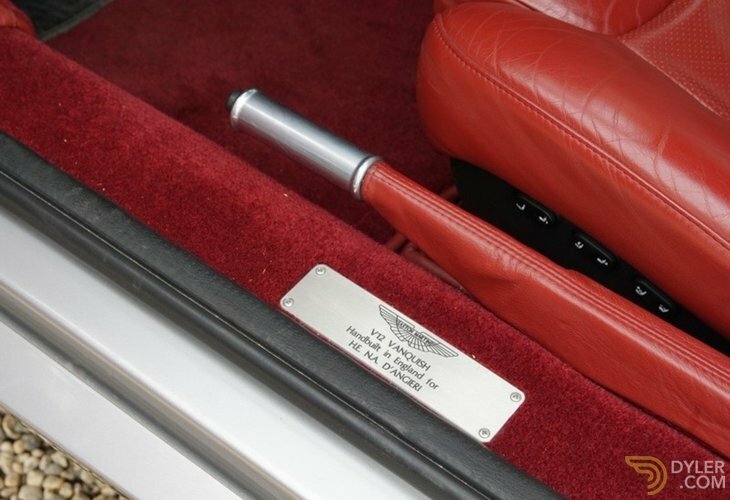 The first owner also just happened to be a rather famous ambassador and car collector. 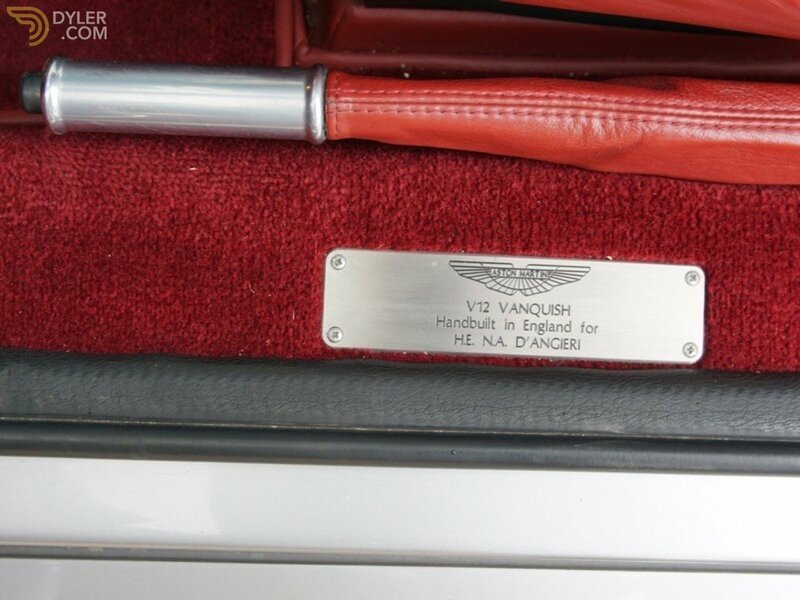 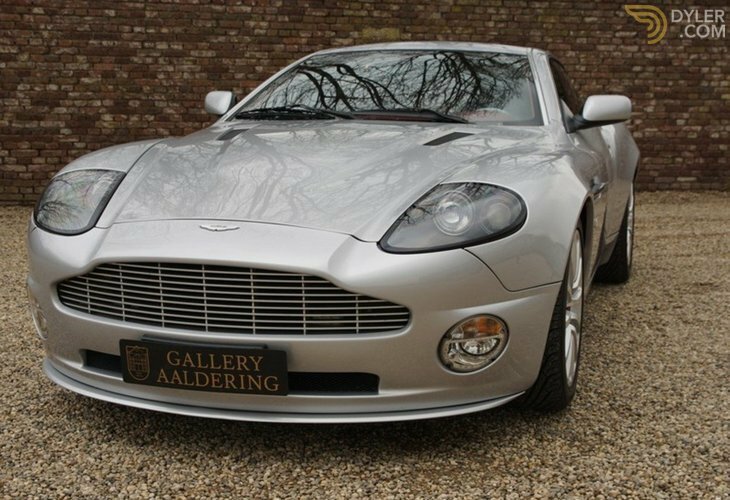 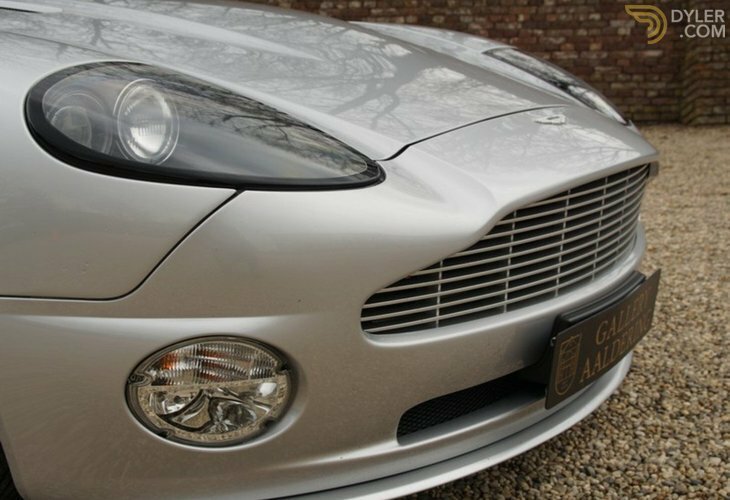 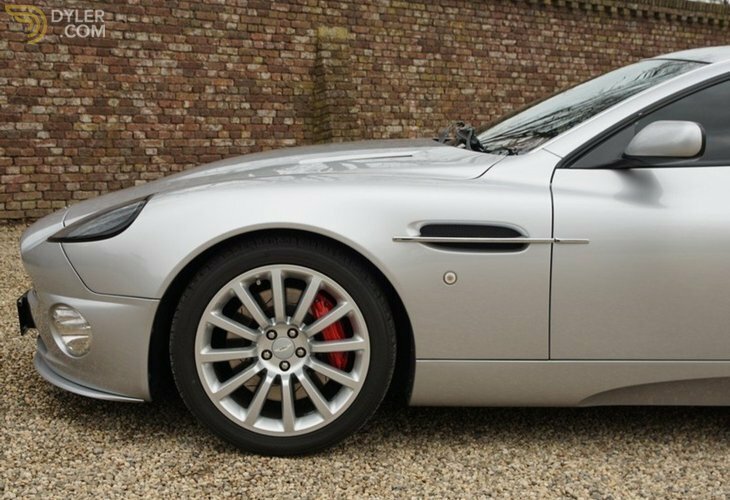 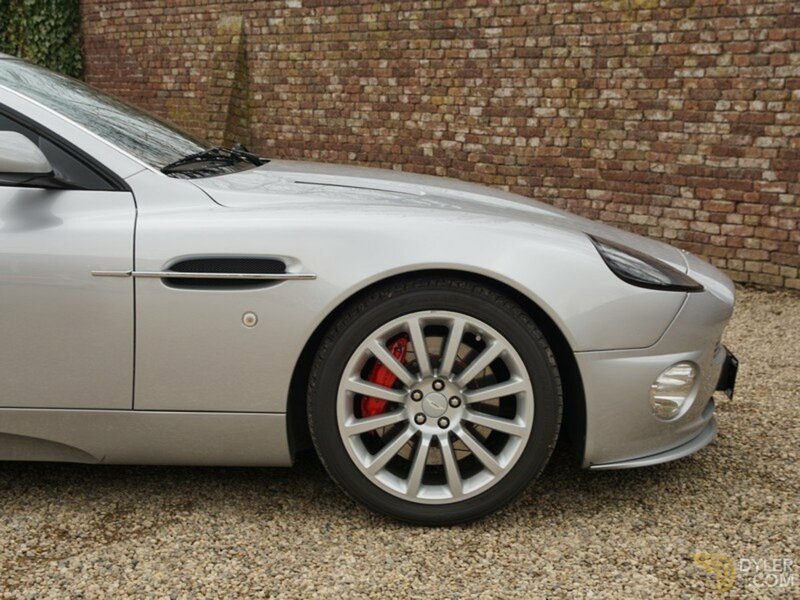 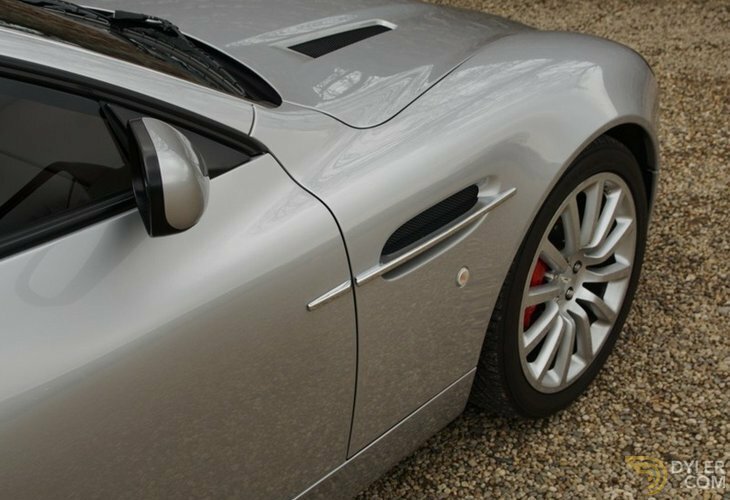 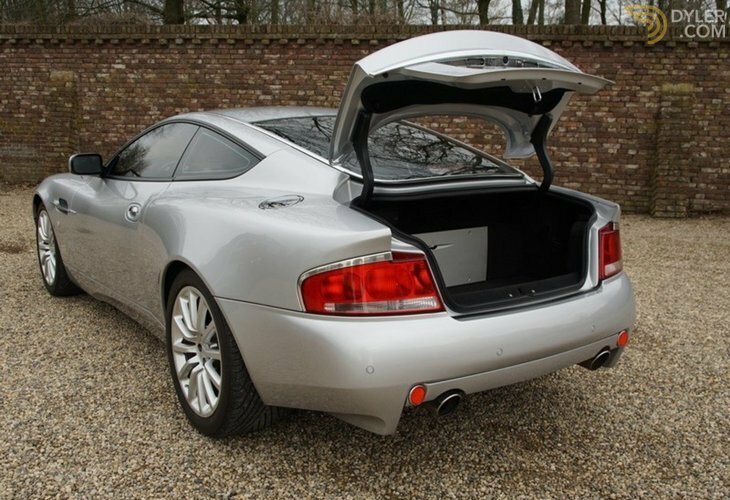 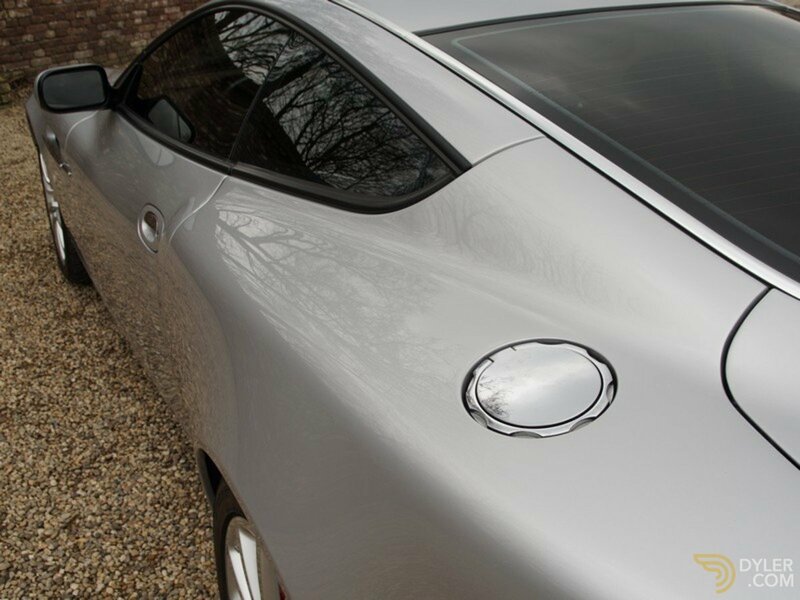 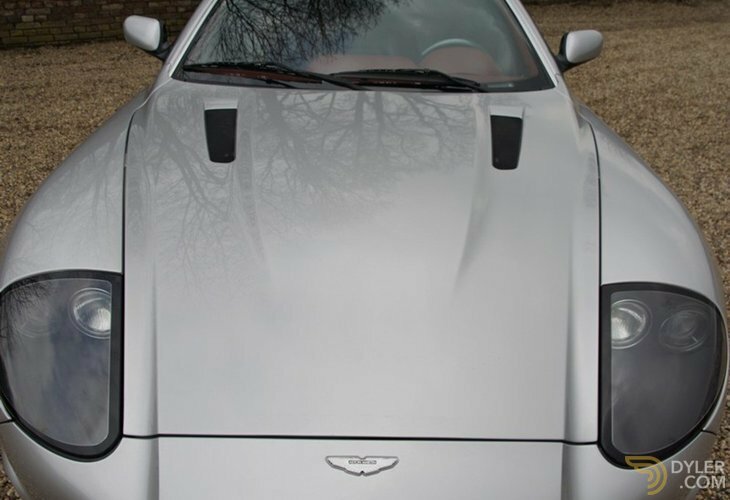 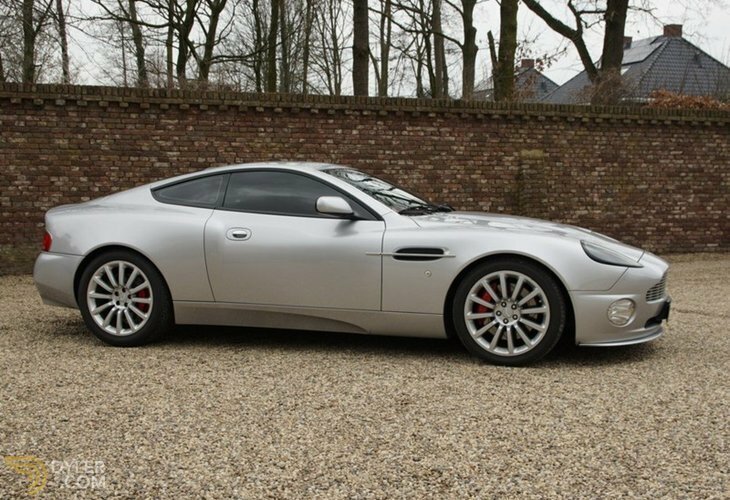 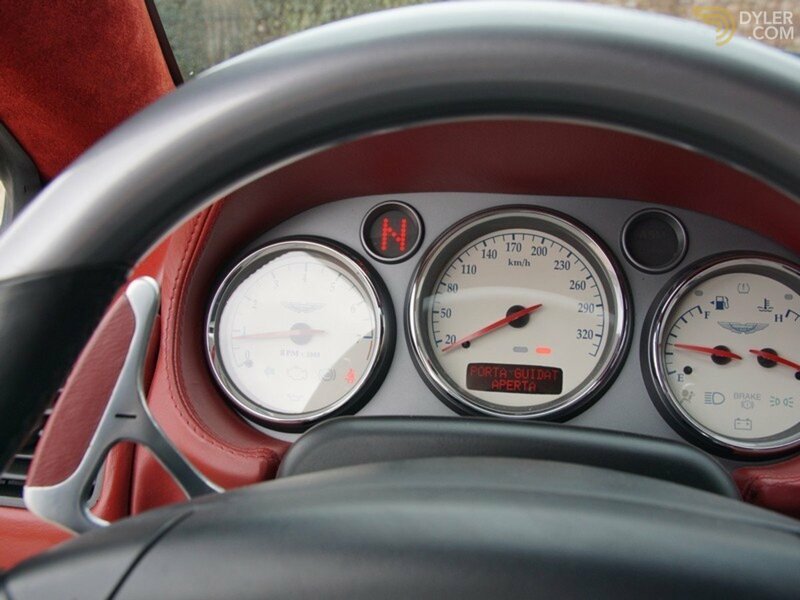 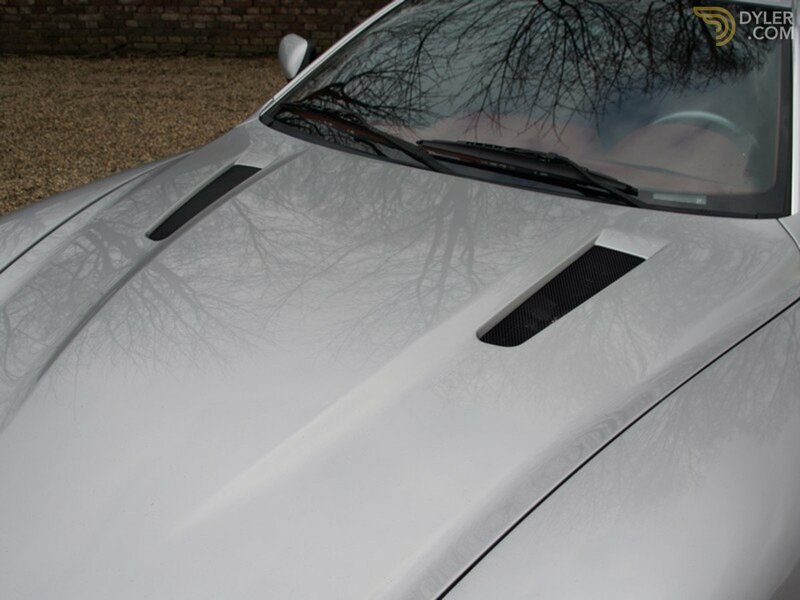 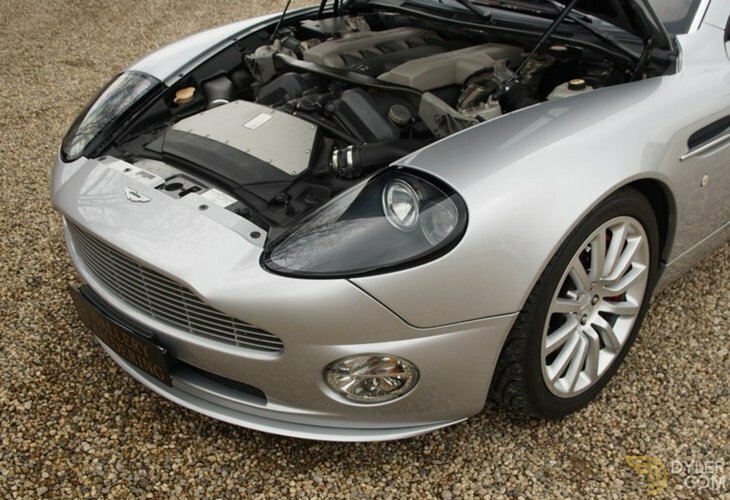 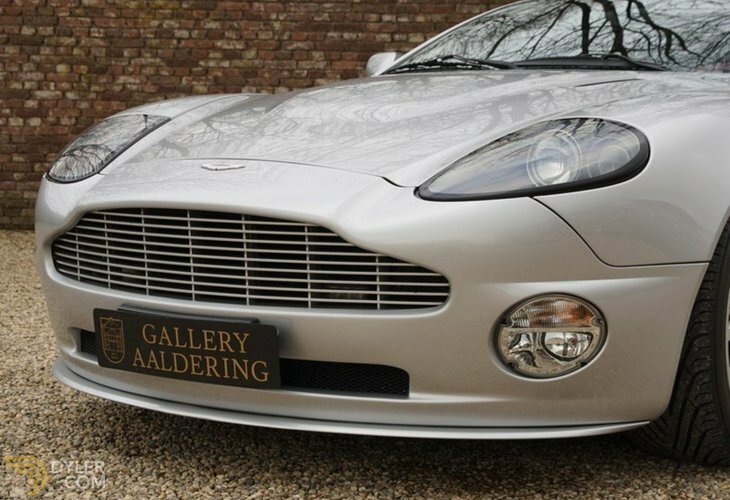 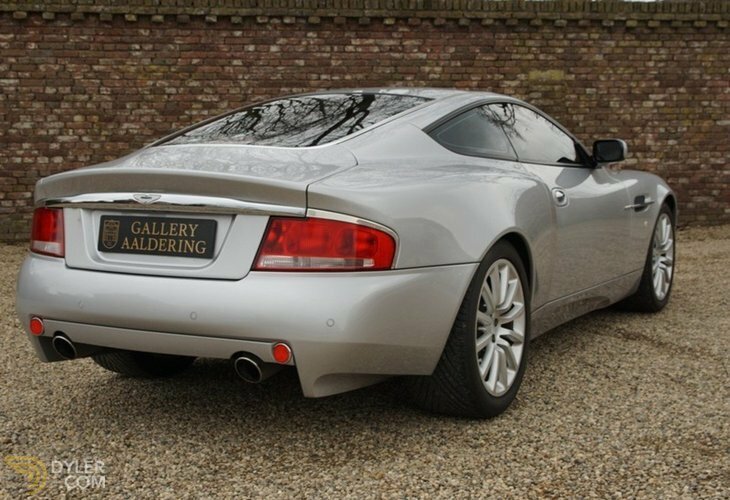 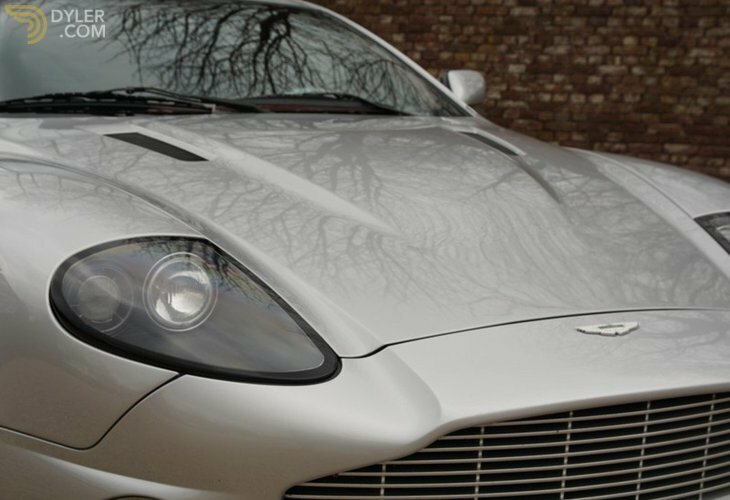 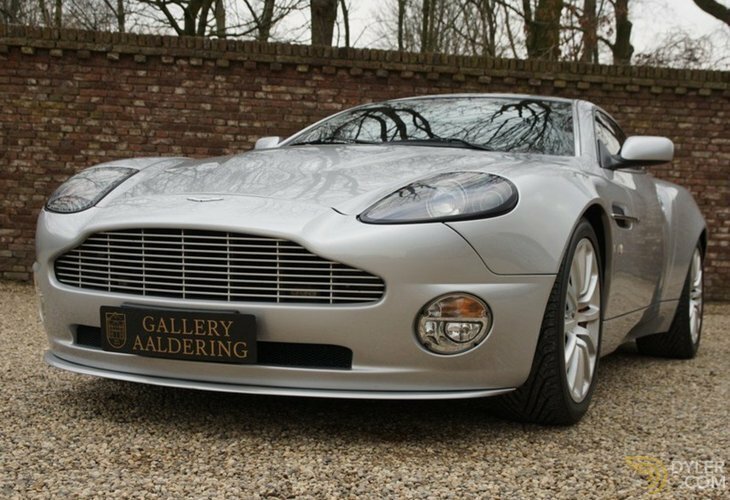 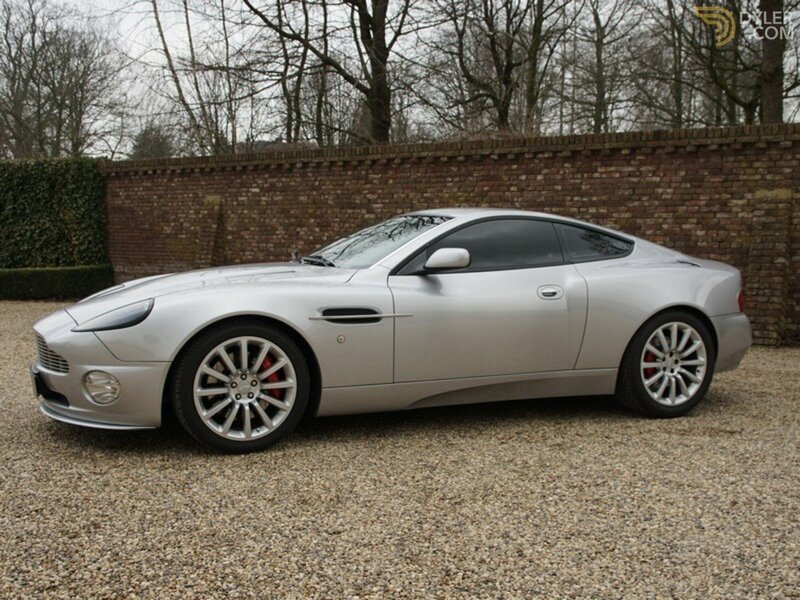 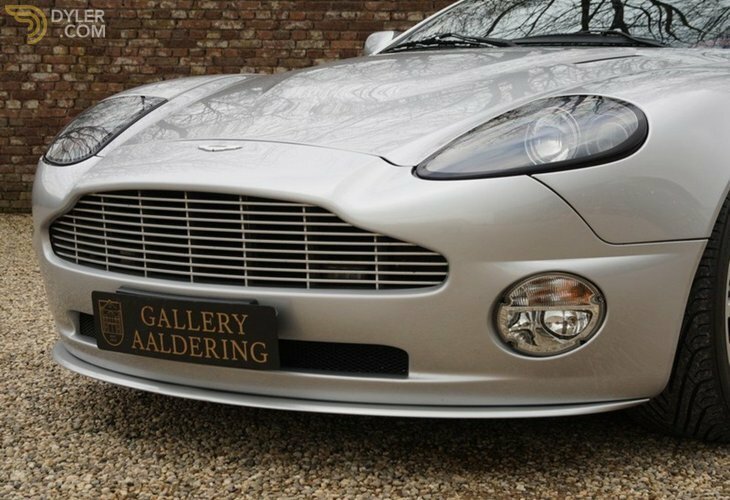 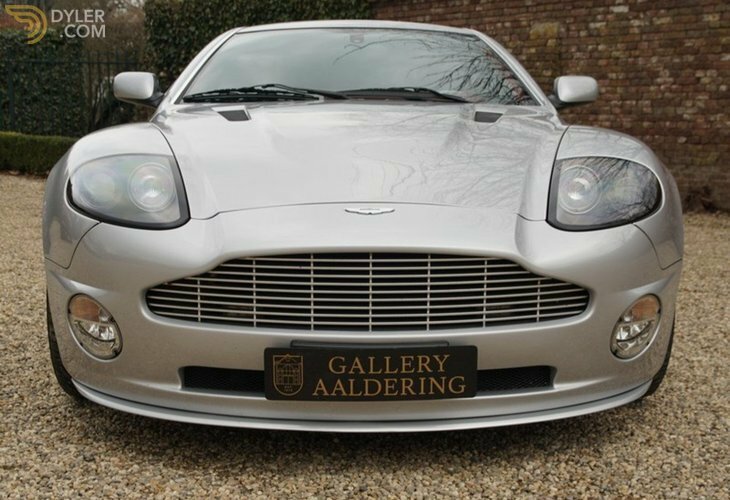 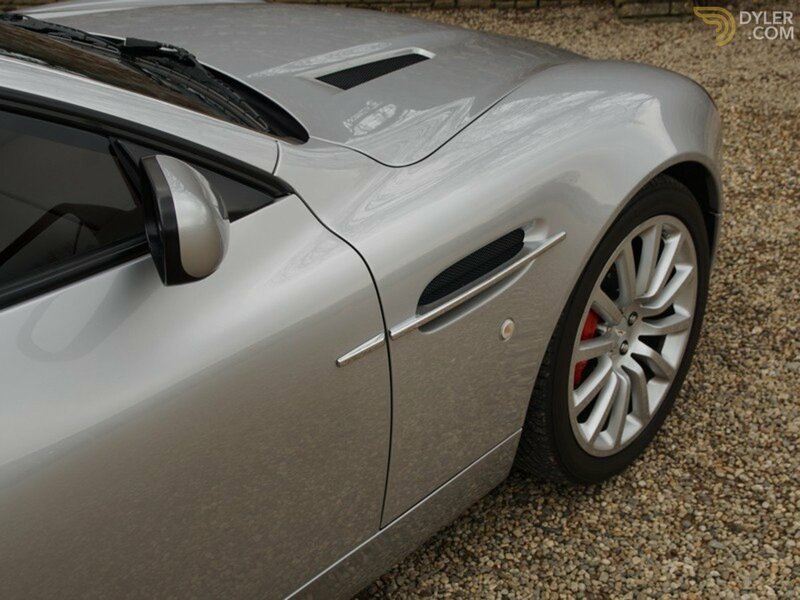 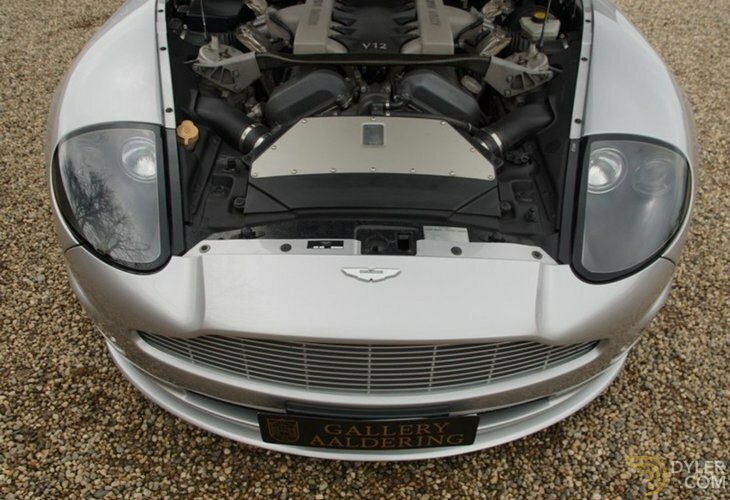 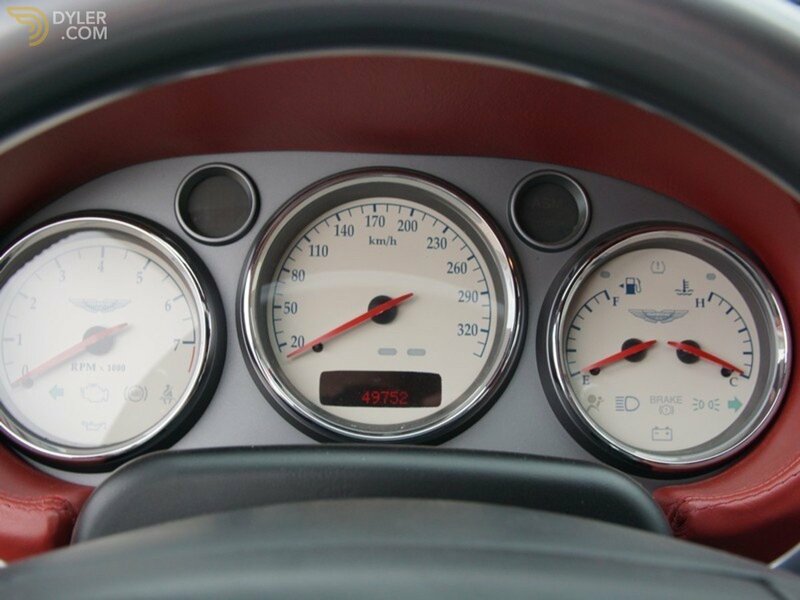 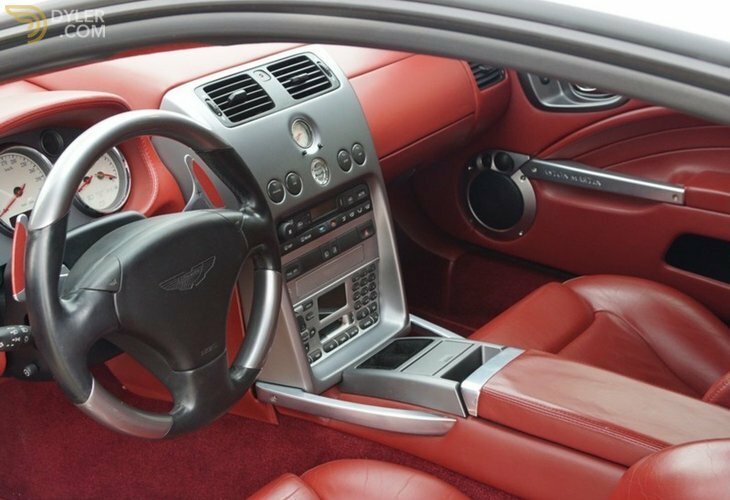 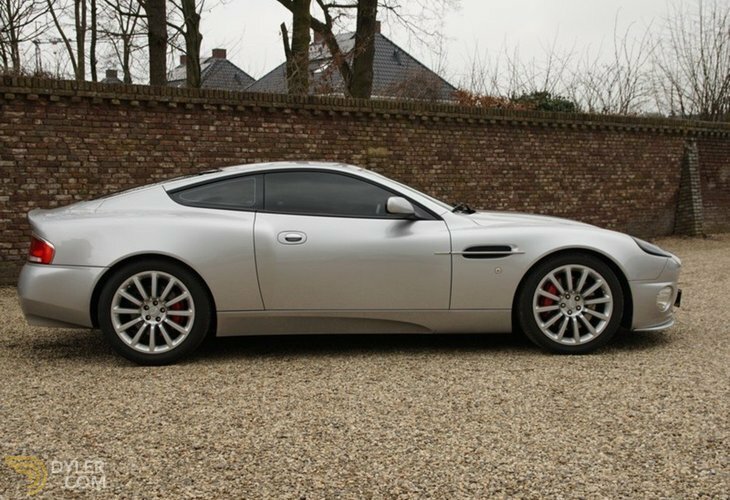 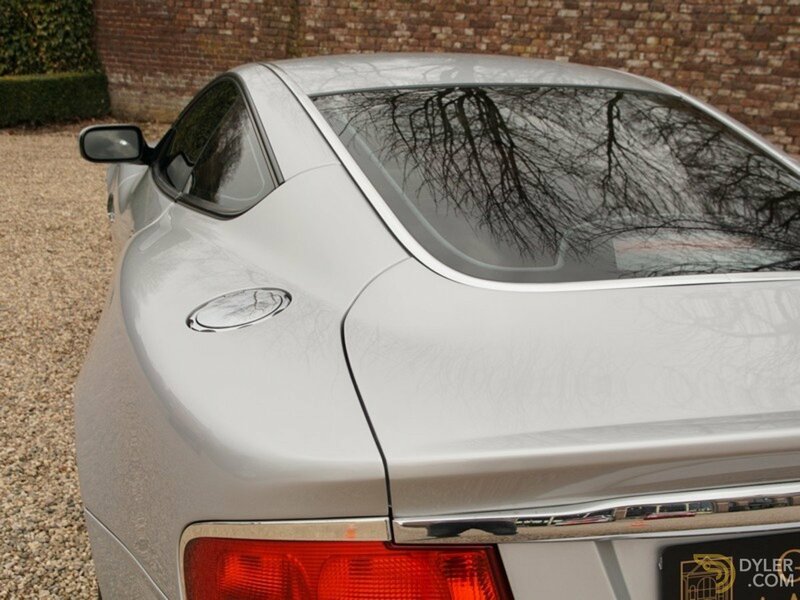 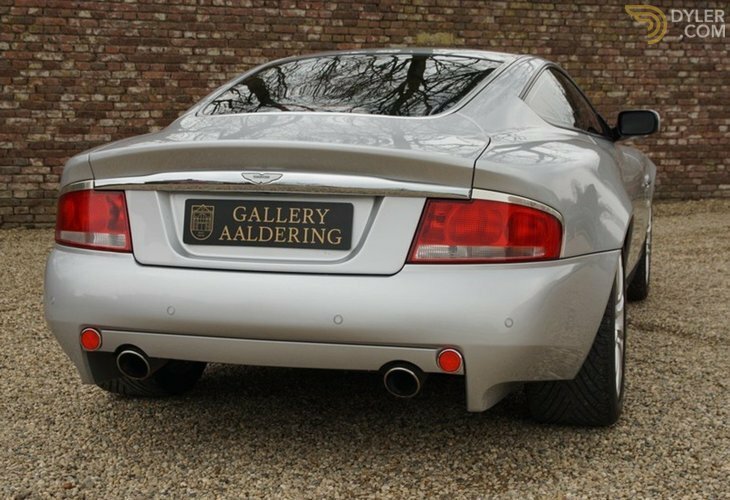 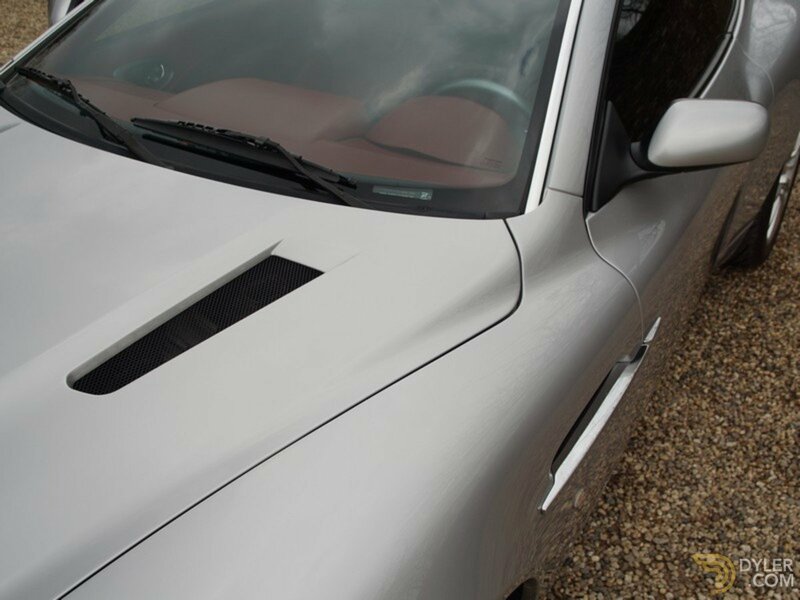 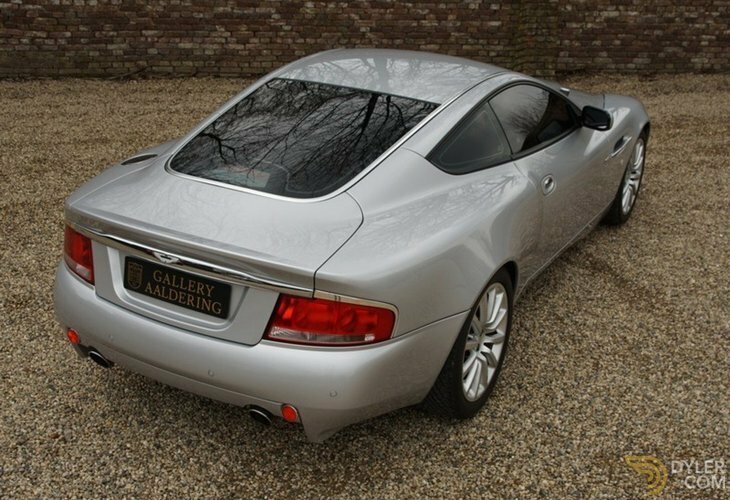 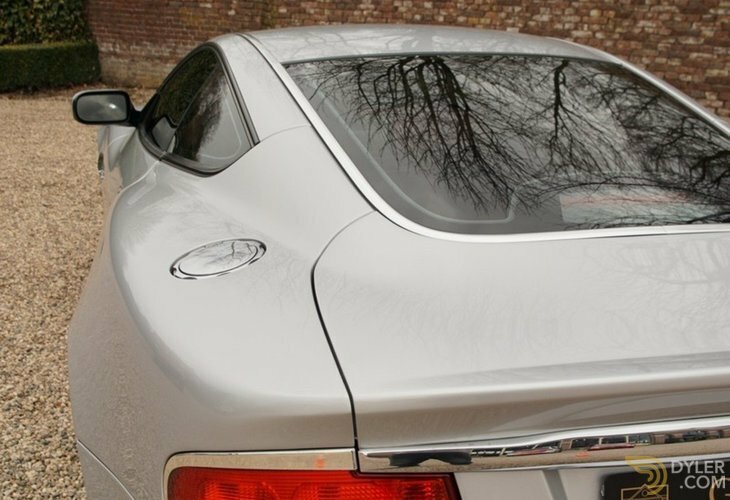 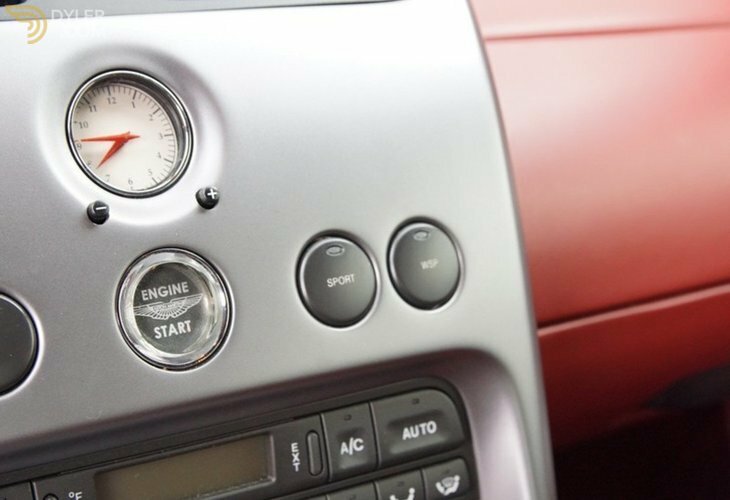 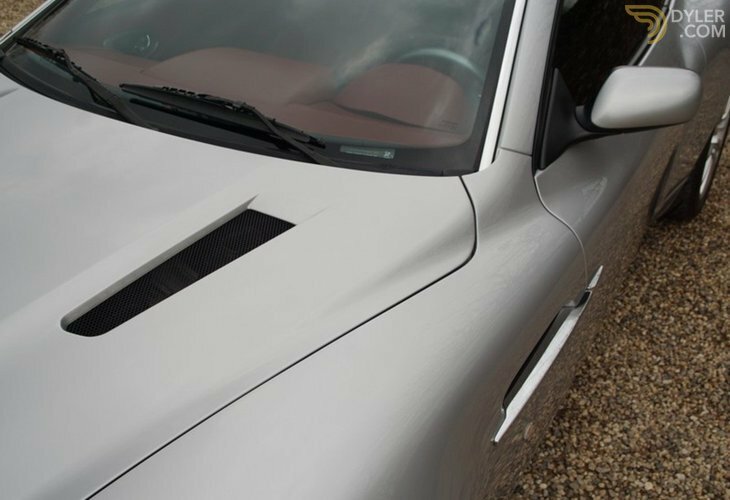 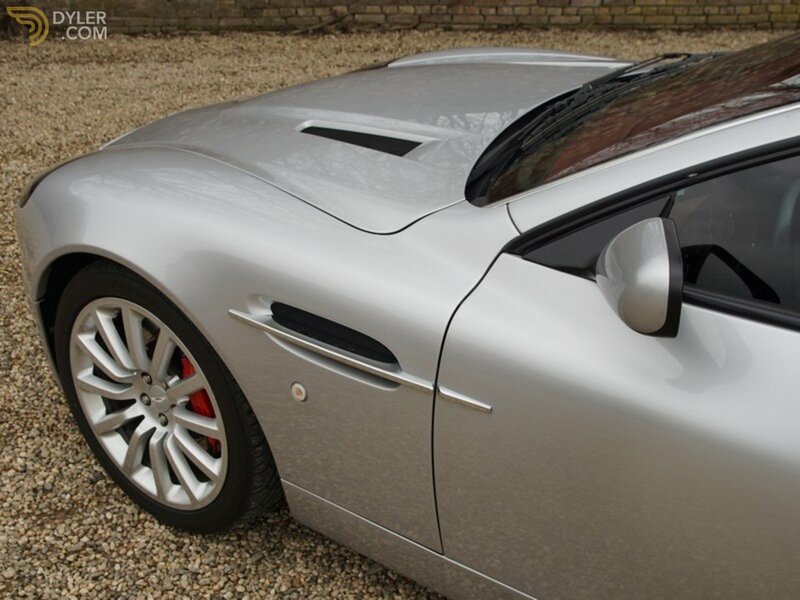 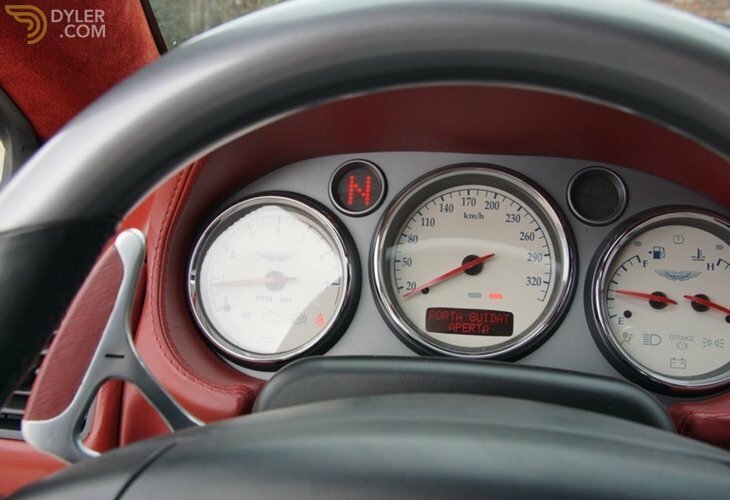 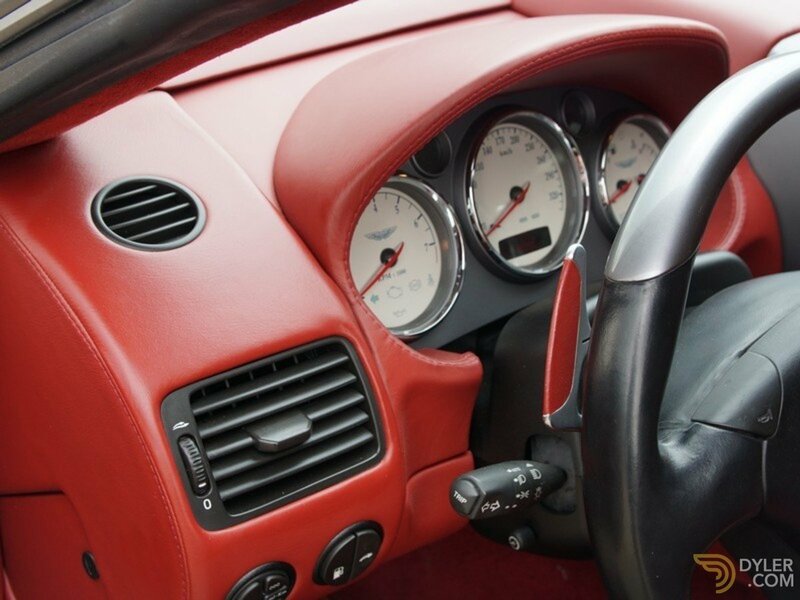 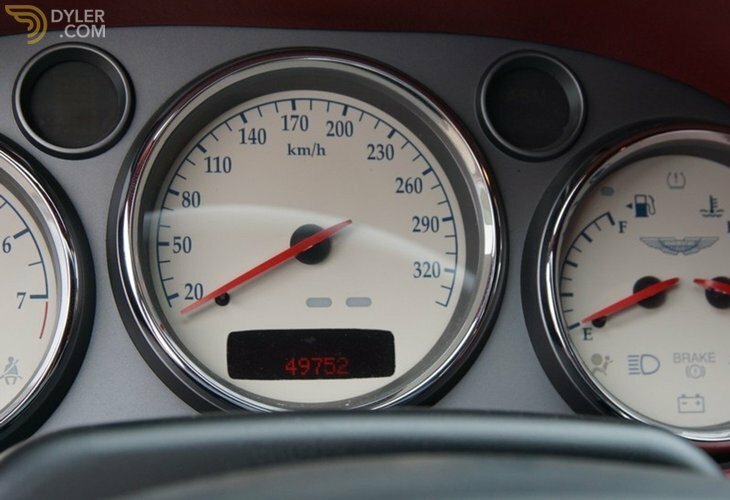 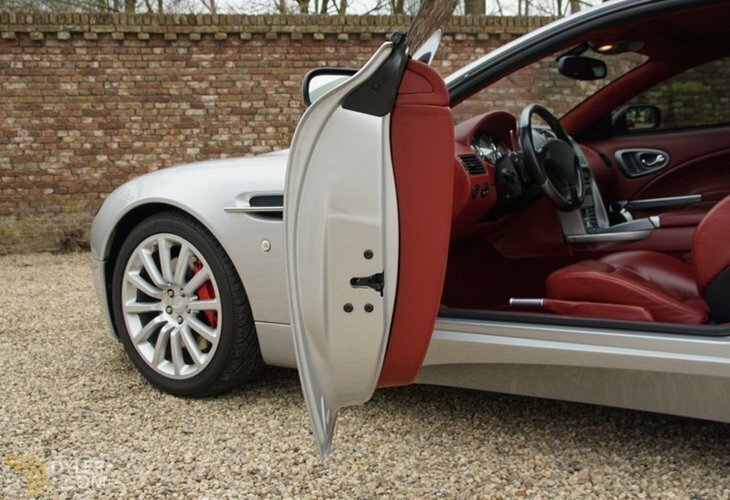 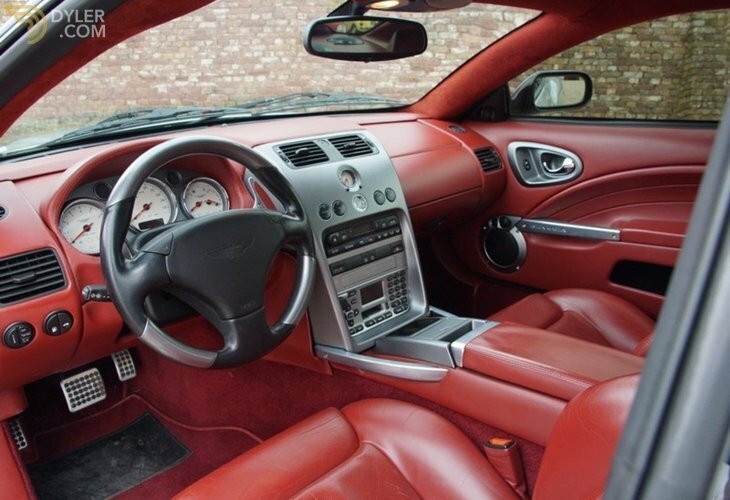 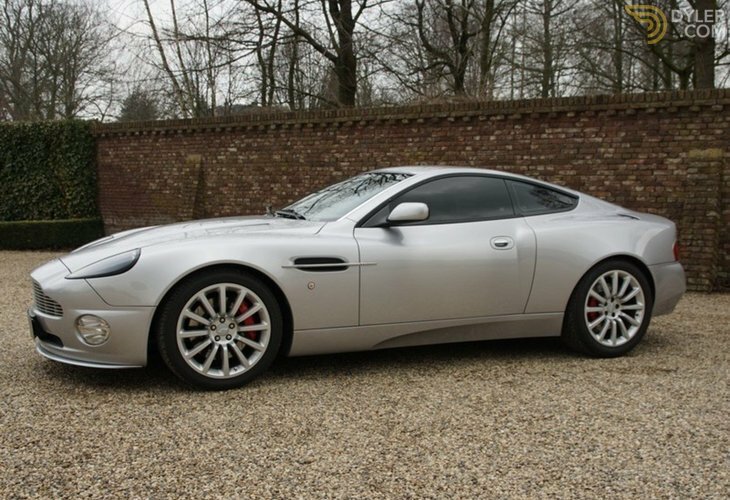 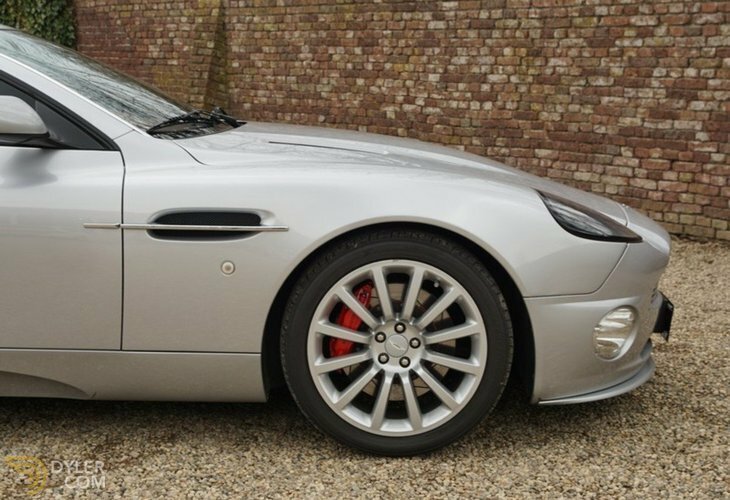 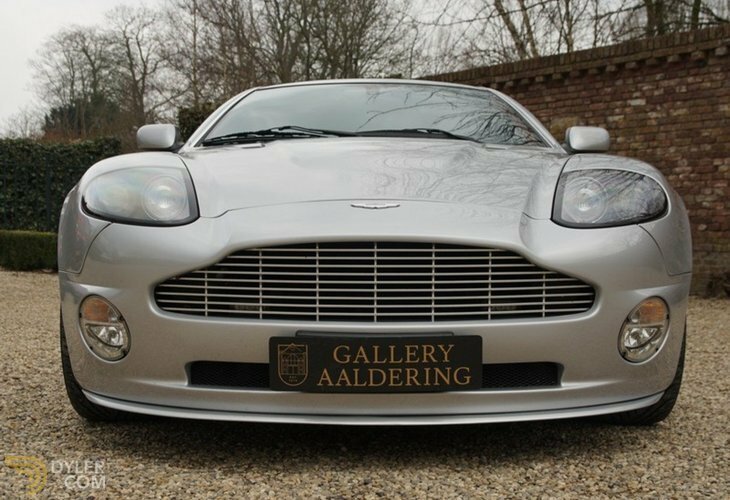 This Vanquish has a mere 49,752 km on the clock and is in pristine condition. 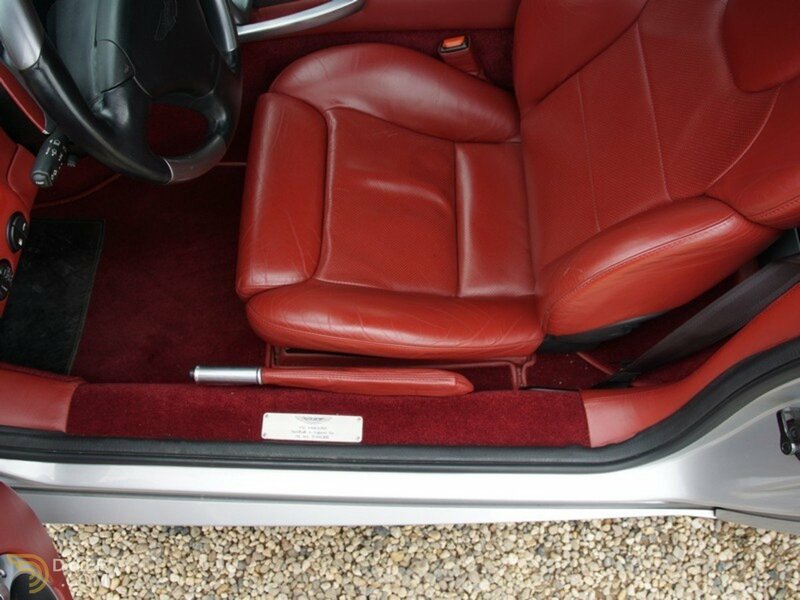 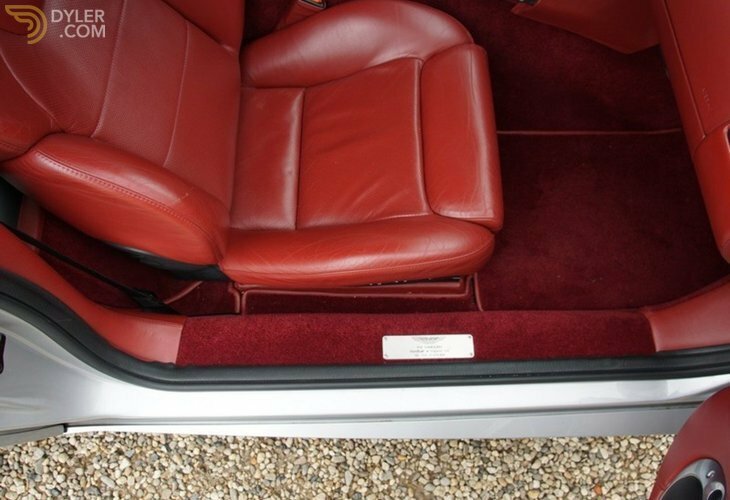 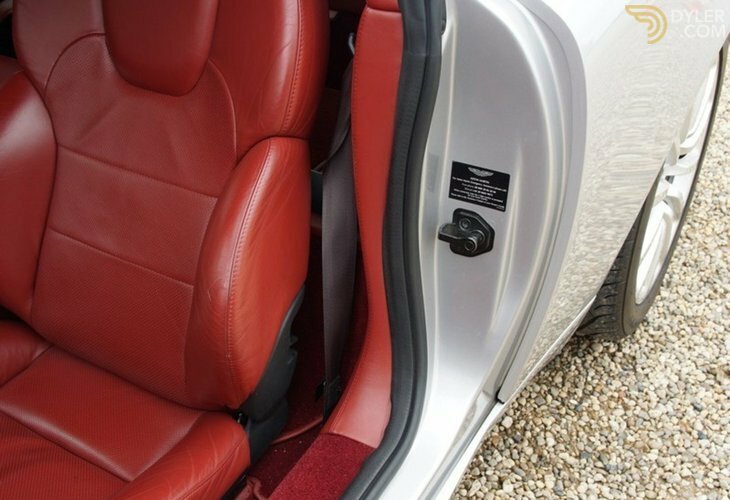 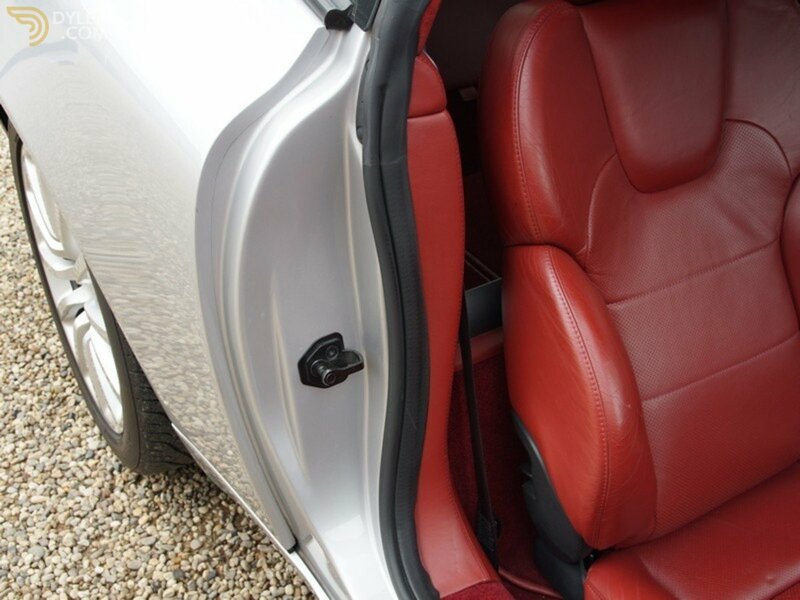 Finished in the original colour ‘Stronsay Silver’ complimented by gorgeous Claret Red leather trim with Alcantara red headliner and carpets. 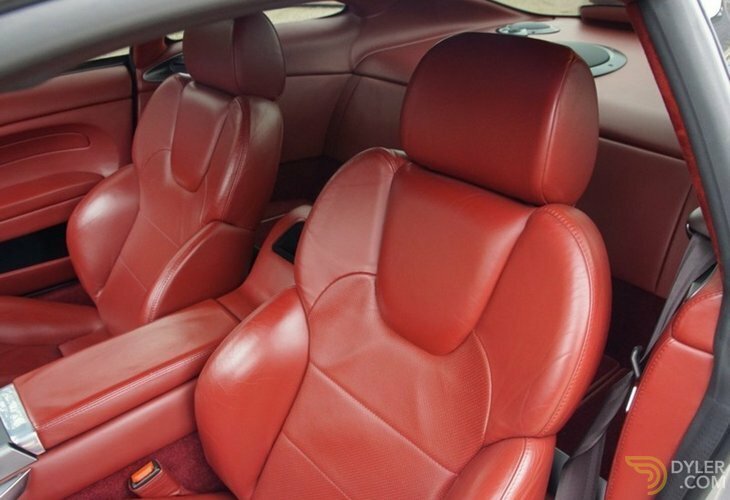 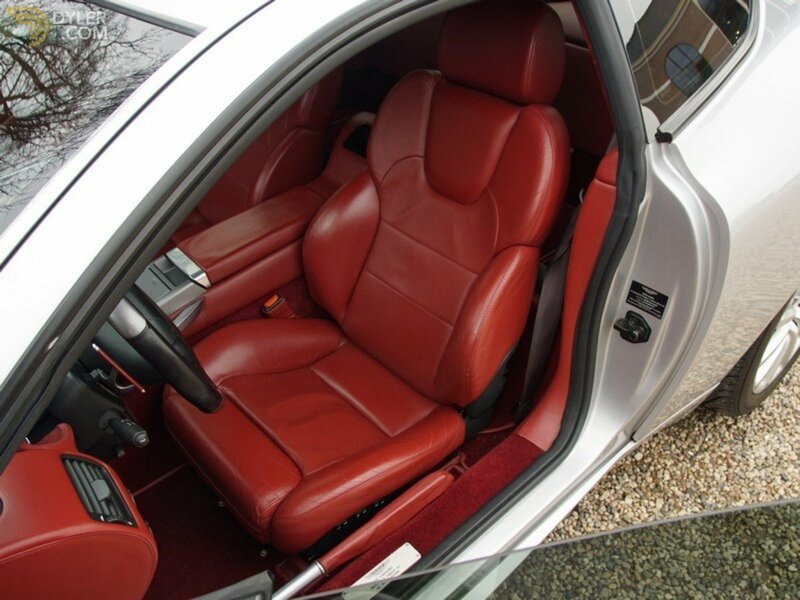 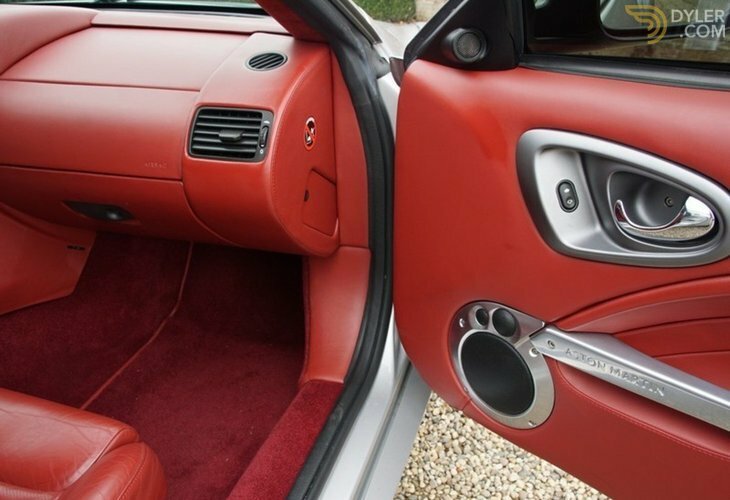 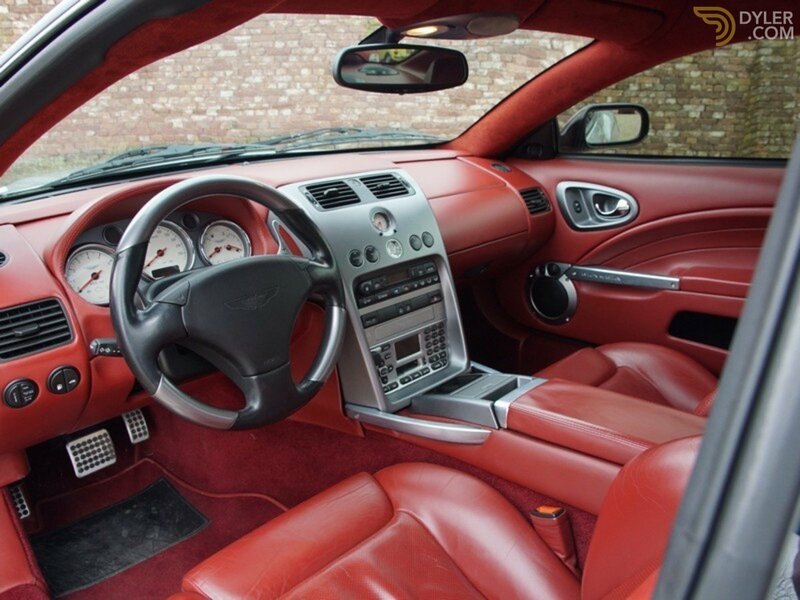 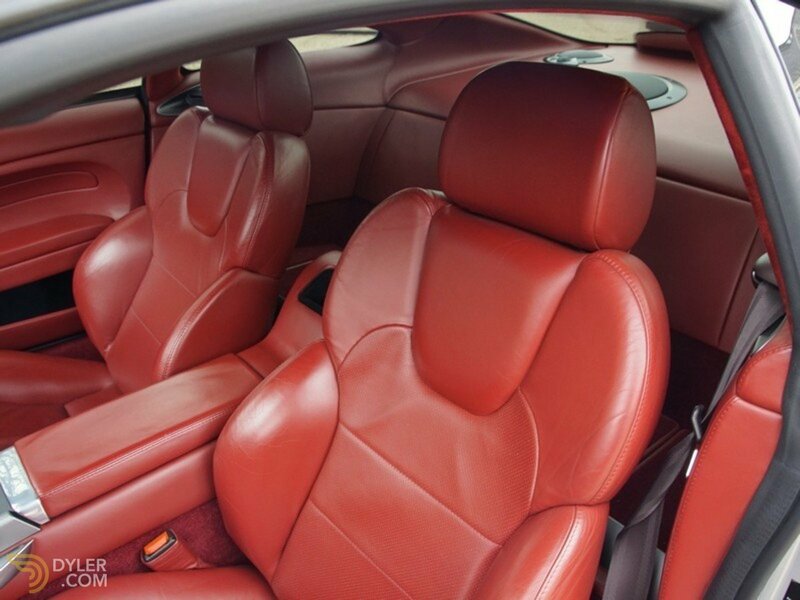 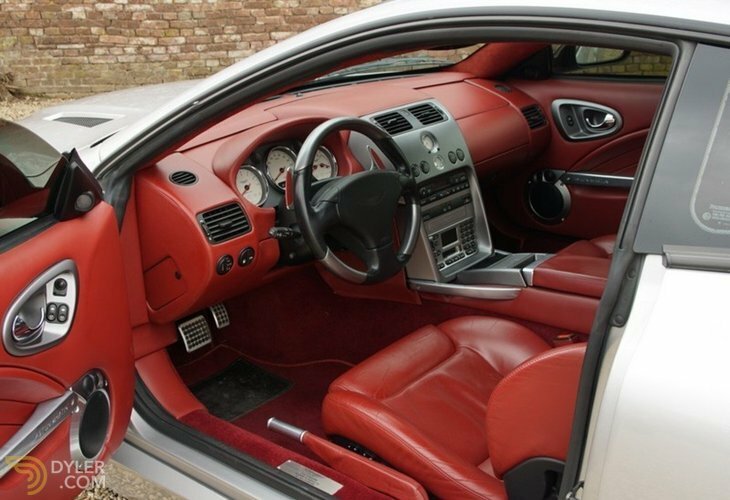 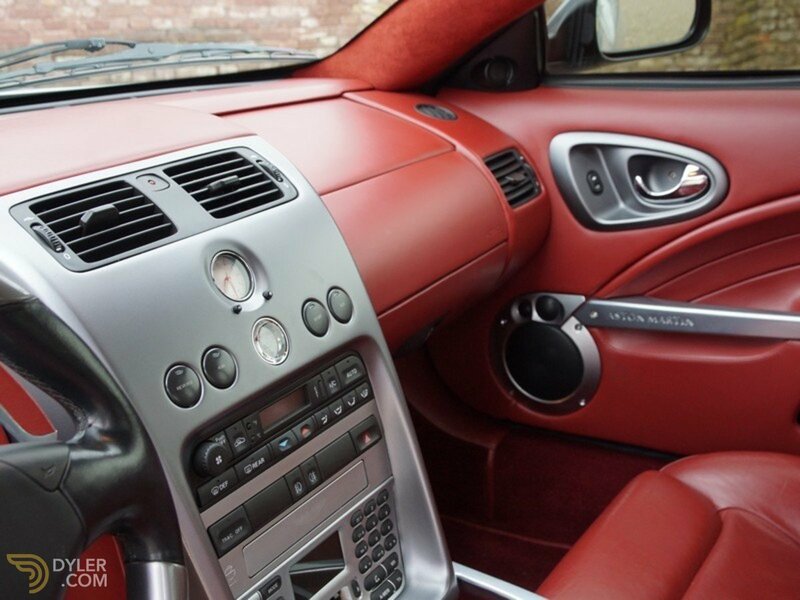 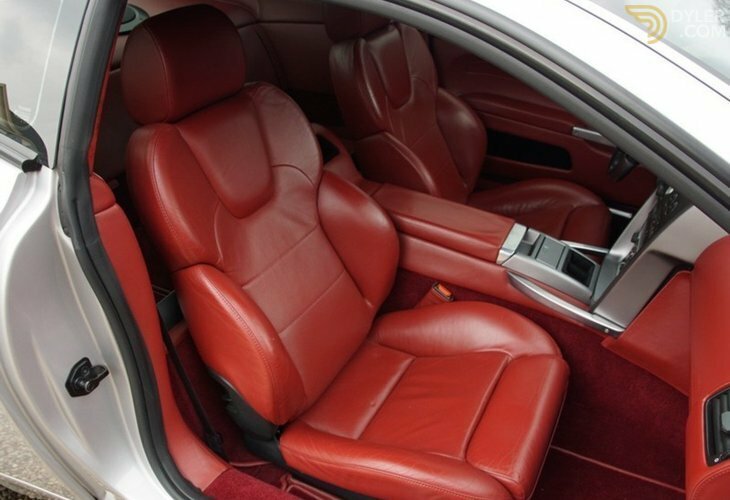 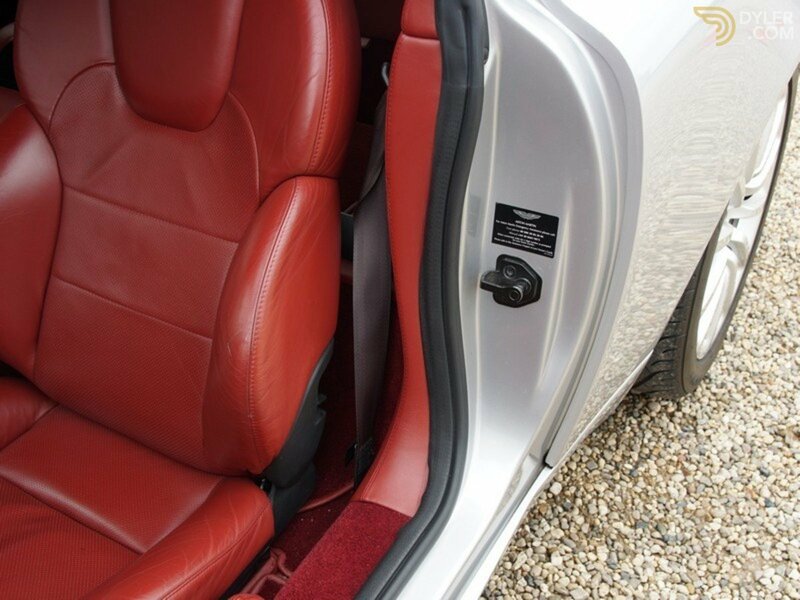 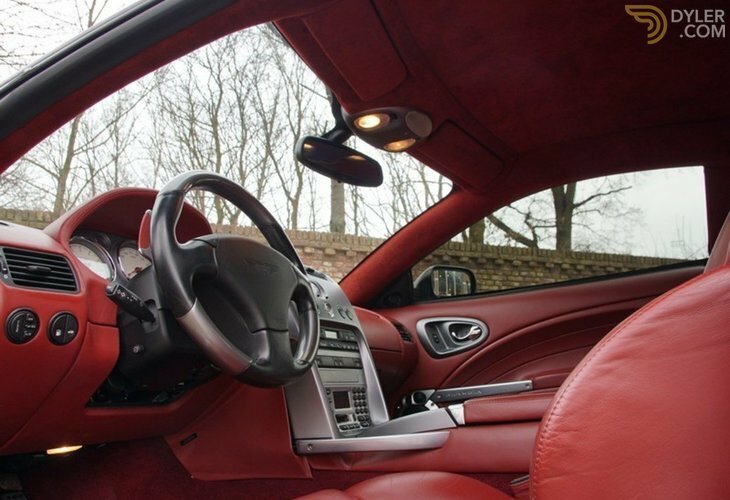 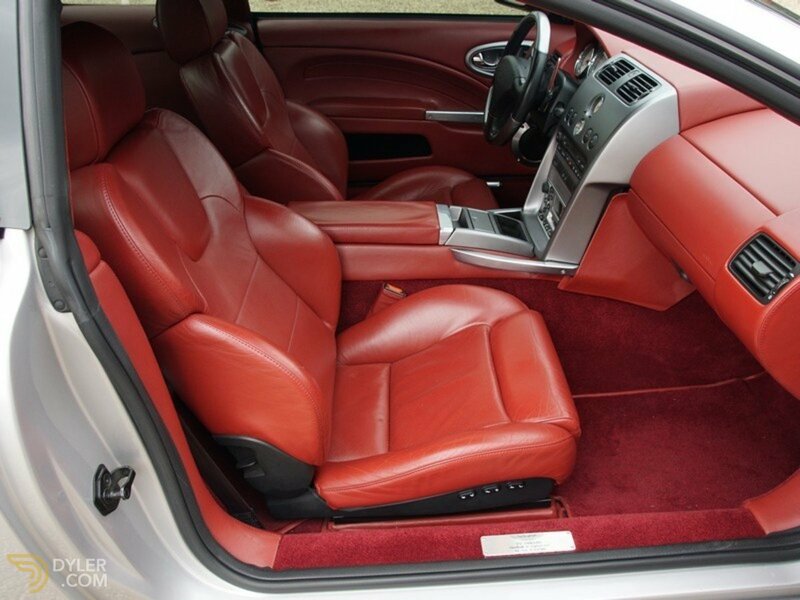 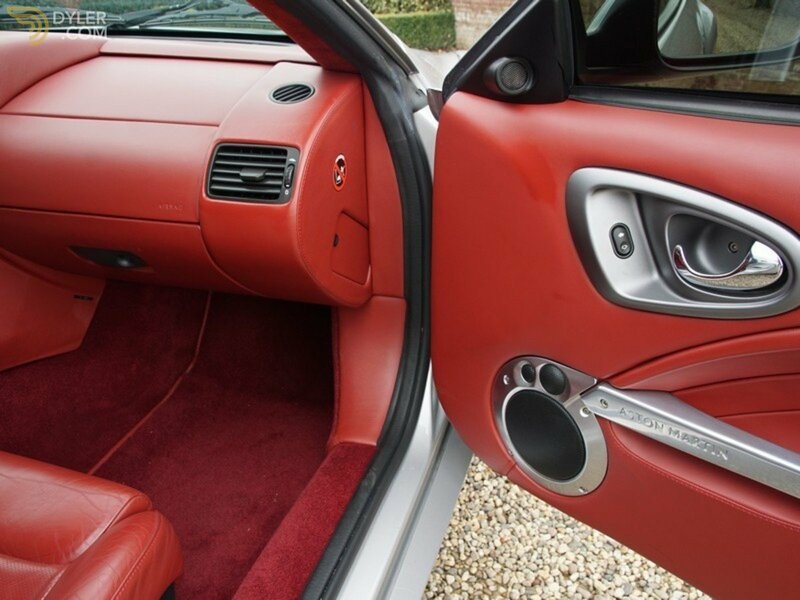 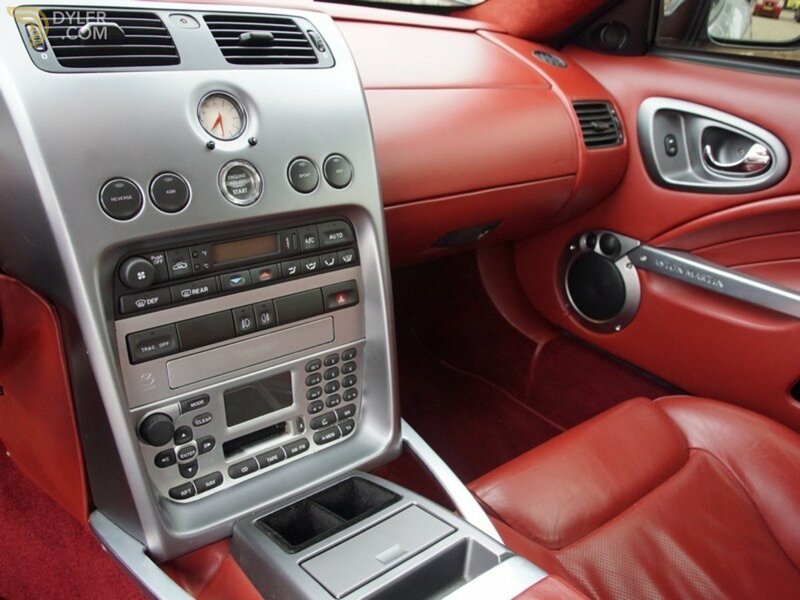 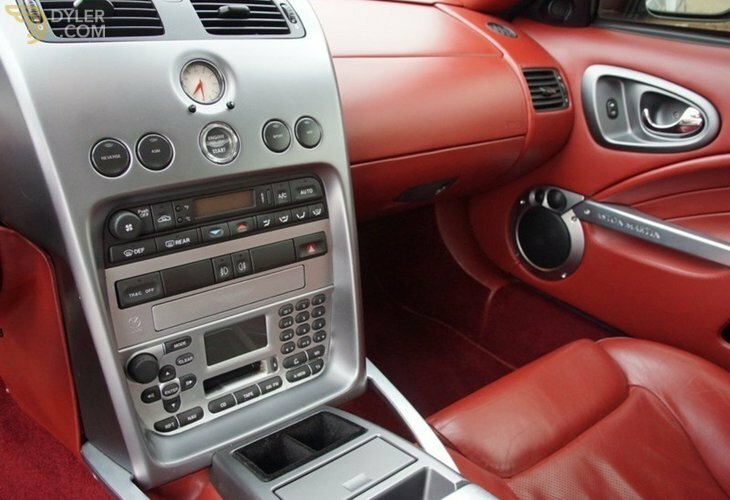 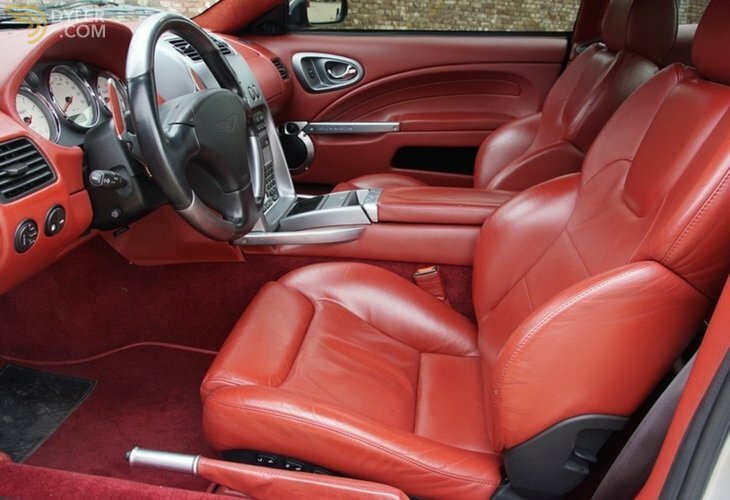 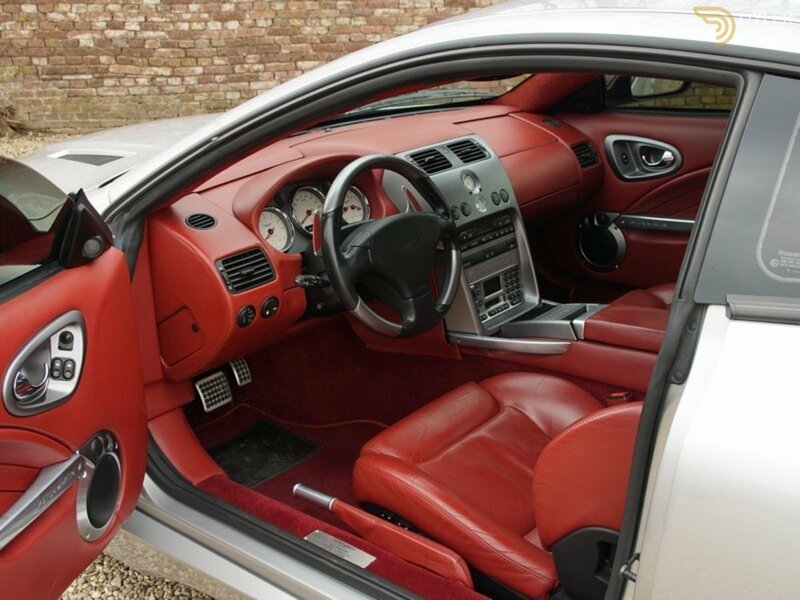 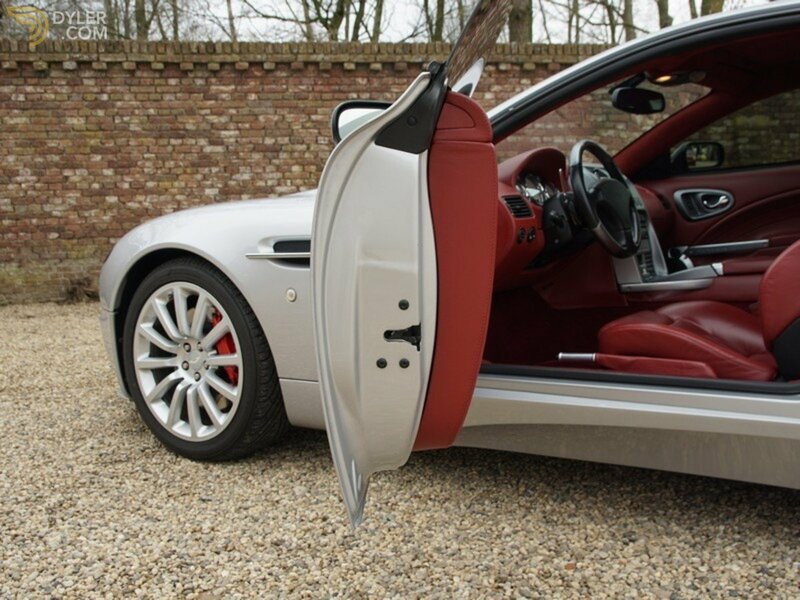 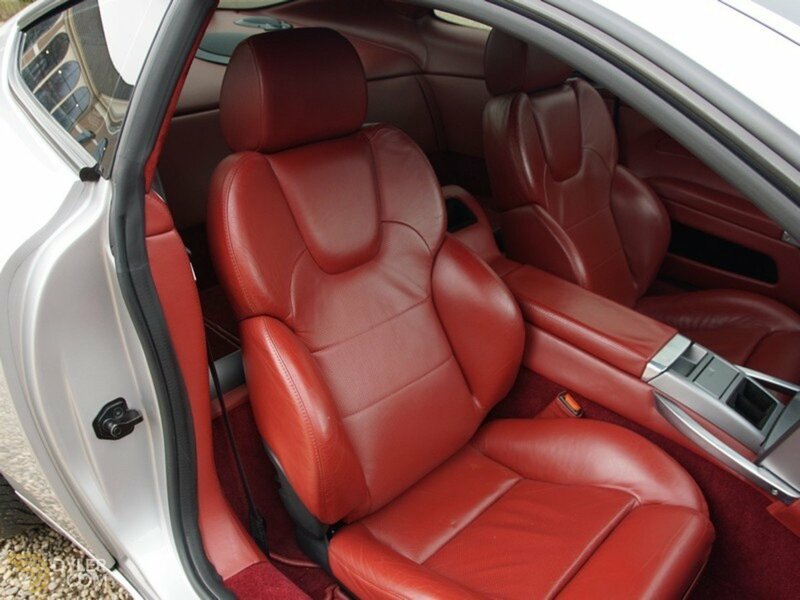 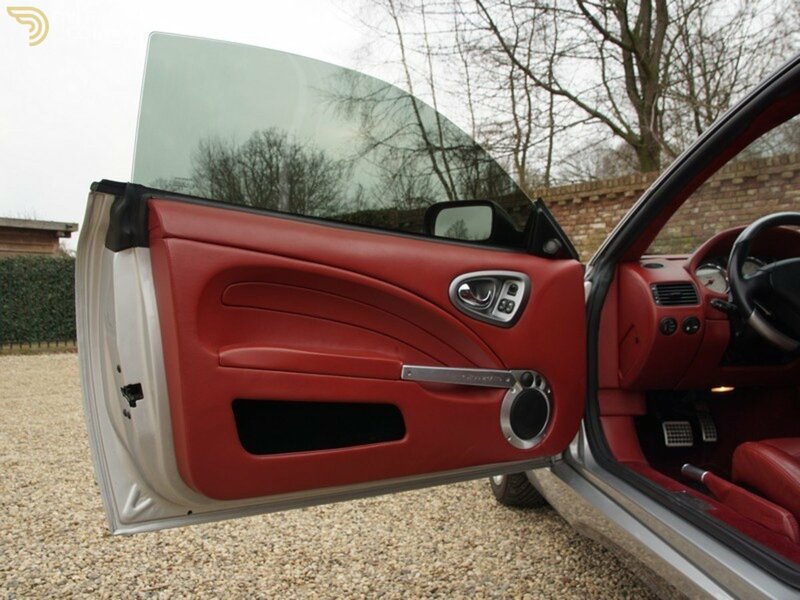 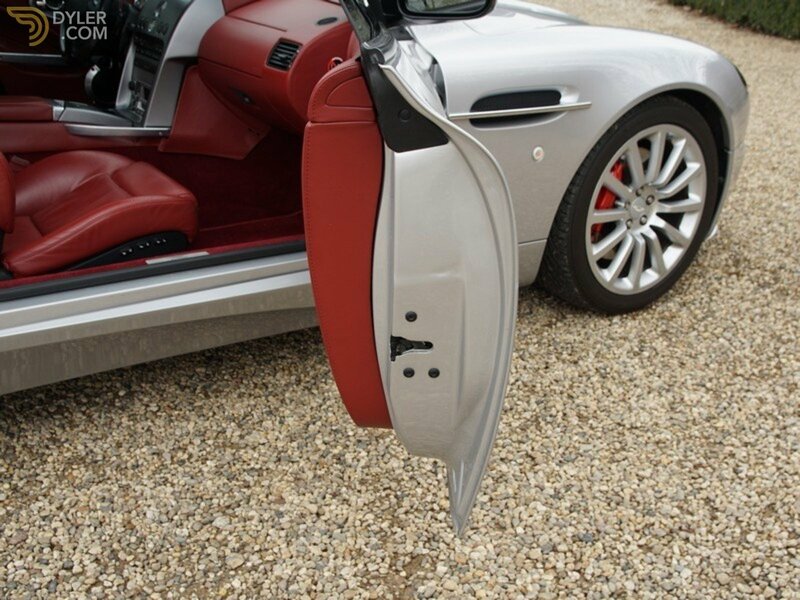 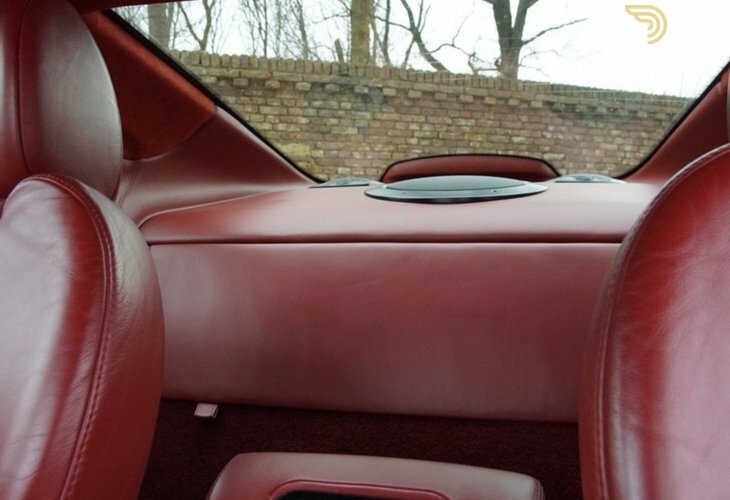 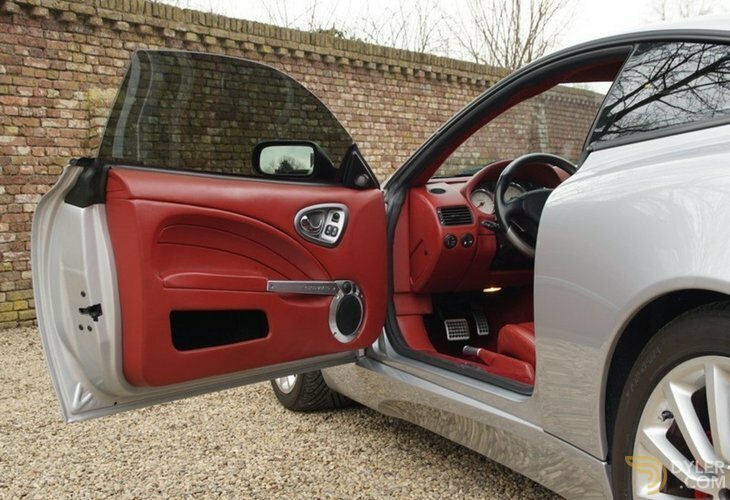 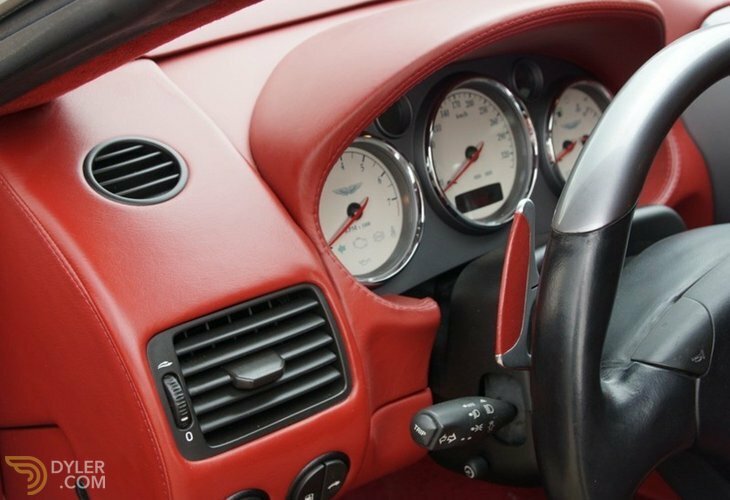 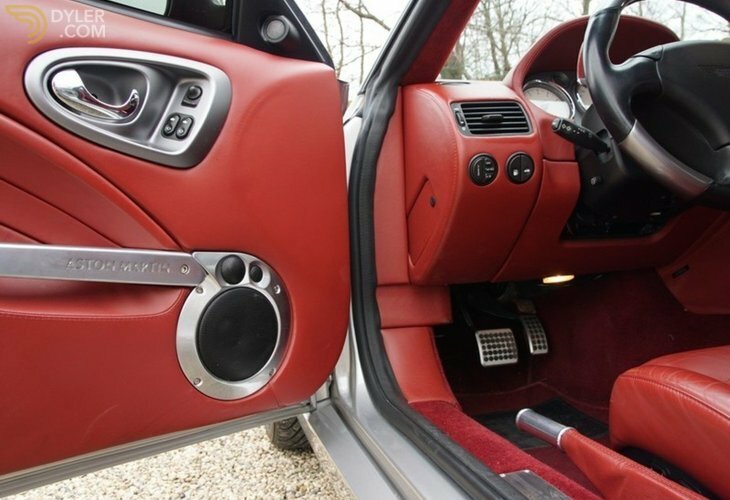 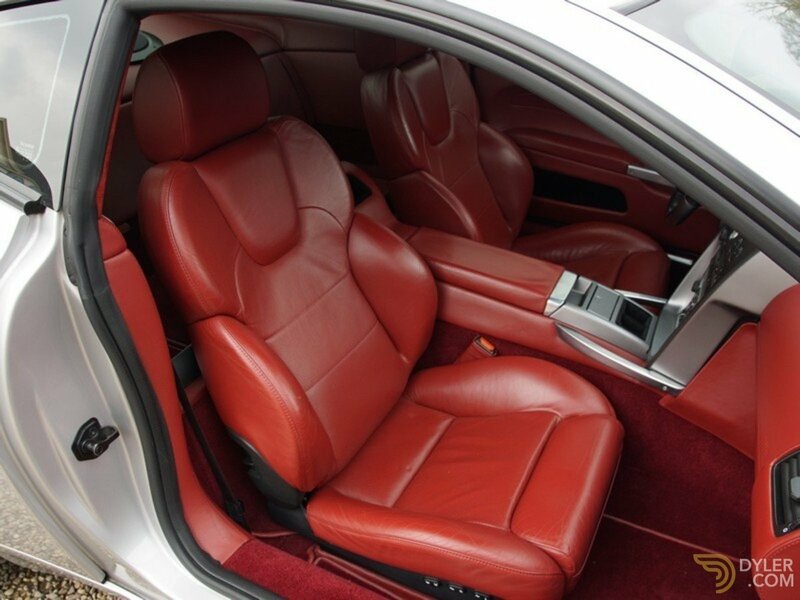 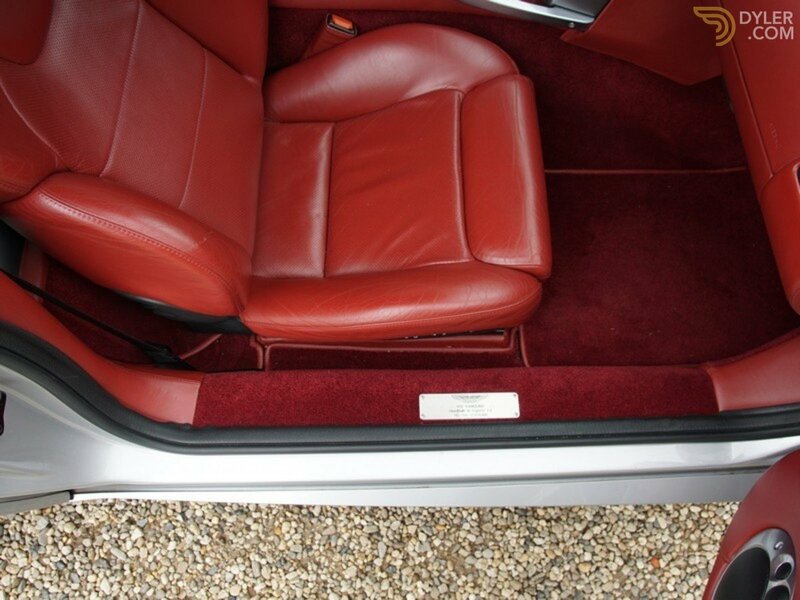 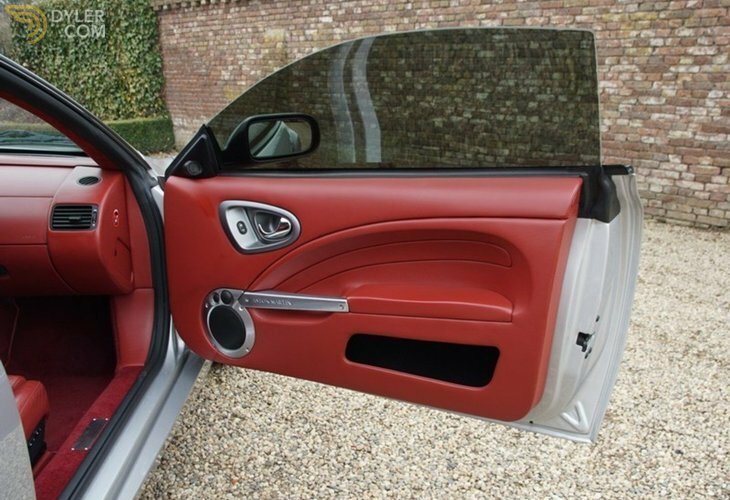 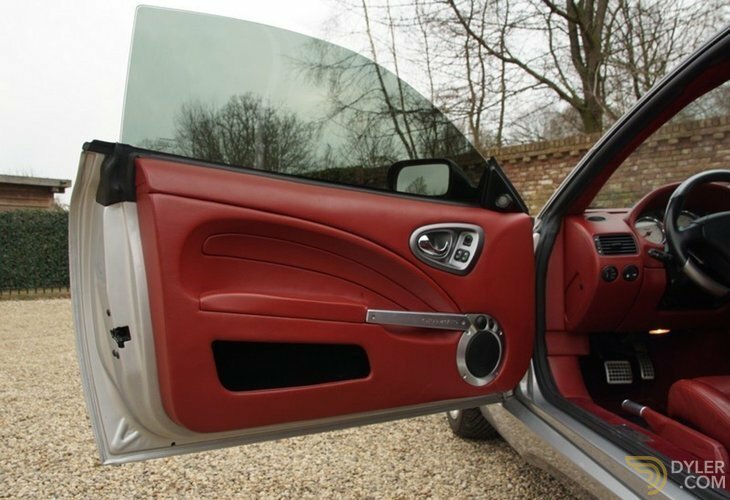 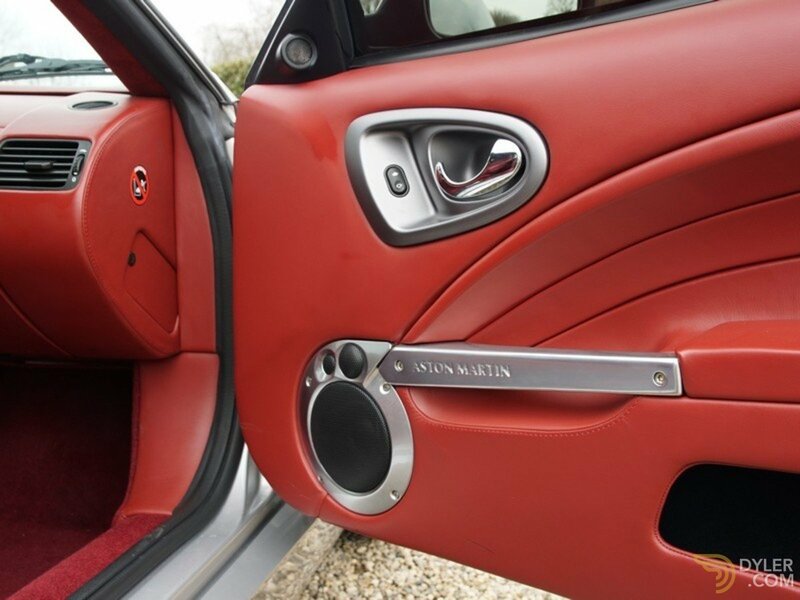 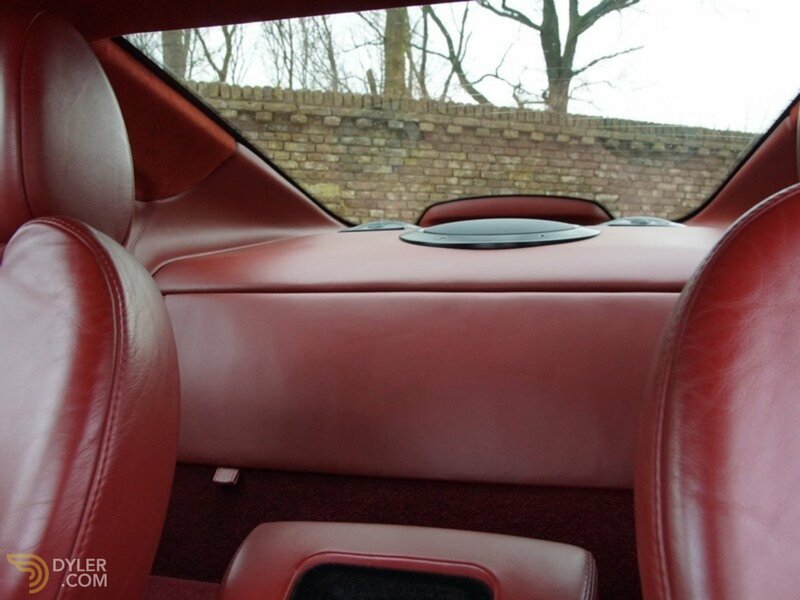 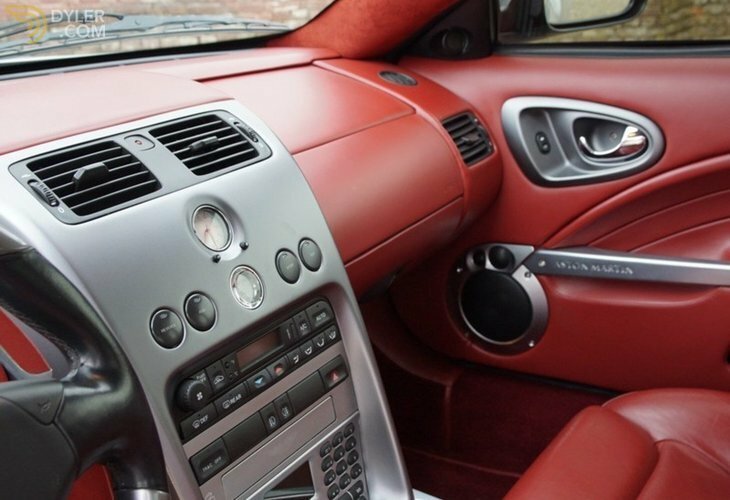 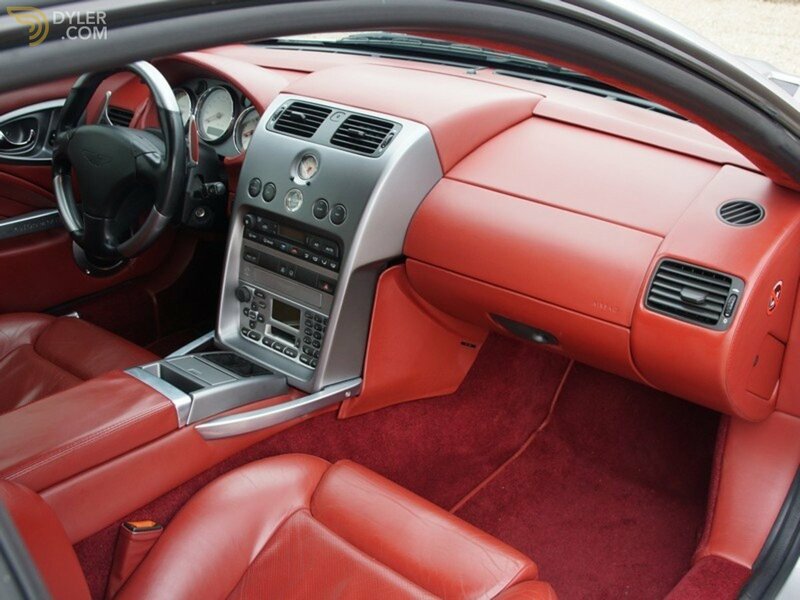 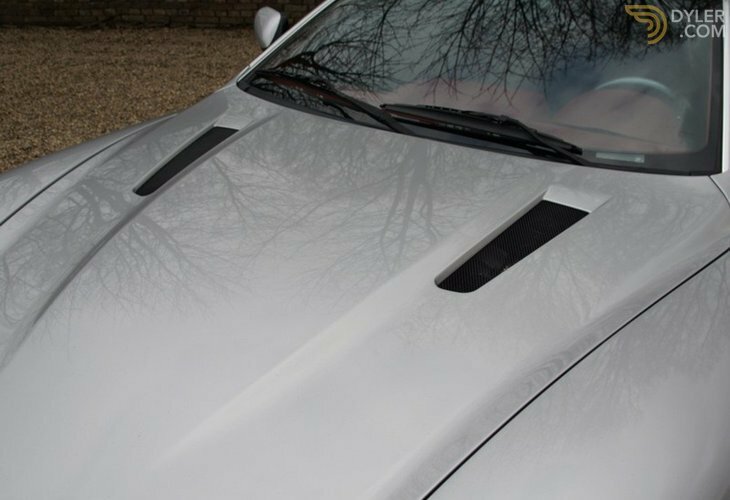 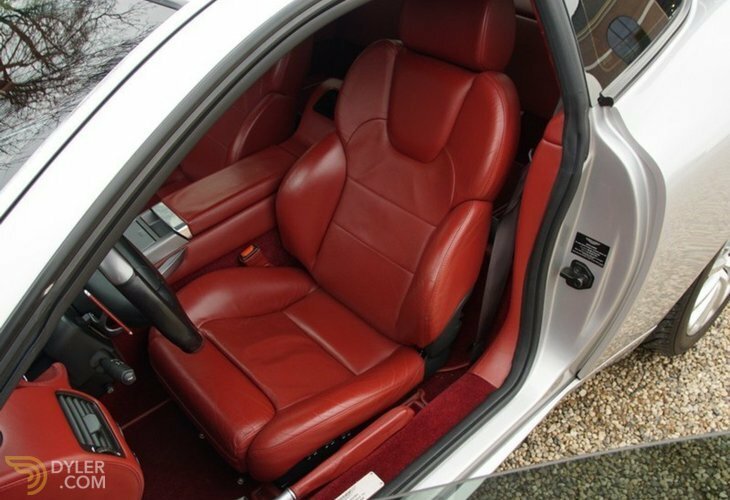 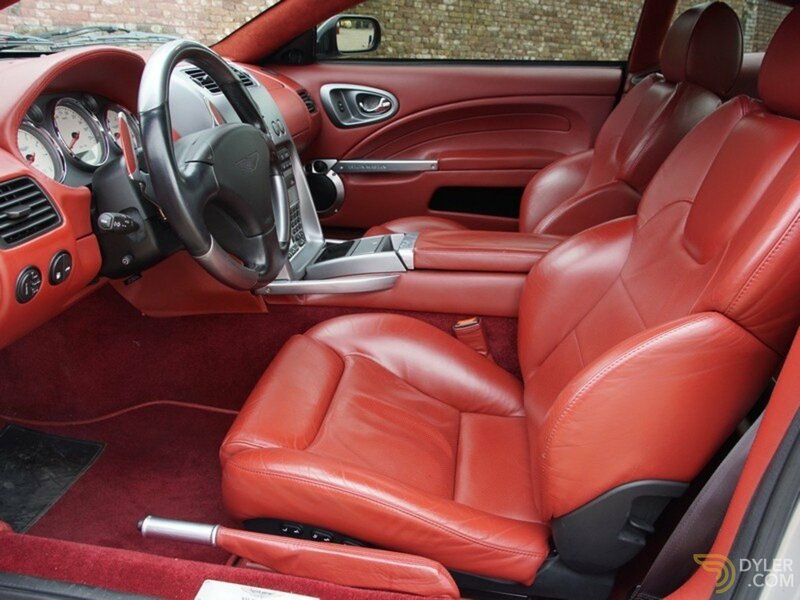 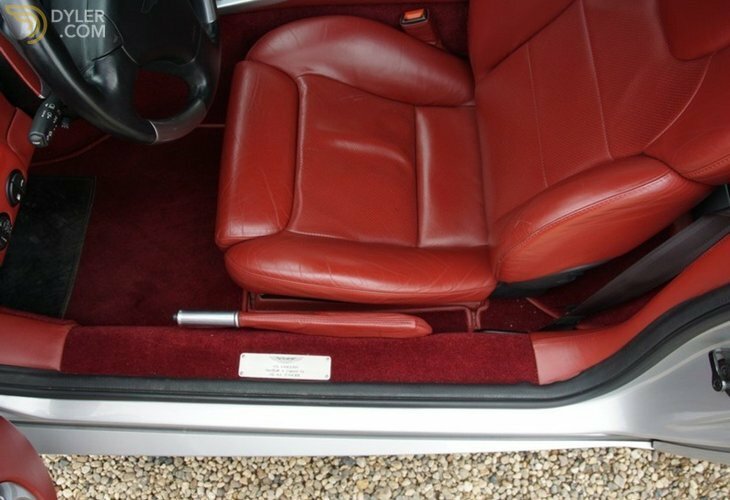 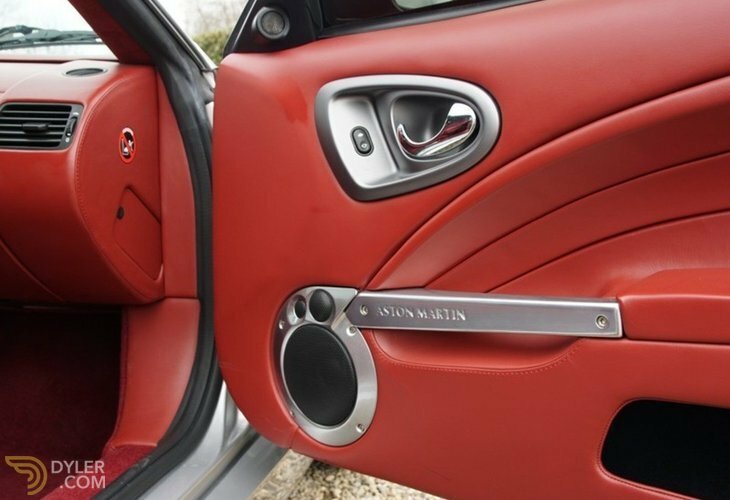 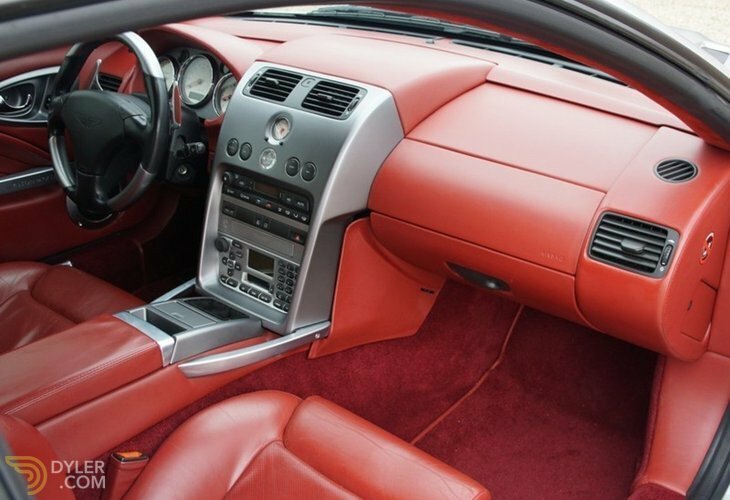 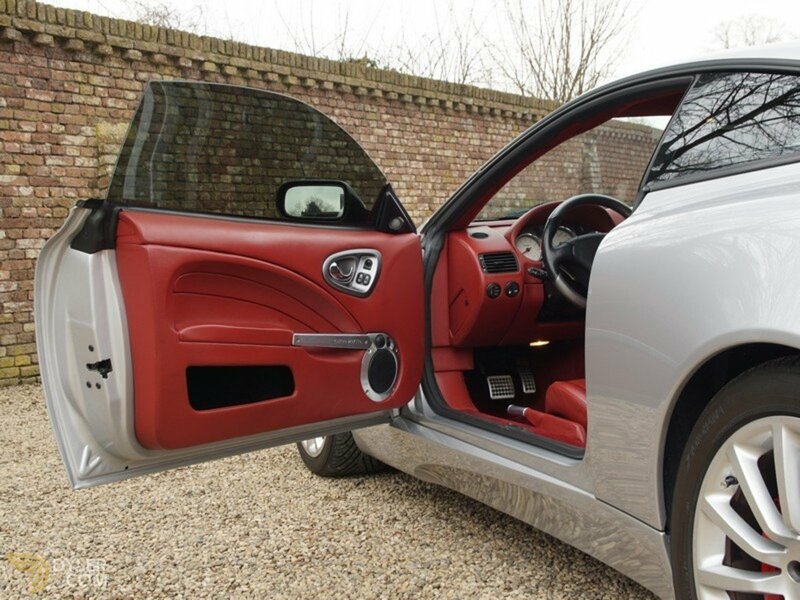 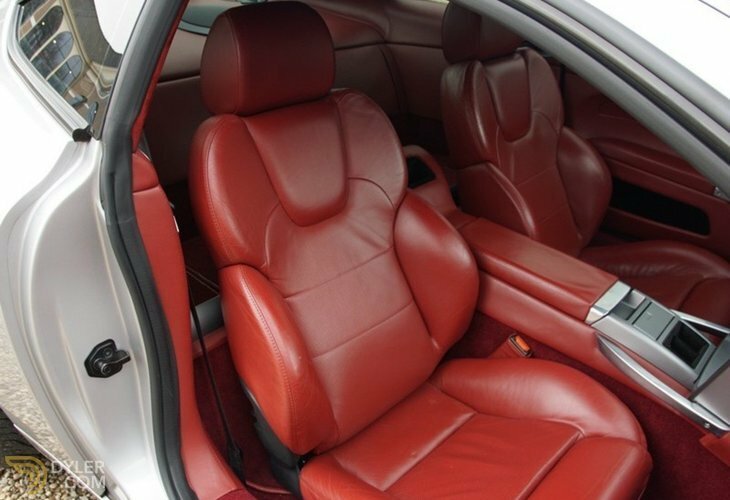 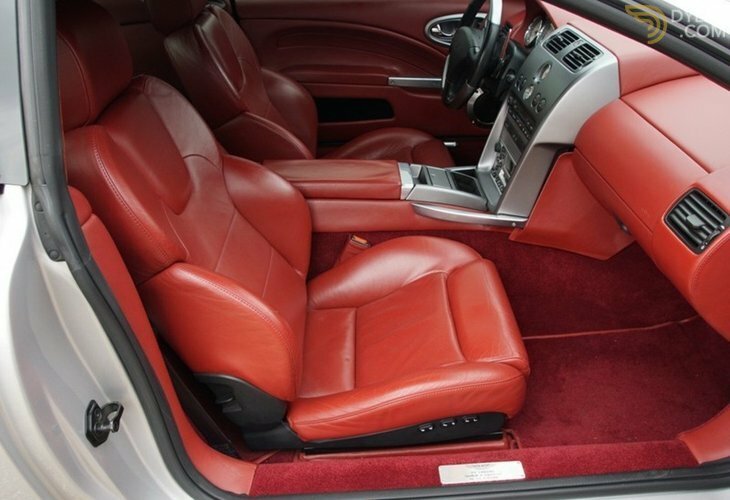 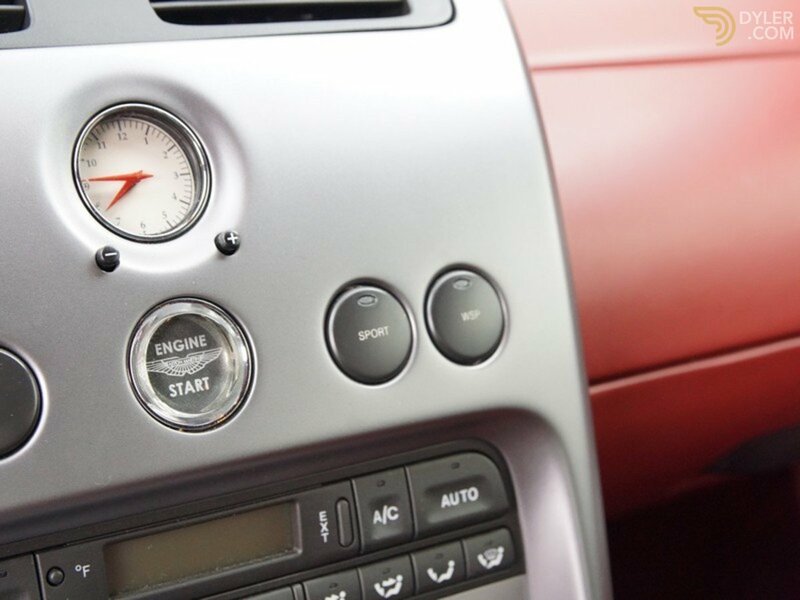 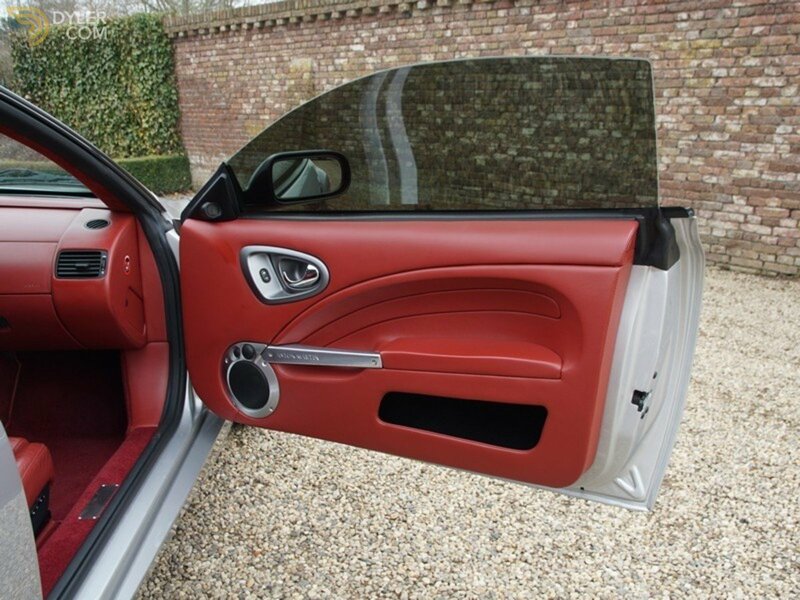 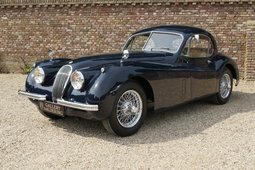 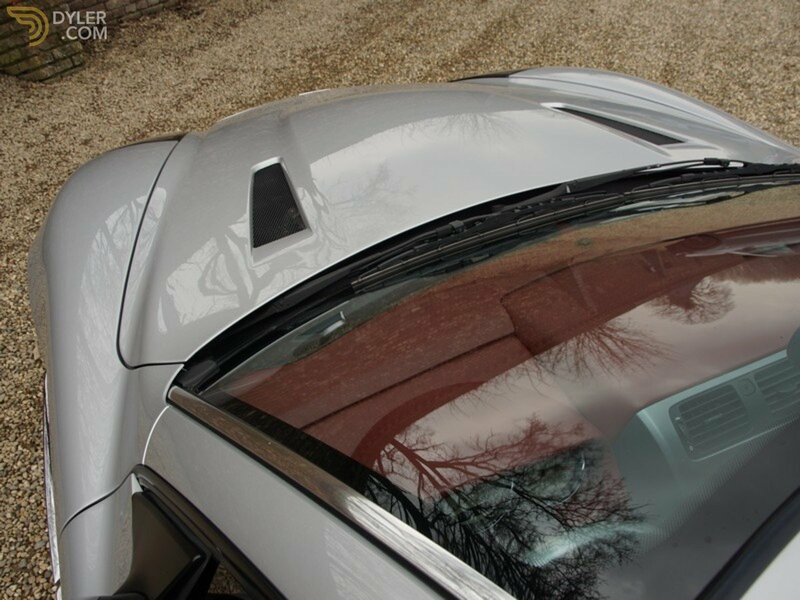 As you may well expect due to the low mileage, the quality of the finish and interior are splendid. 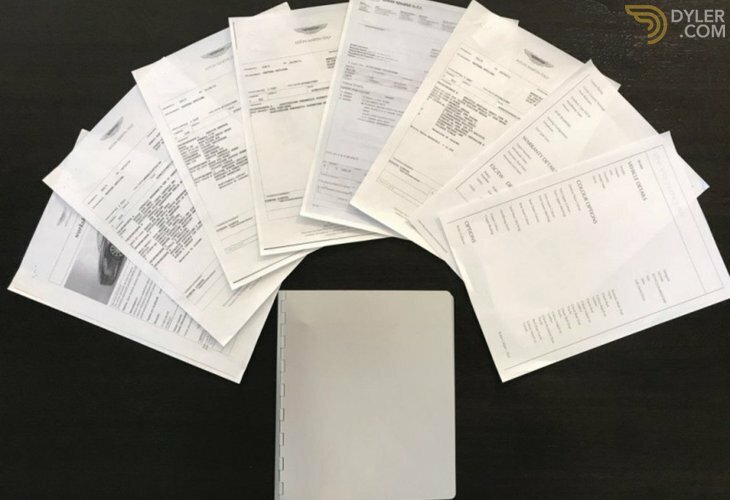 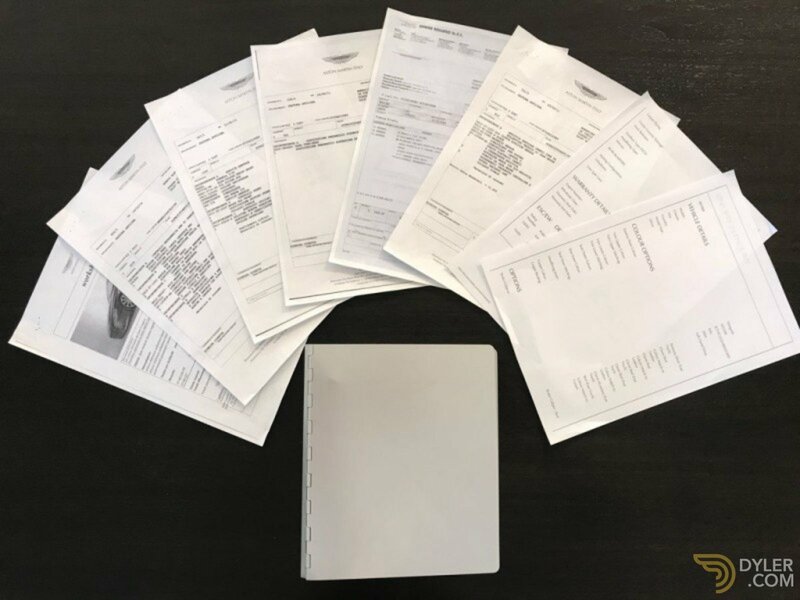 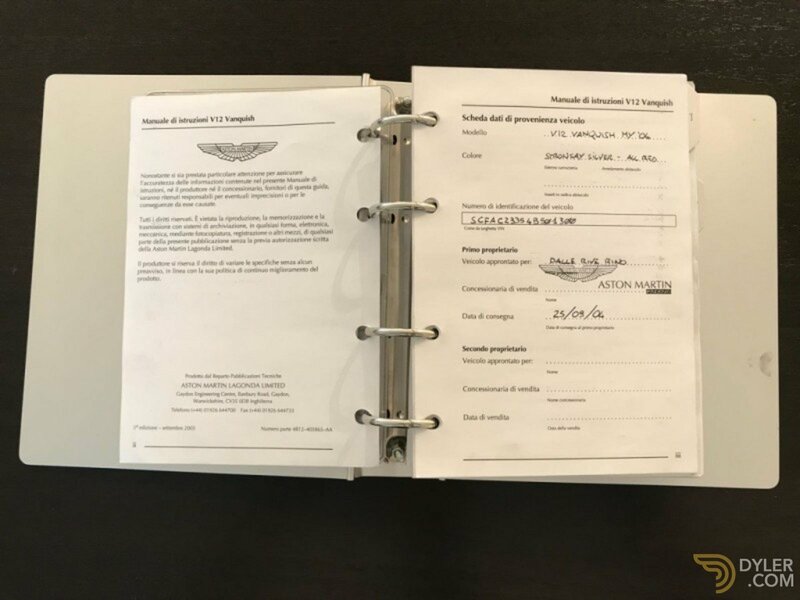 The car has full documentation, including her service book and owners manual. 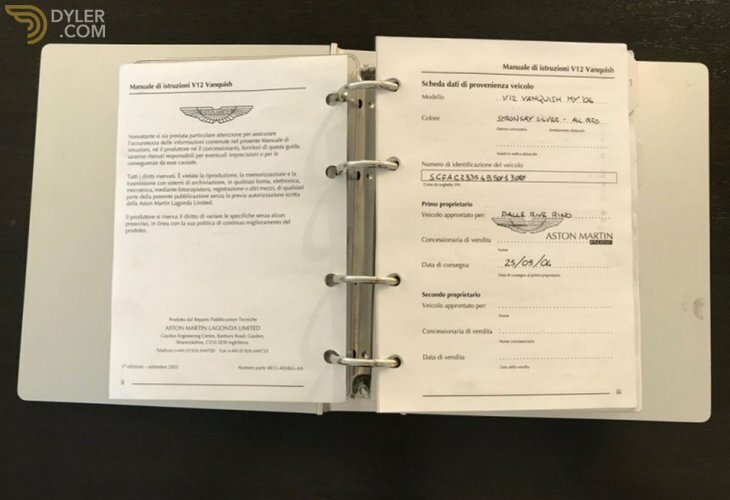 The car has been dealer maintained as can be seen from the stamped service book and invoices present. 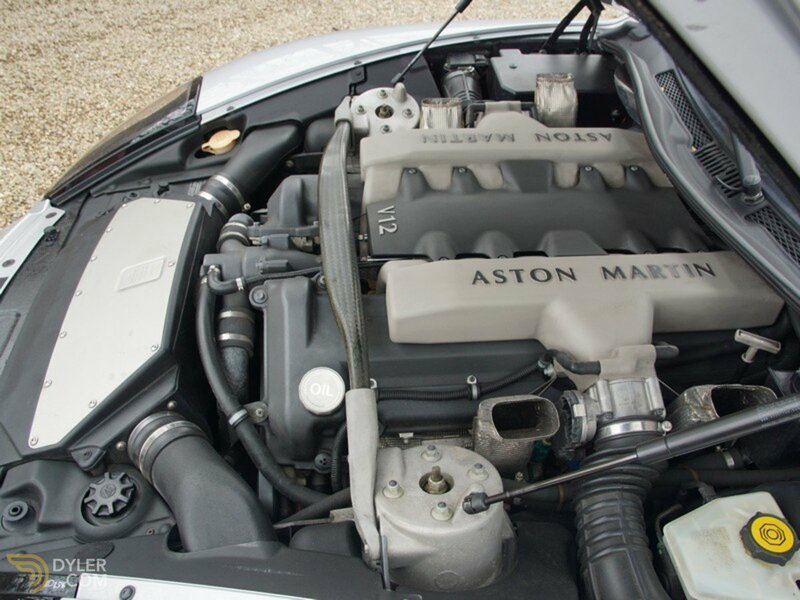 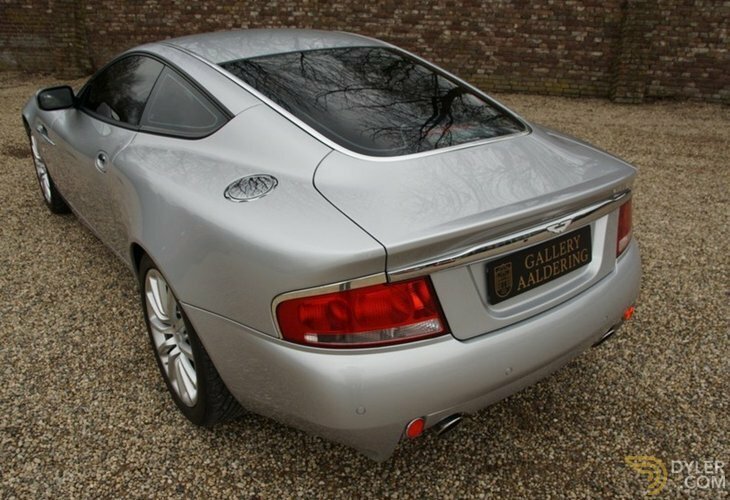 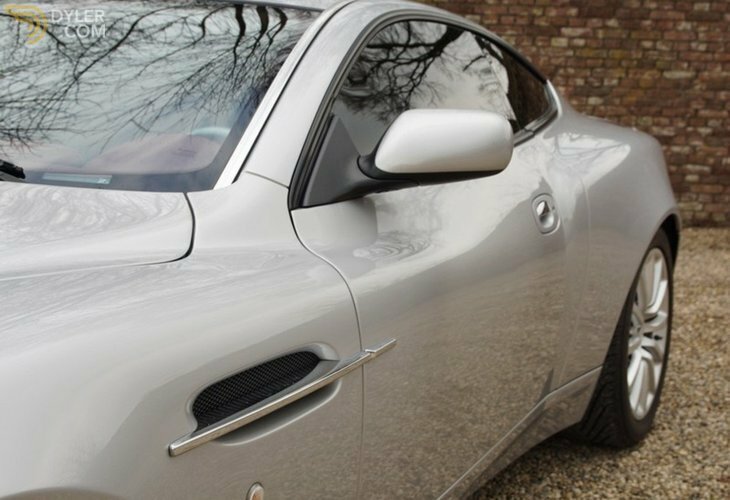 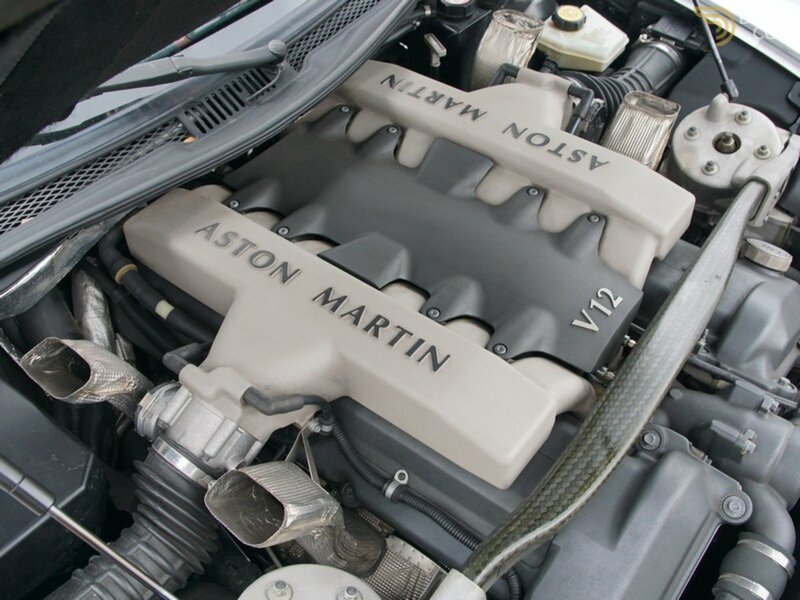 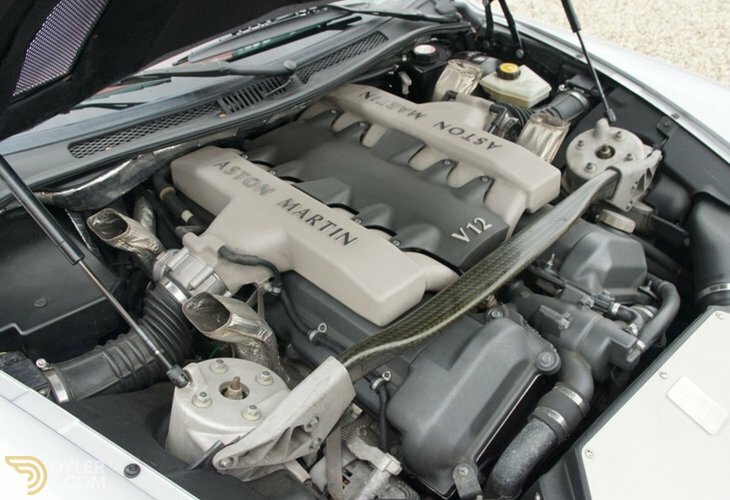 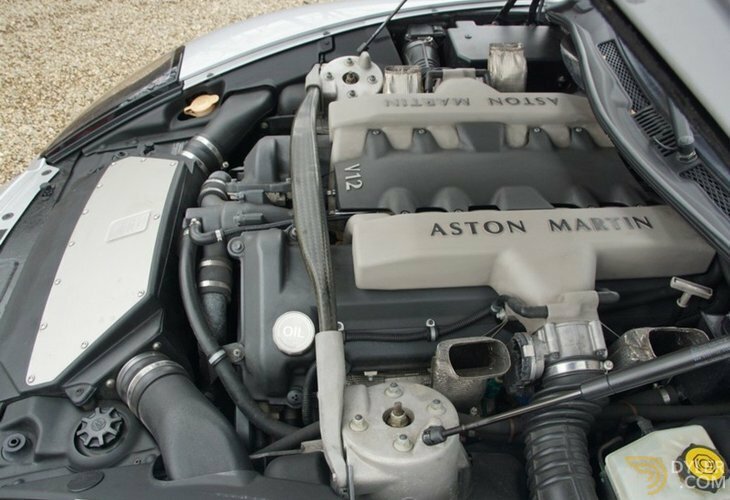 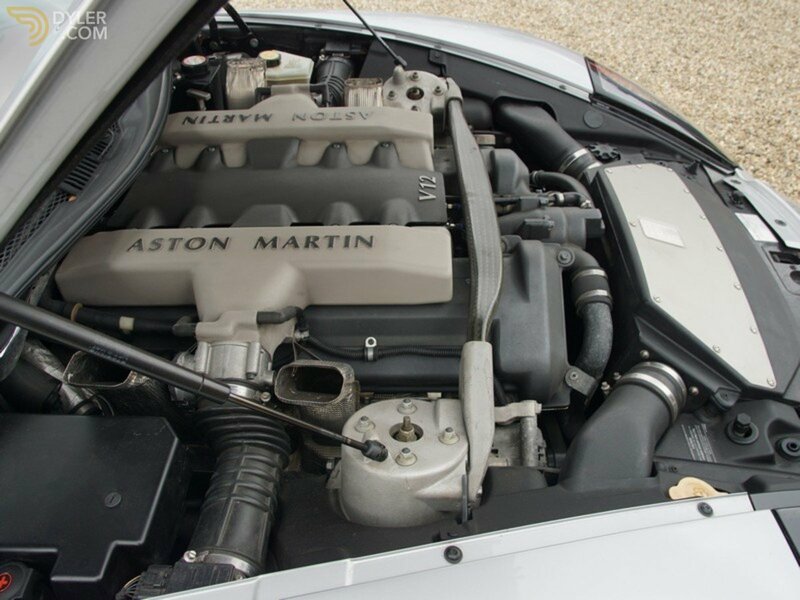 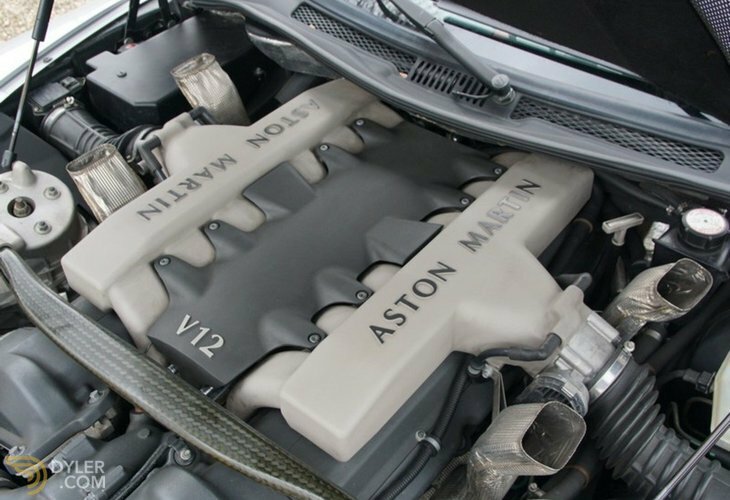 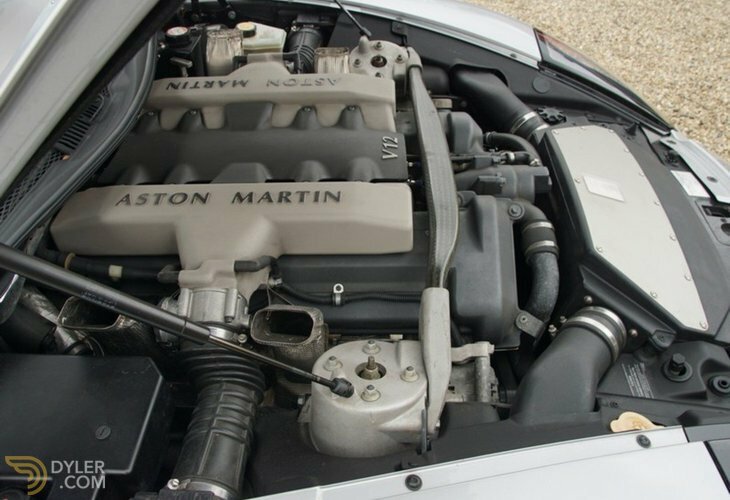 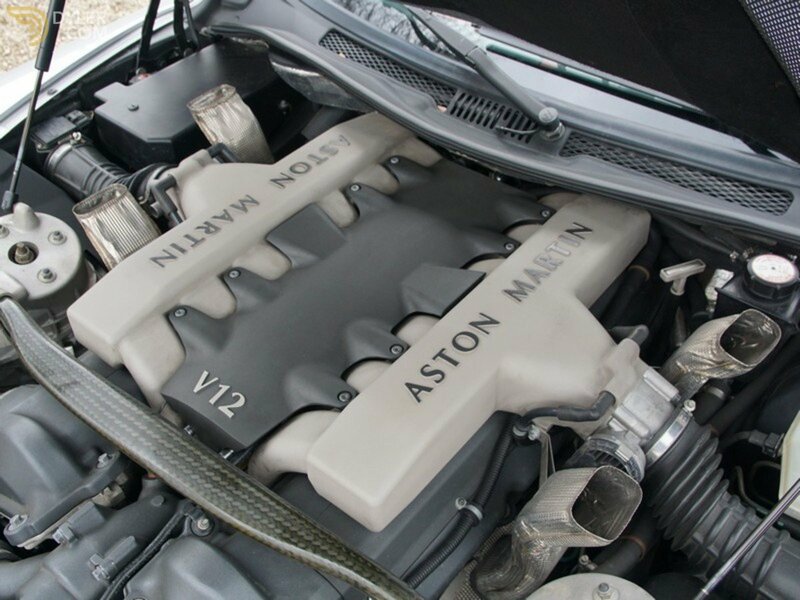 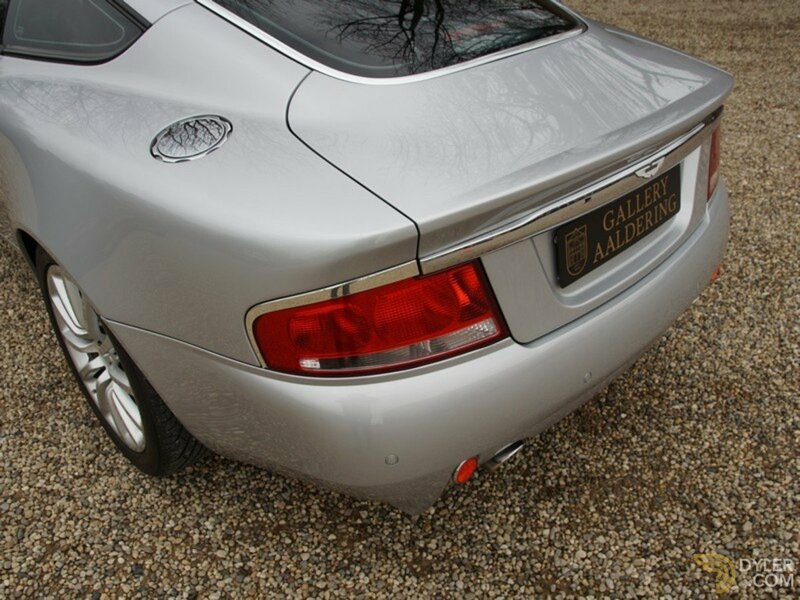 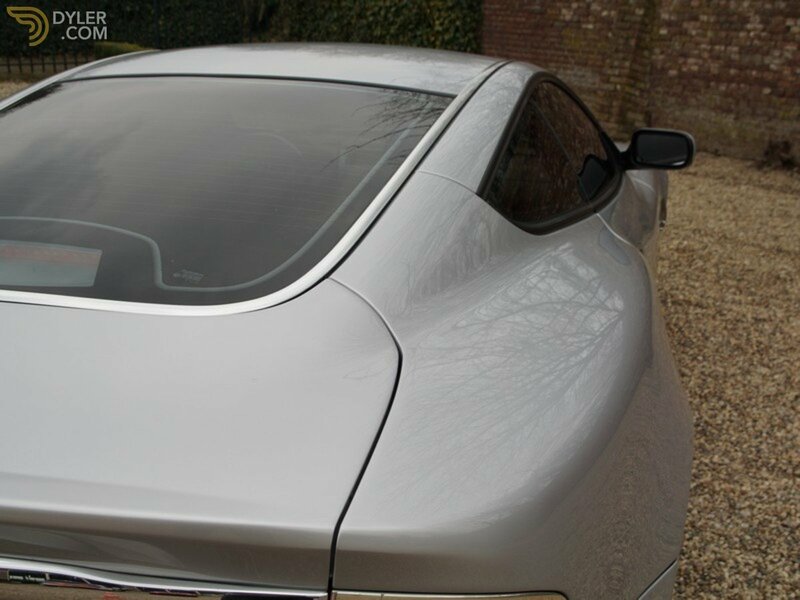 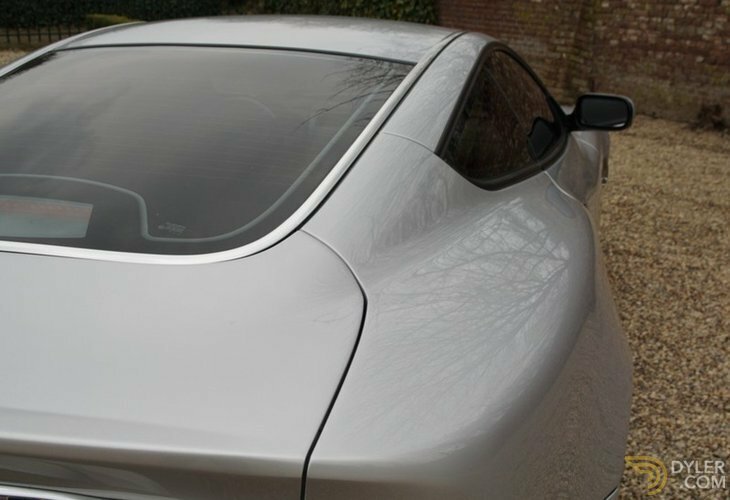 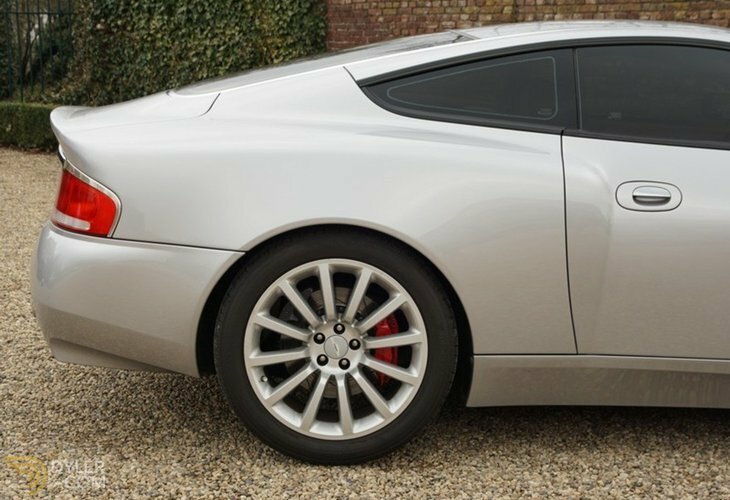 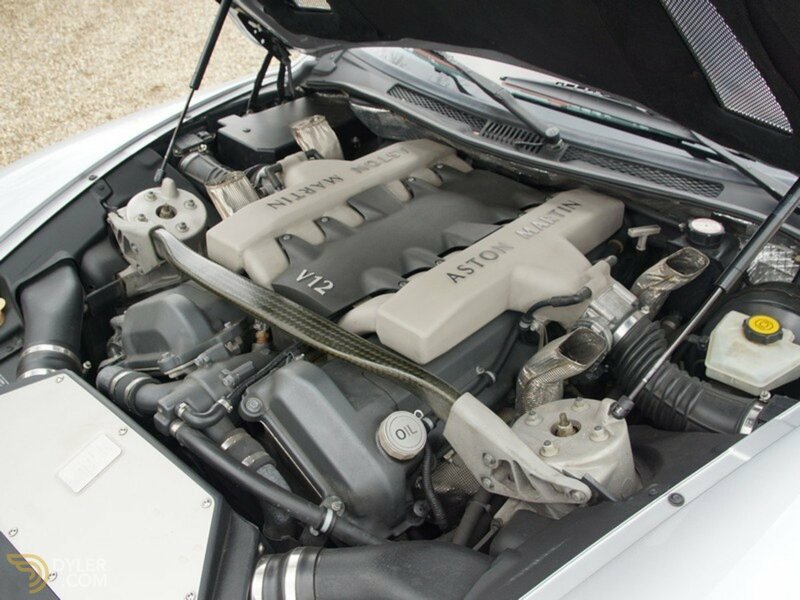 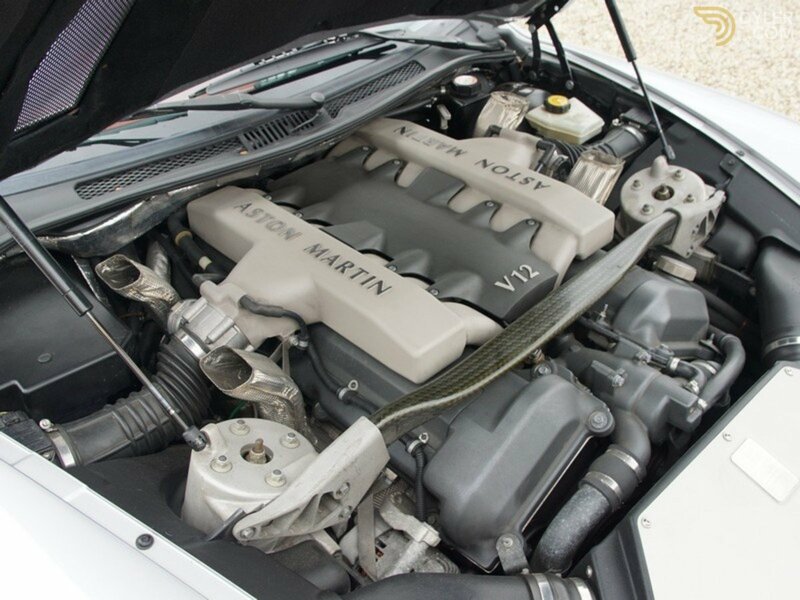 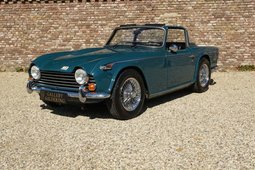 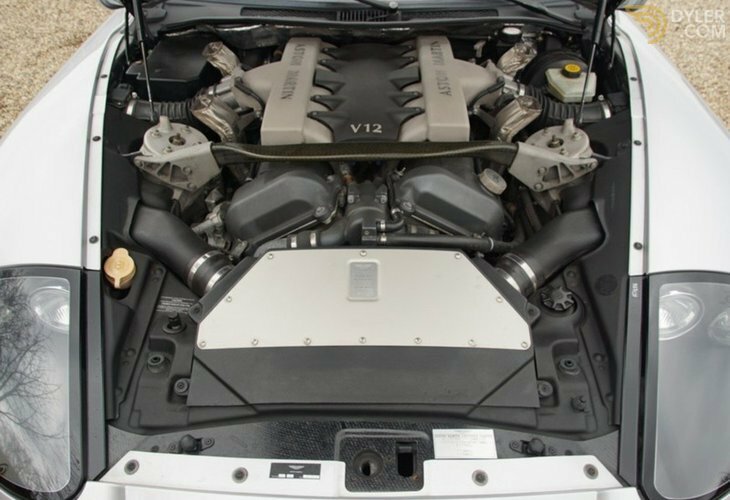 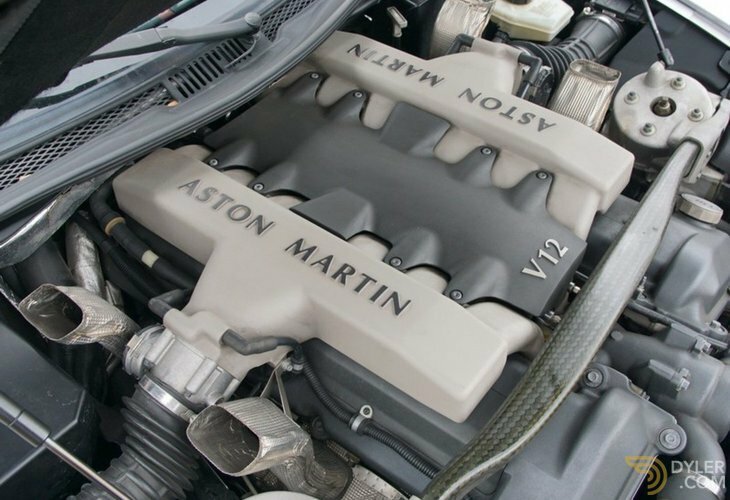 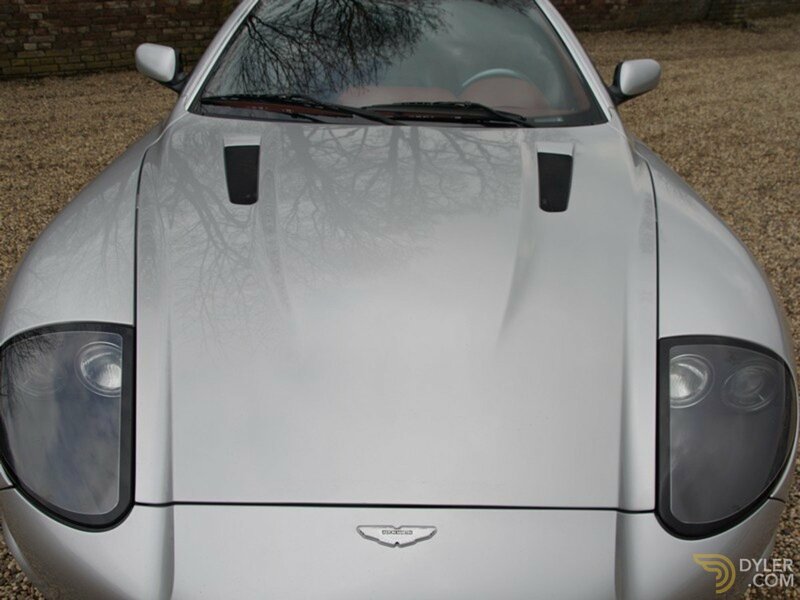 Naturally, this Aston, has retained her matching numbers original 6.0 V12 engine. 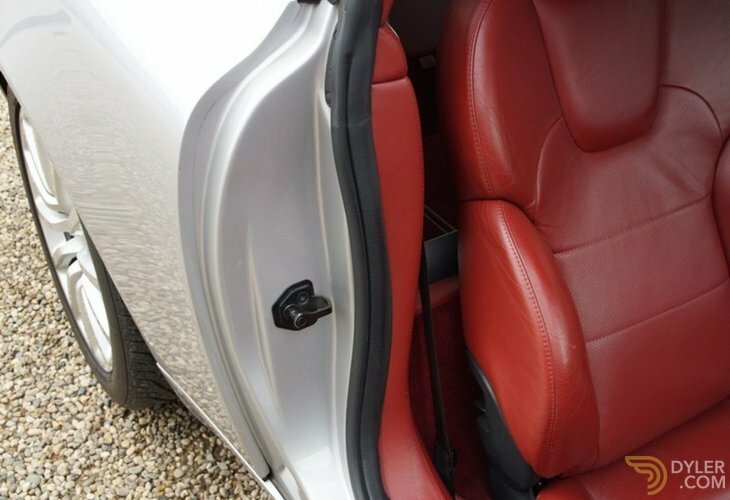 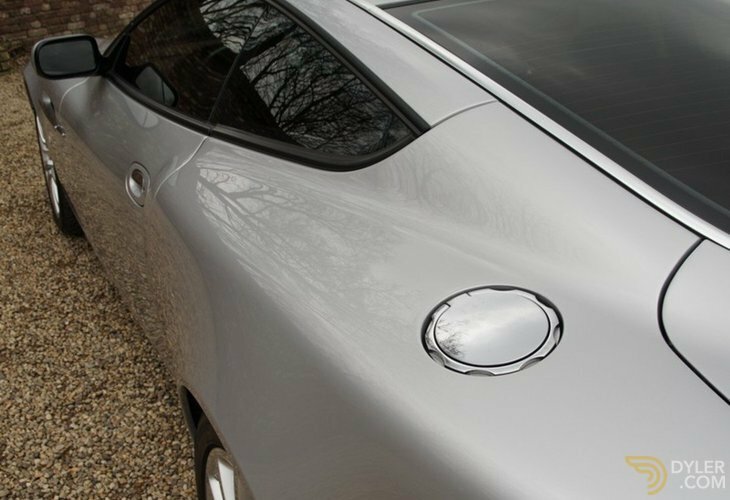 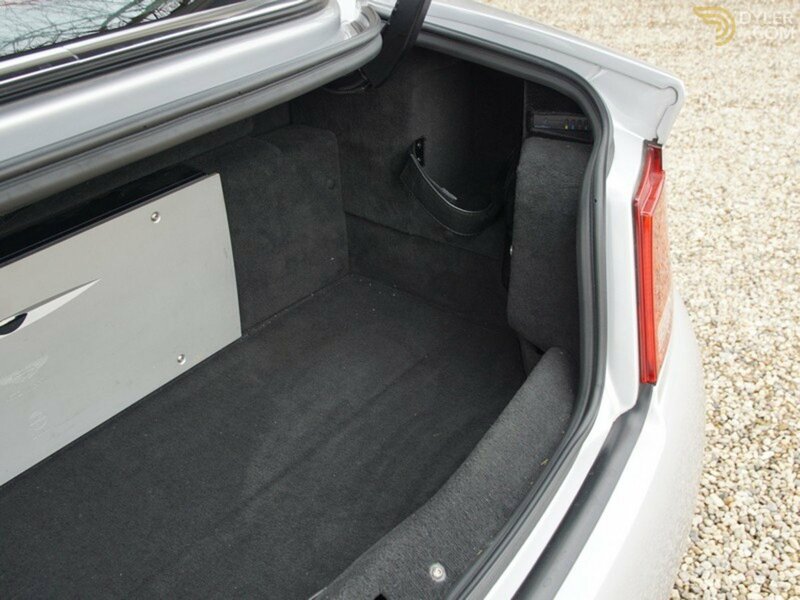 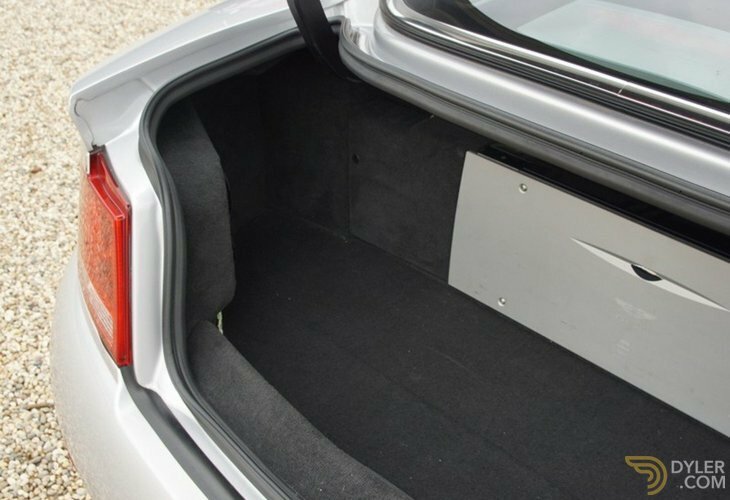 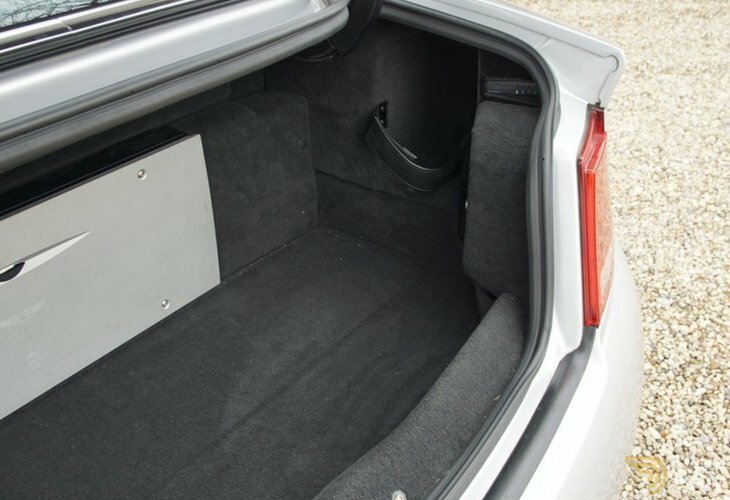 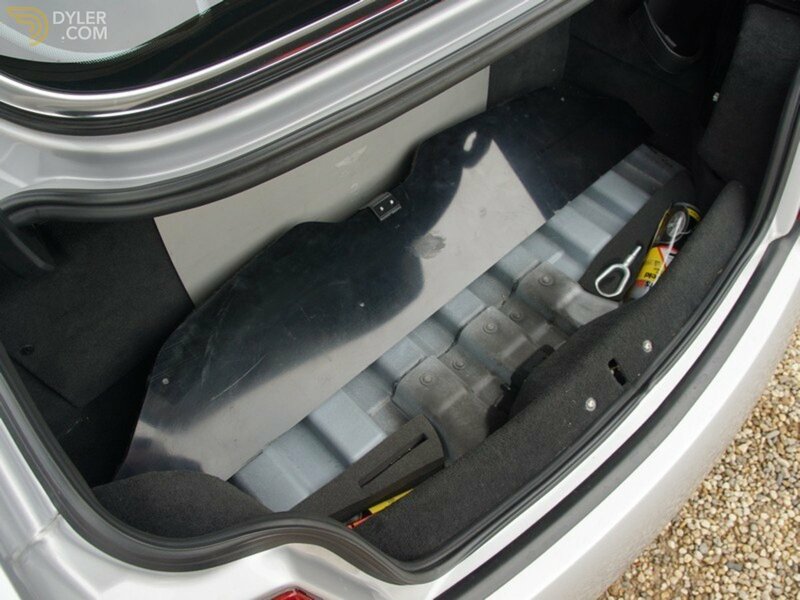 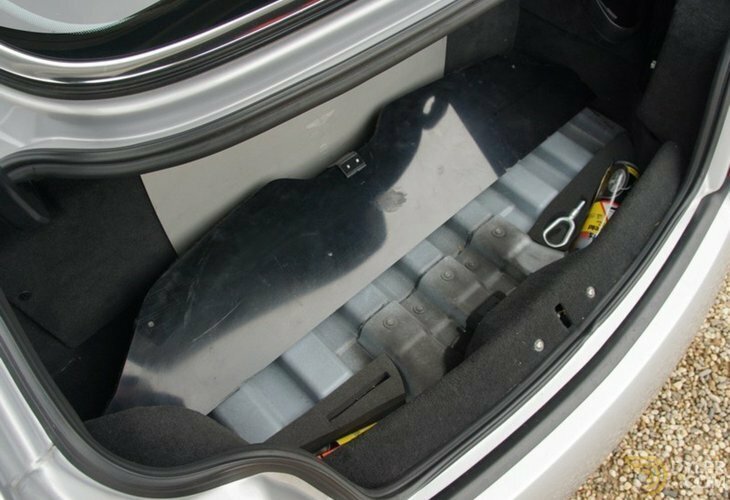 It has factory fitted accessories such as; rear parking sensors, red brake callipers and electric mirrors. 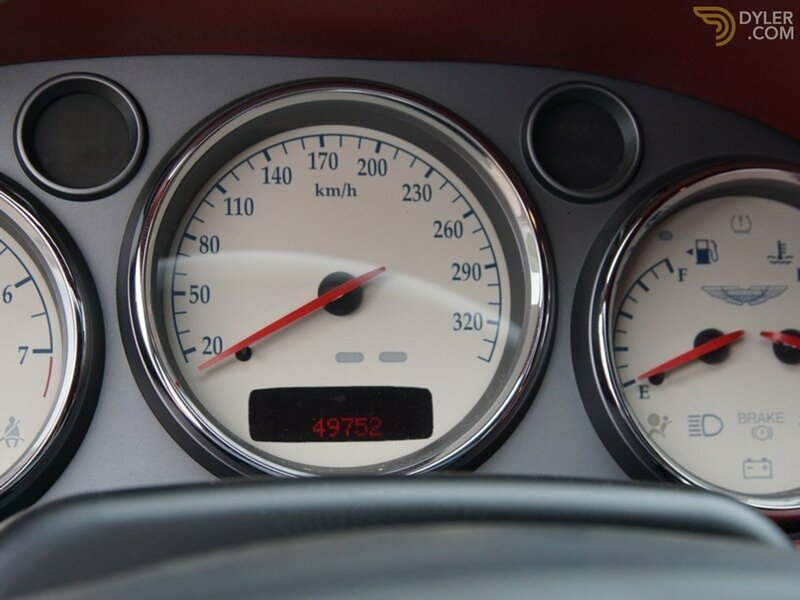 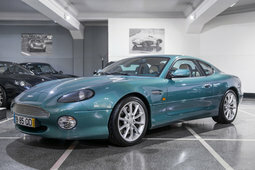 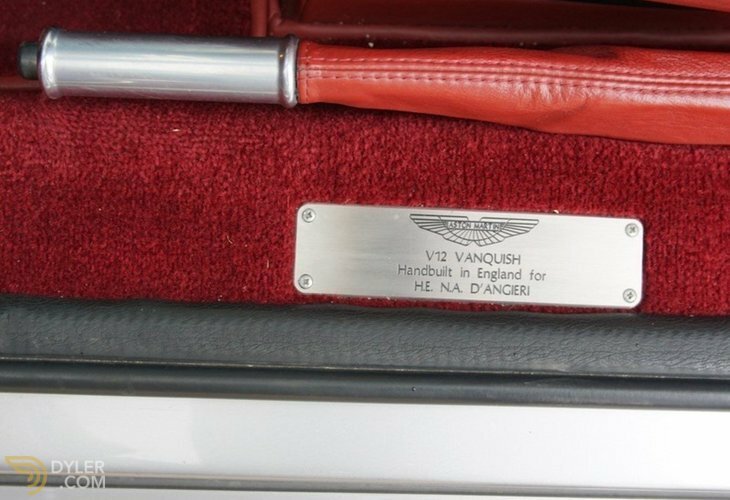 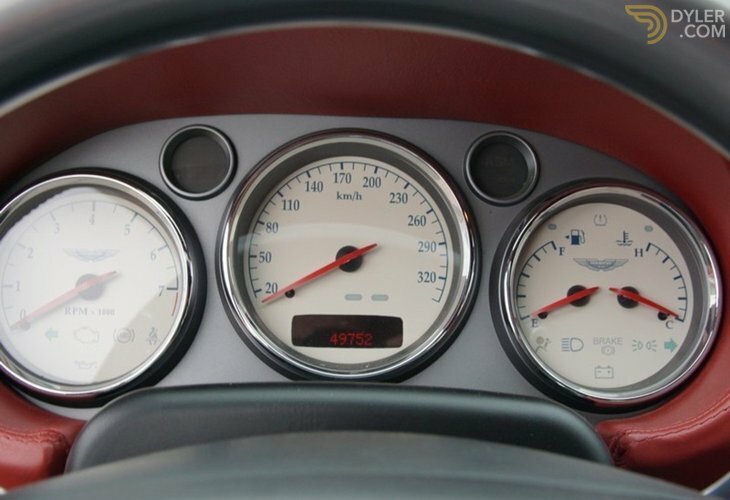 In short a stunning V12 Vanquish, with a beautiful colour combination, a correct history and a low 49,752 km on the clock!